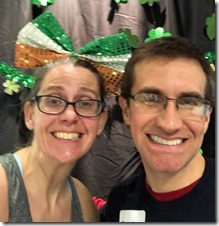 Celebrating Our 19th Year in 2019! 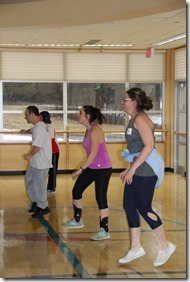 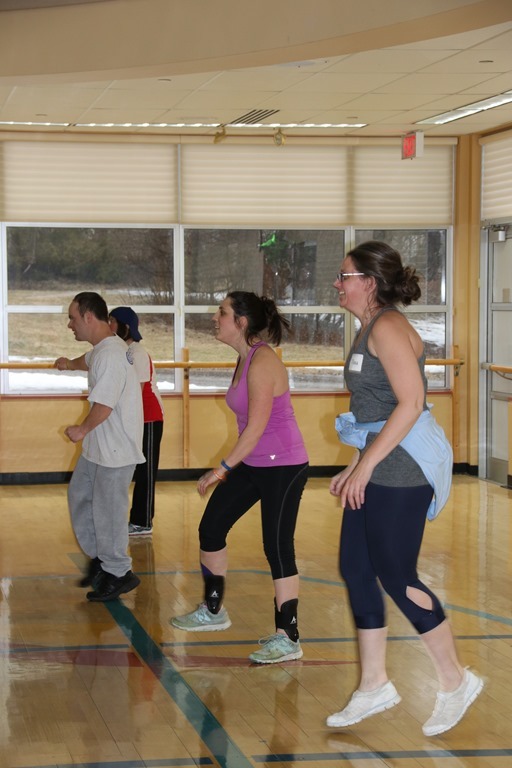 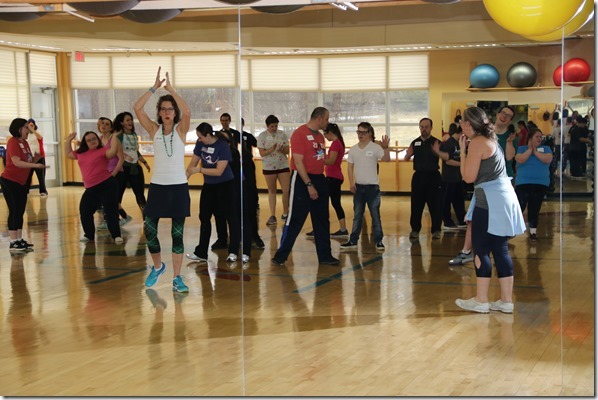 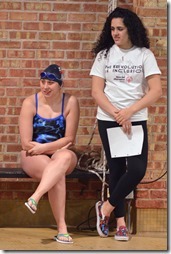 New volunteer coaches and lifeguards are always welcome! 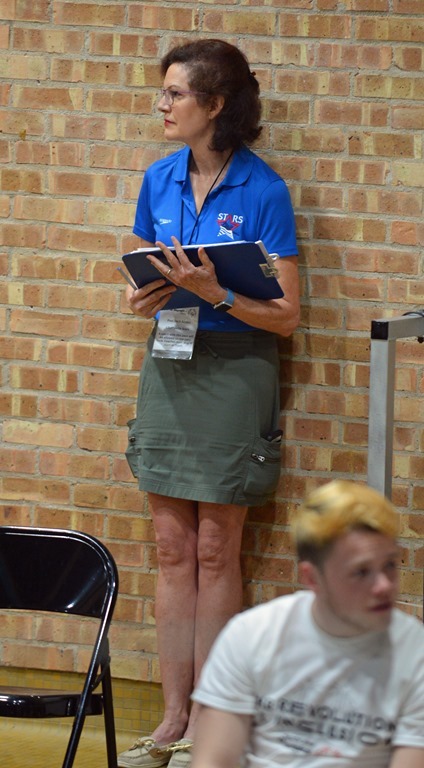 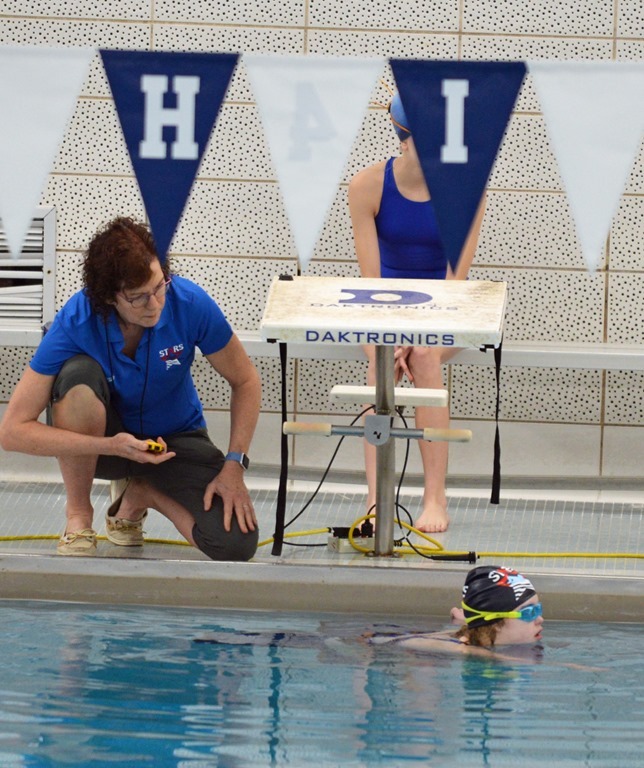 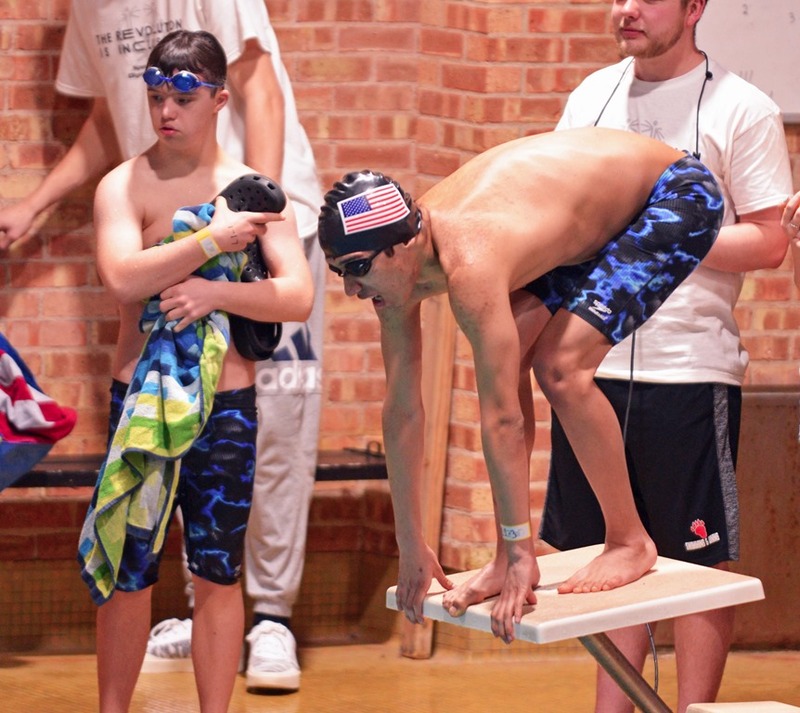 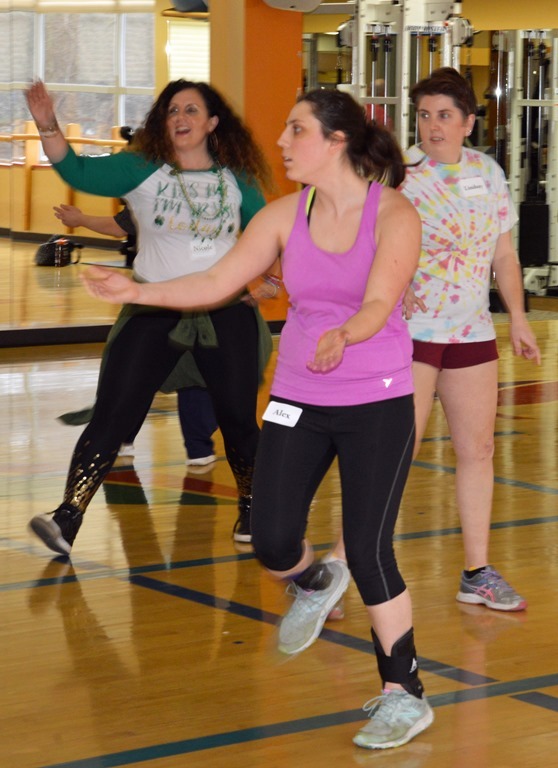 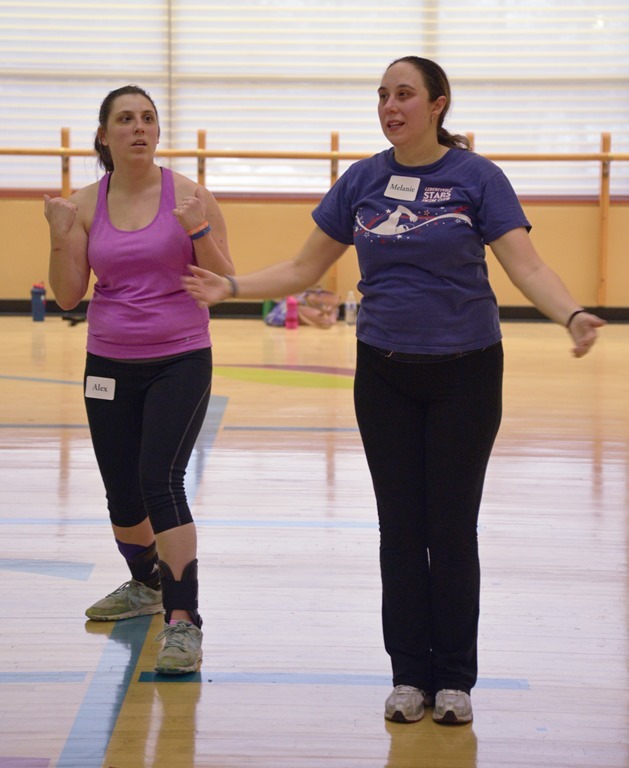 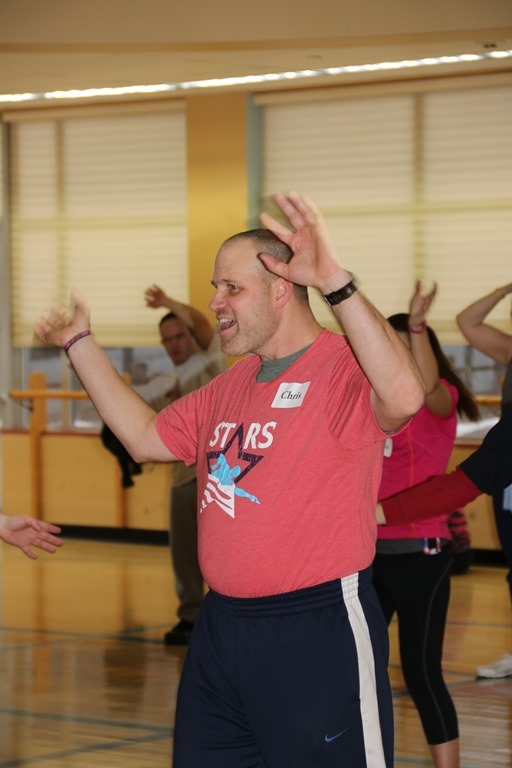 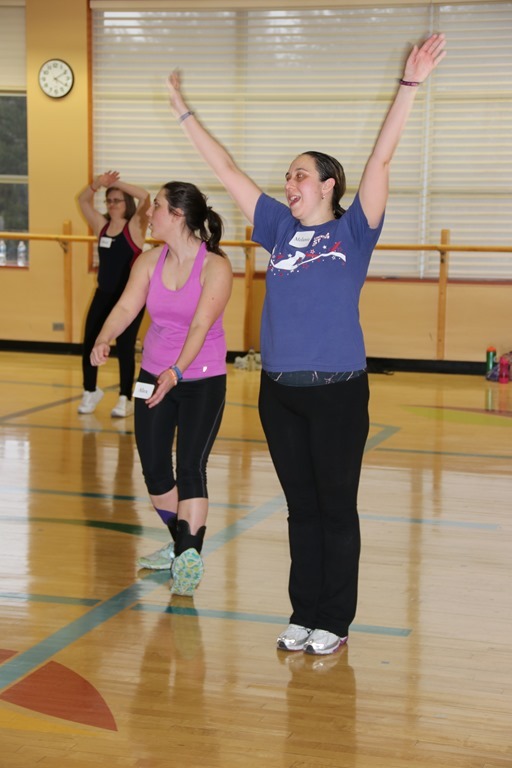 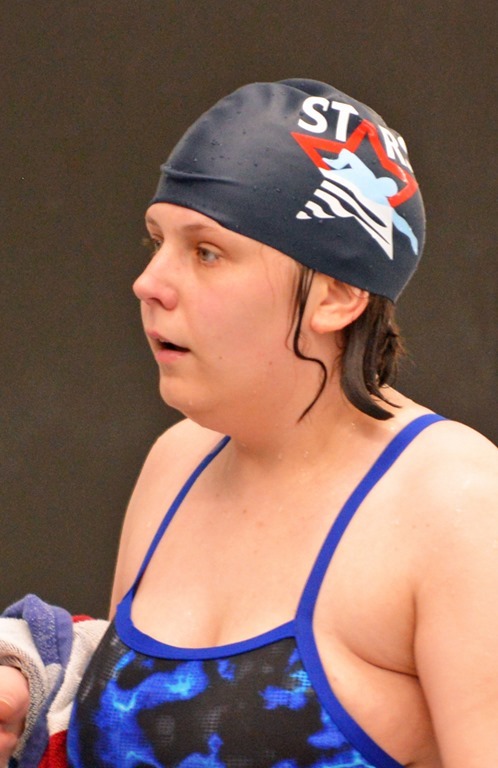 If you are a high school competitive or club swimmer, at least 14 years of age, and would like to serve as a volunteer coach or paid lifeguard at our weekly LHS practices on Sundays from 11:30 a.m. -12:45 p.m., please contact Coach Becky at LibertyvilleStars@gmail.com. 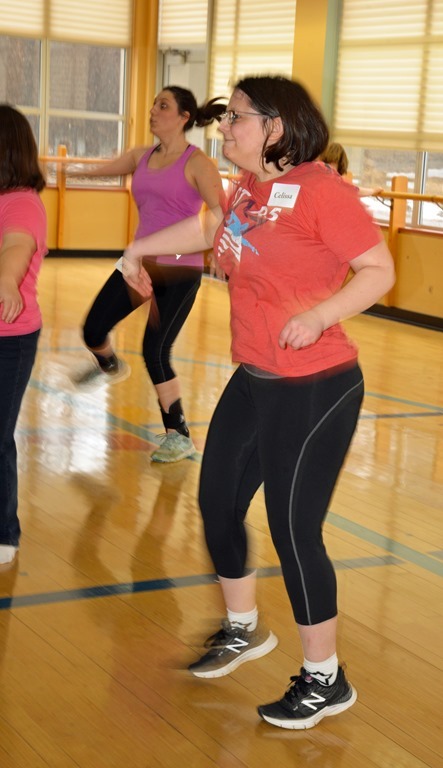 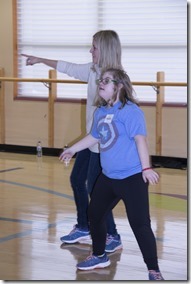 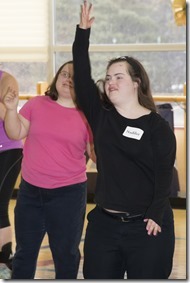 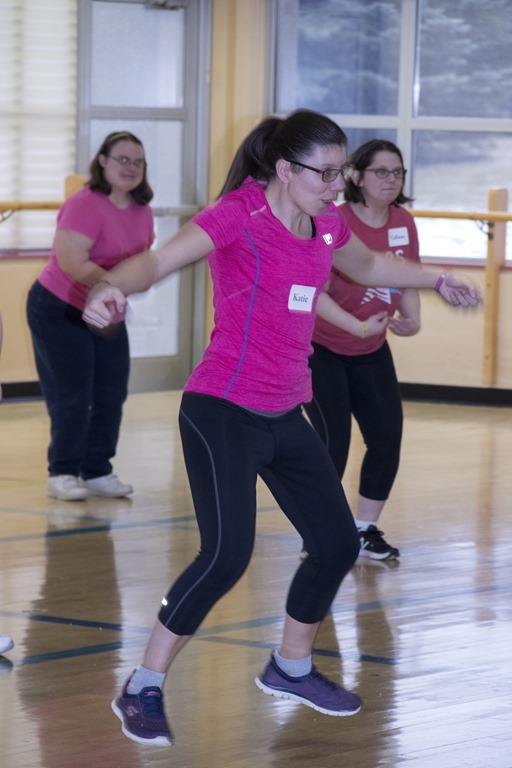 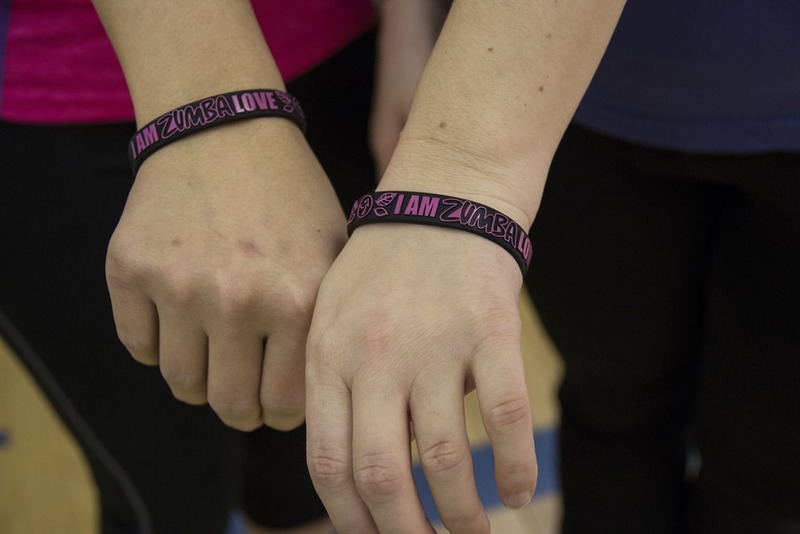 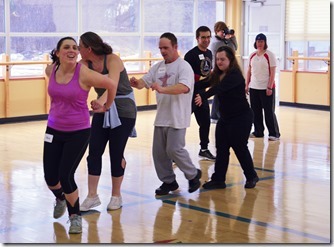 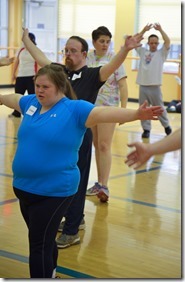 Volunteering can change your life! STARS WIN! 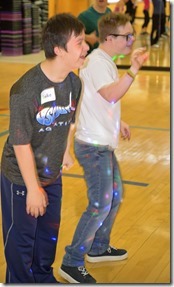 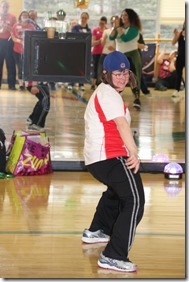 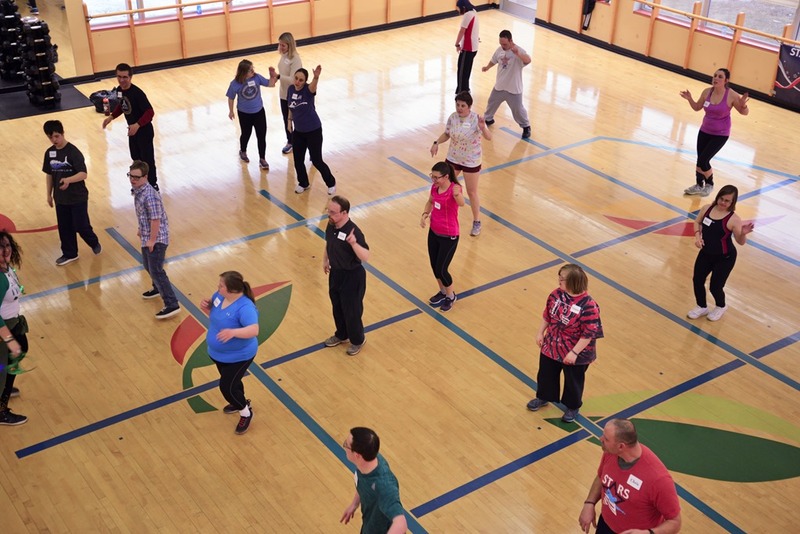 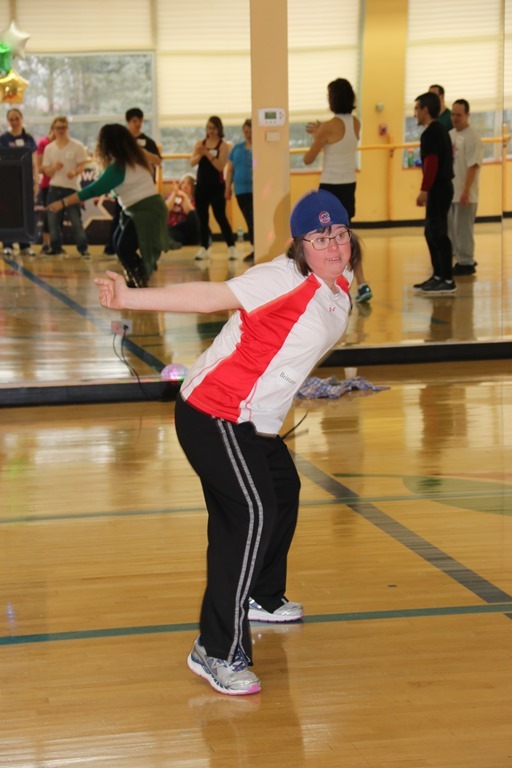 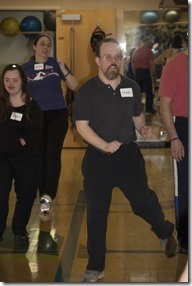 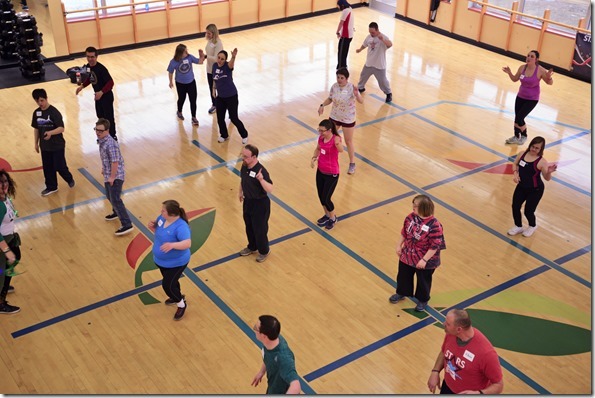 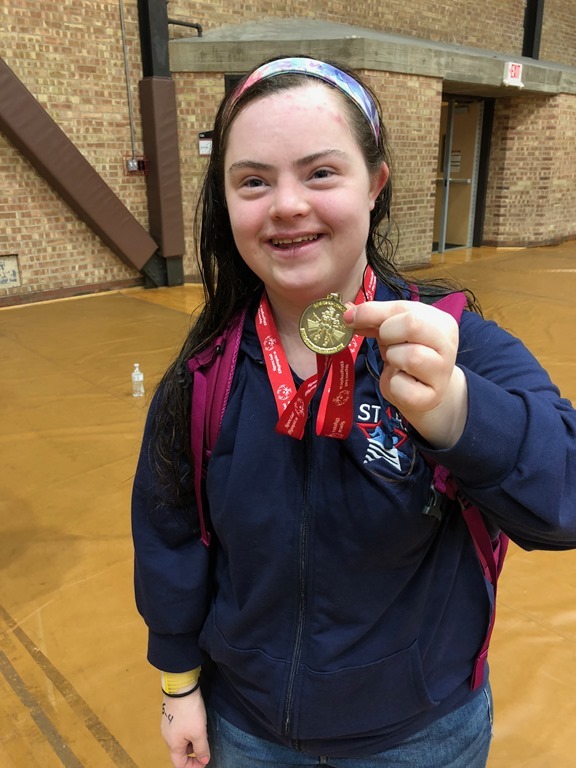 Next Stop, Illinois State Summer Games! 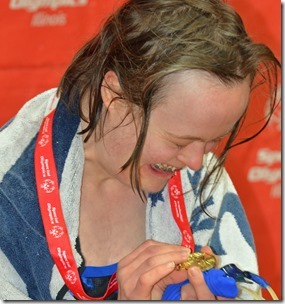 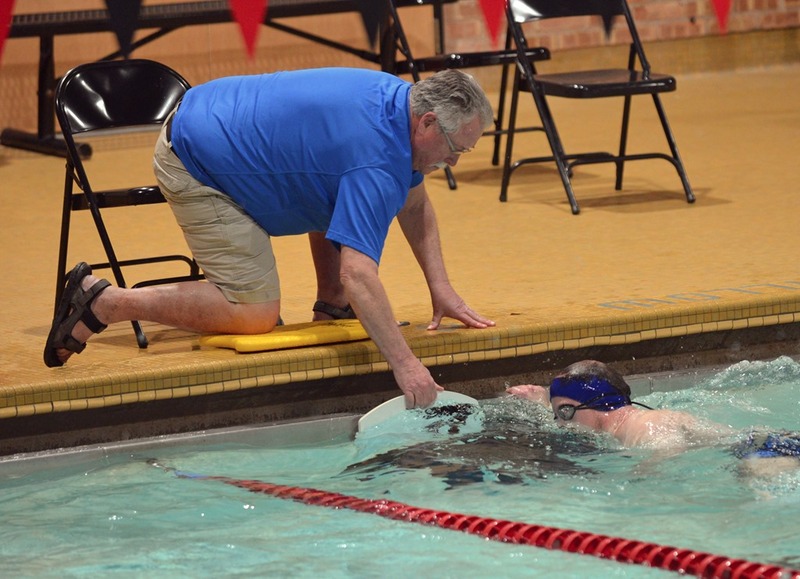 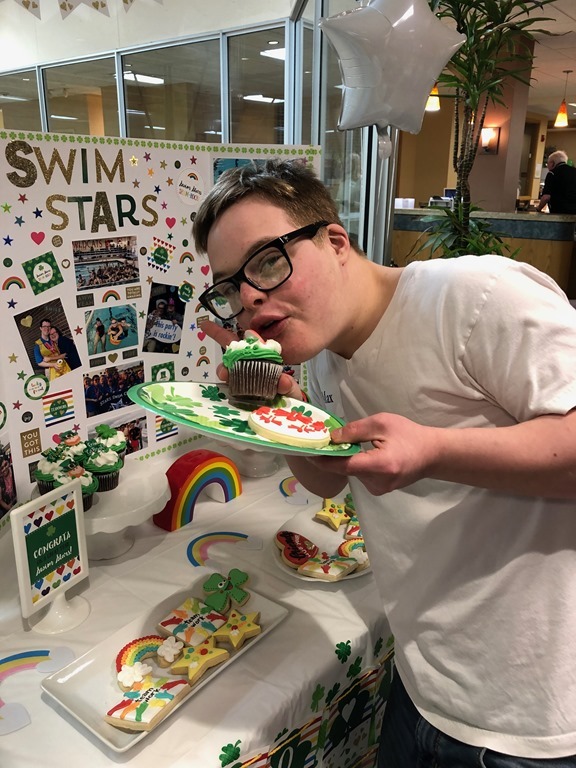 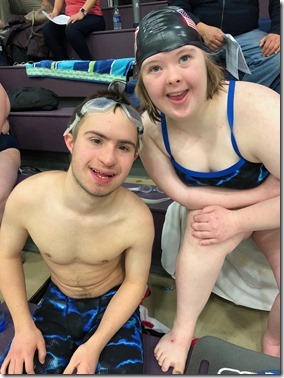 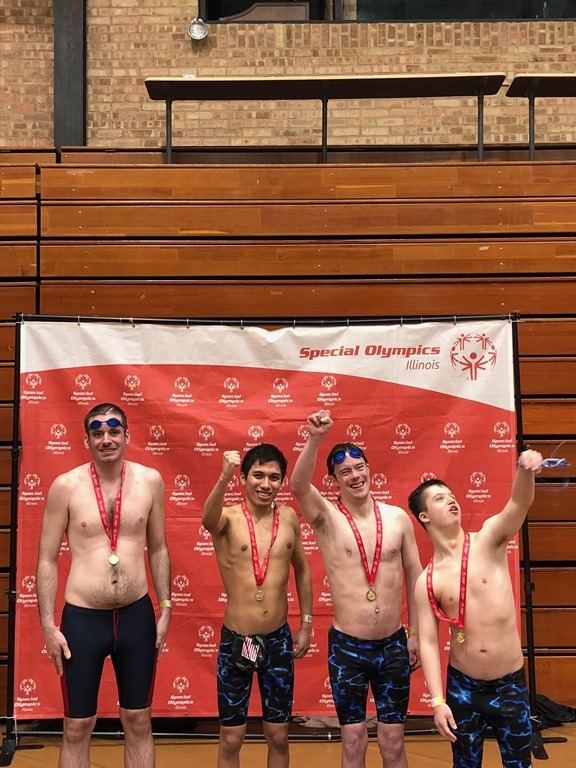 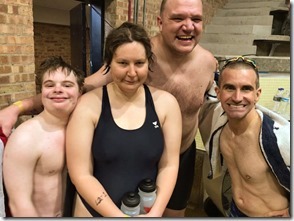 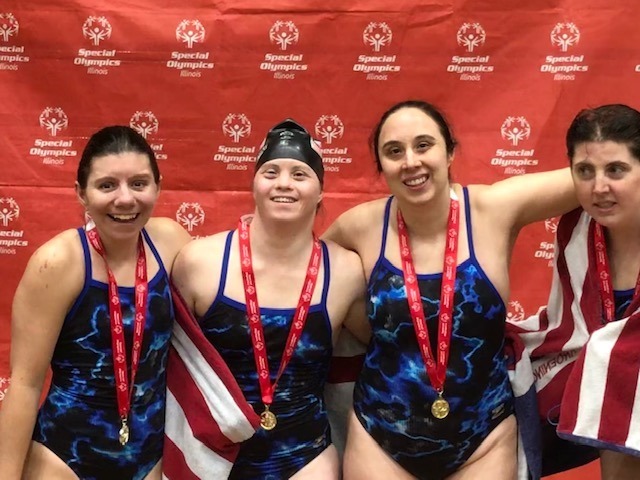 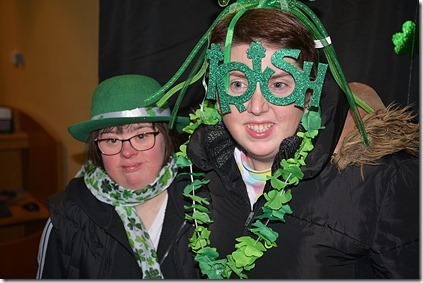 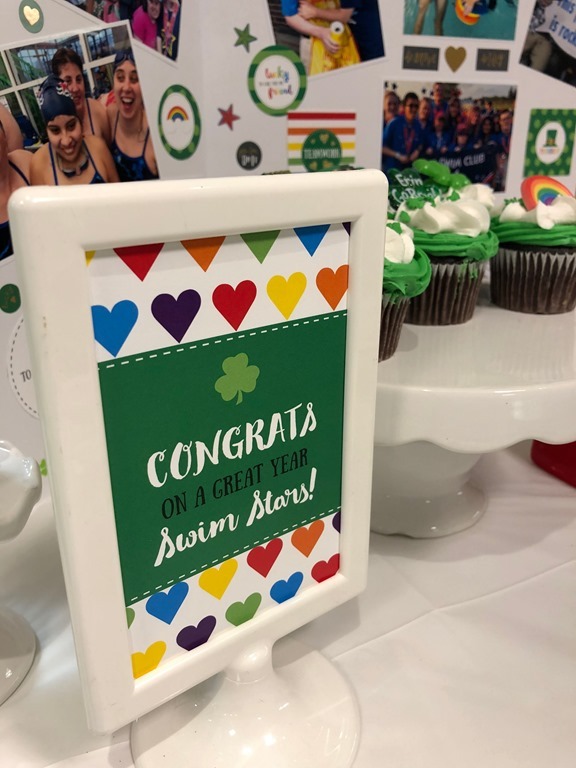 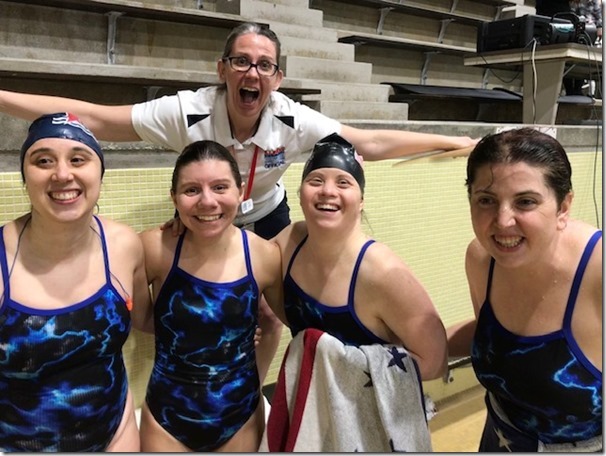 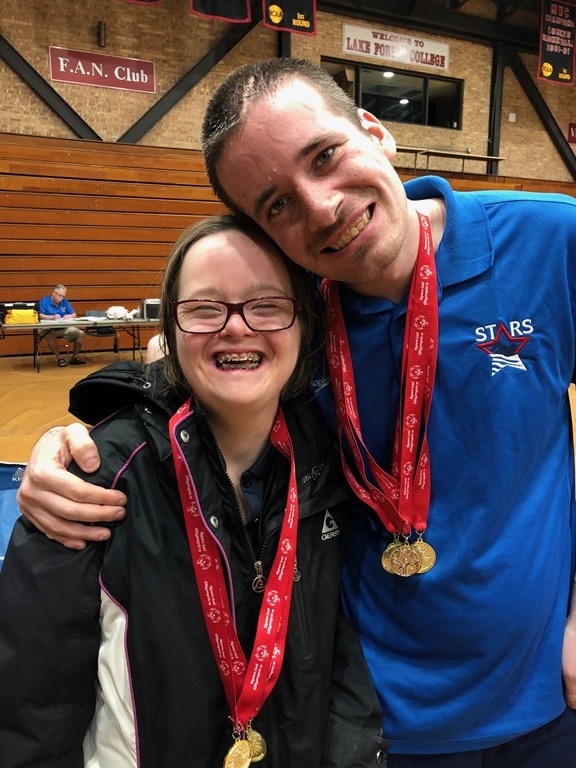 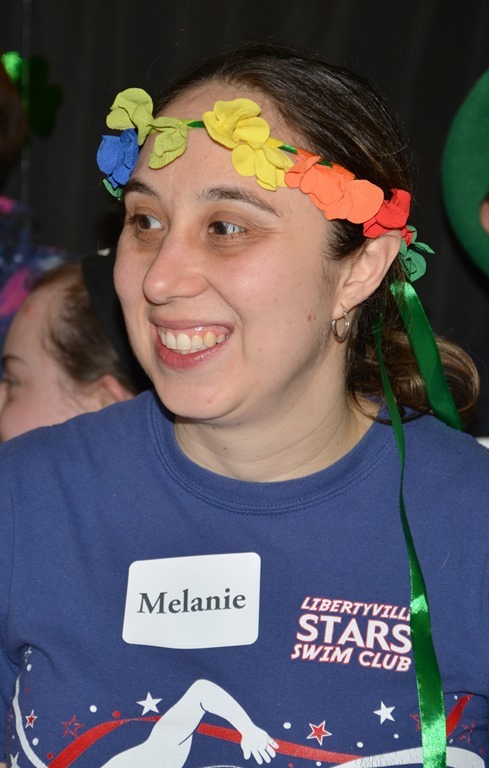 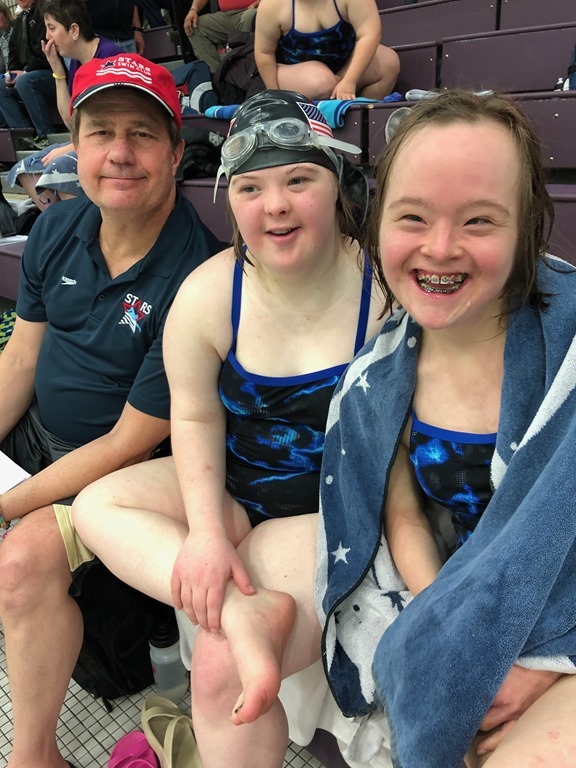 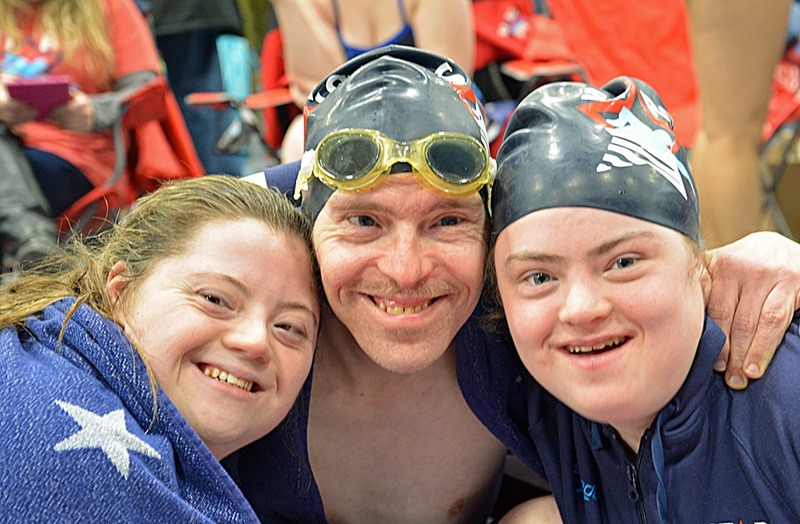 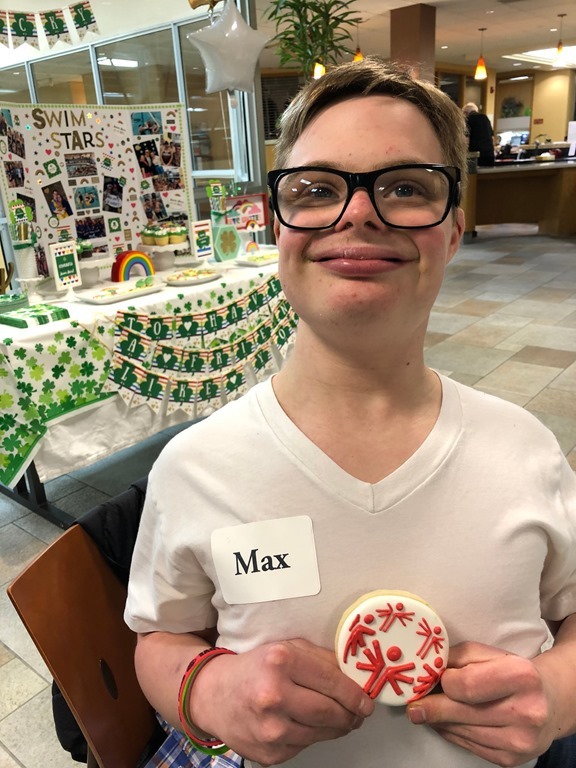 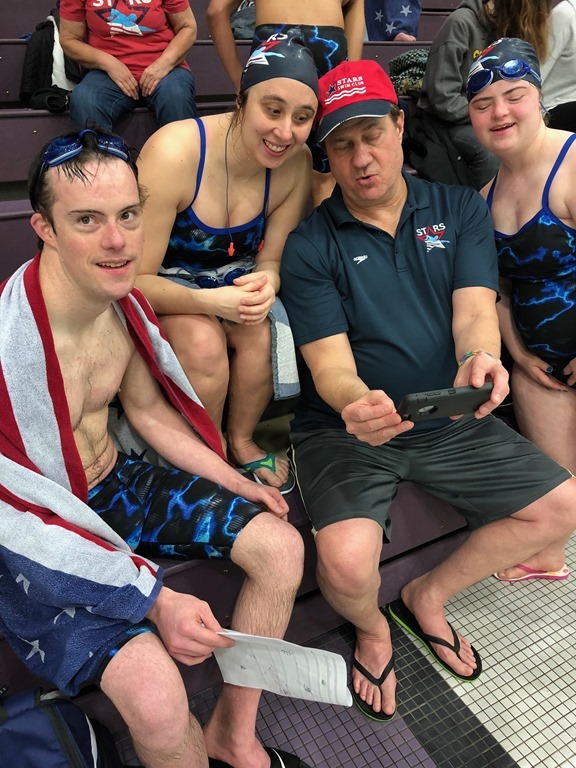 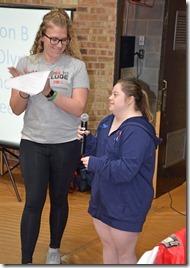 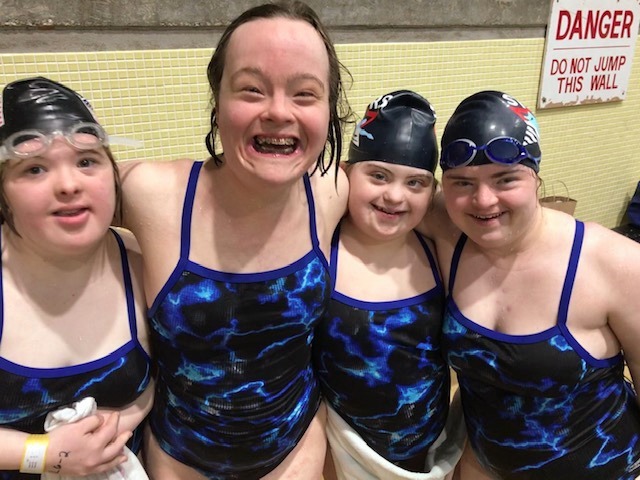 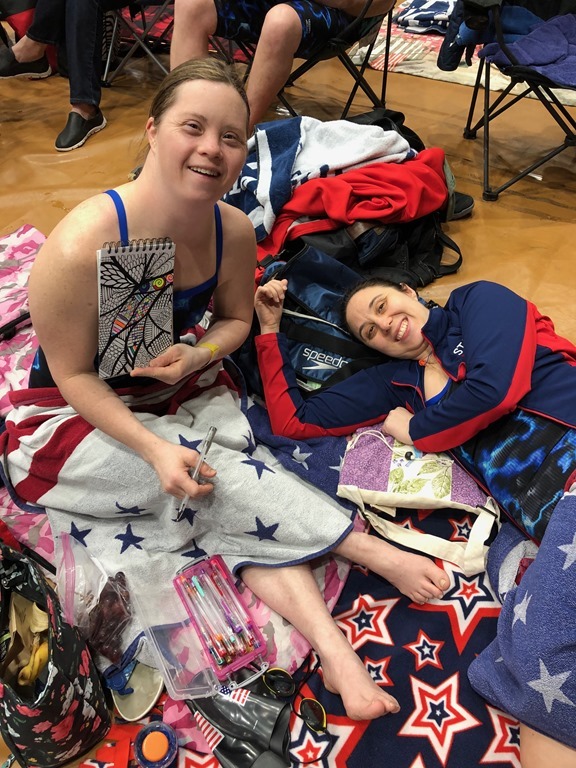 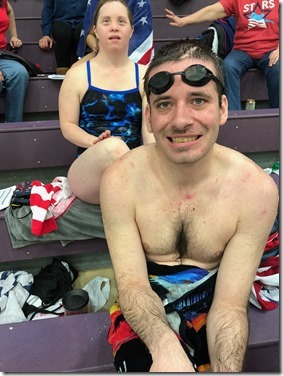 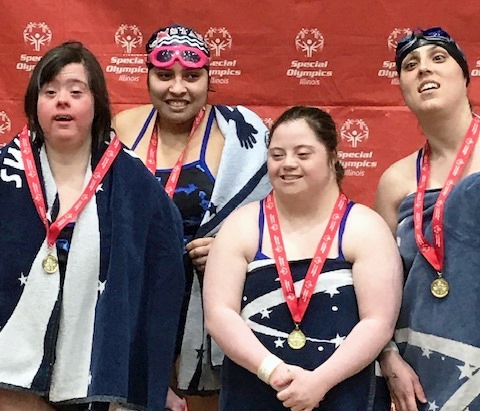 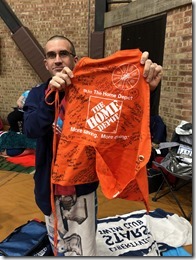 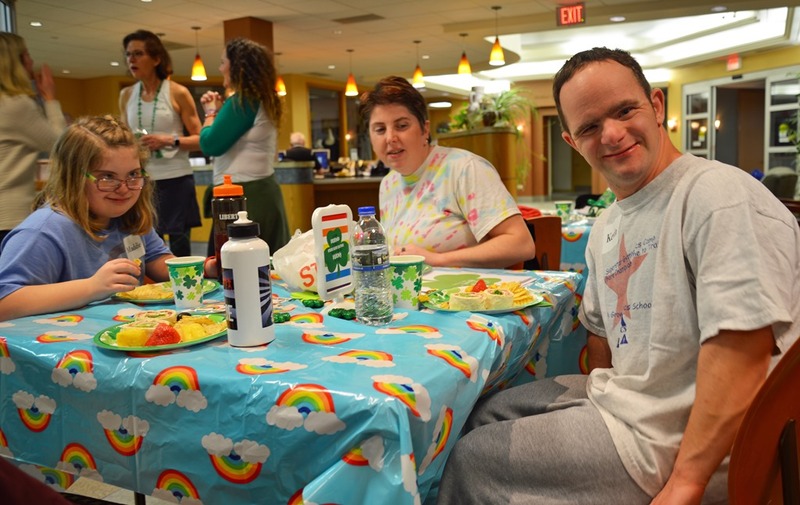 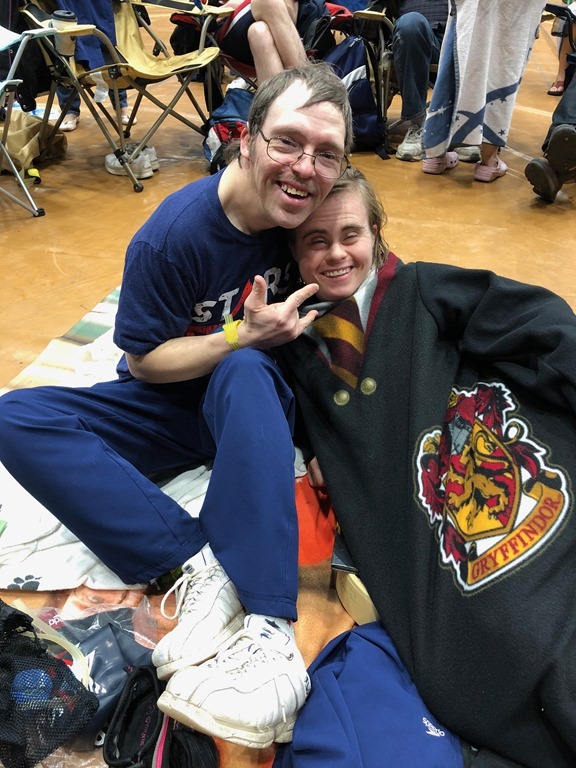 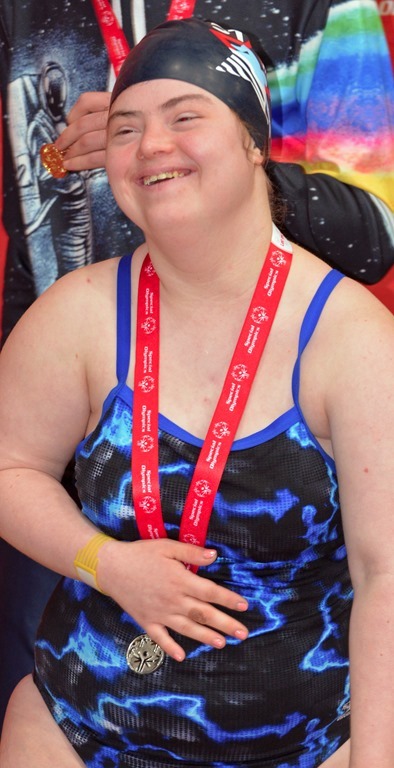 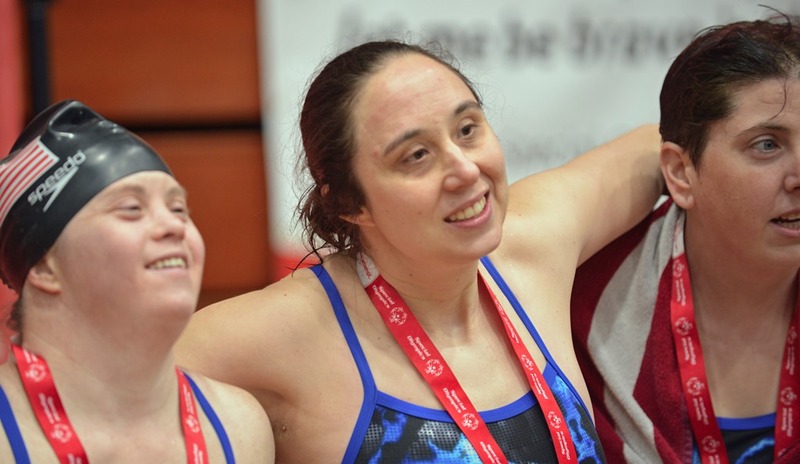 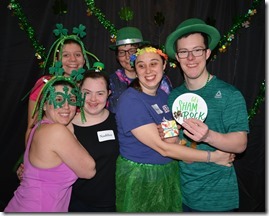 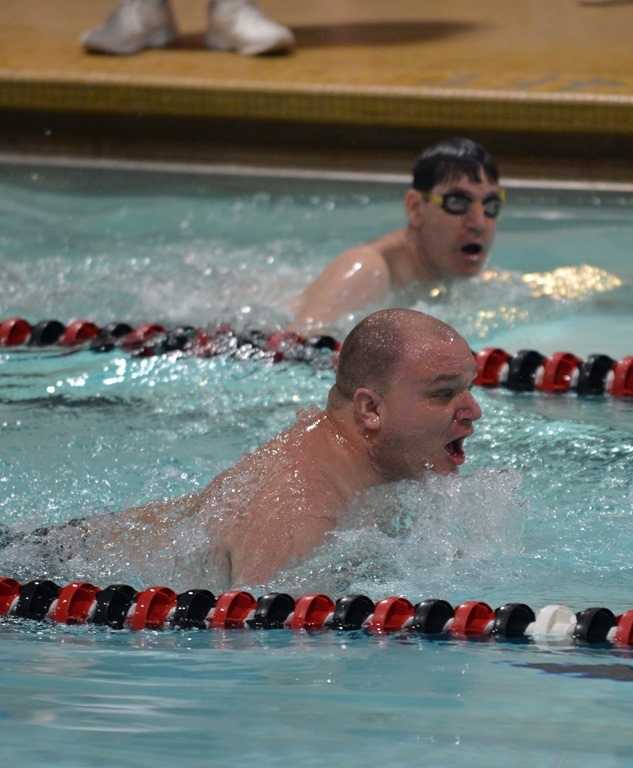 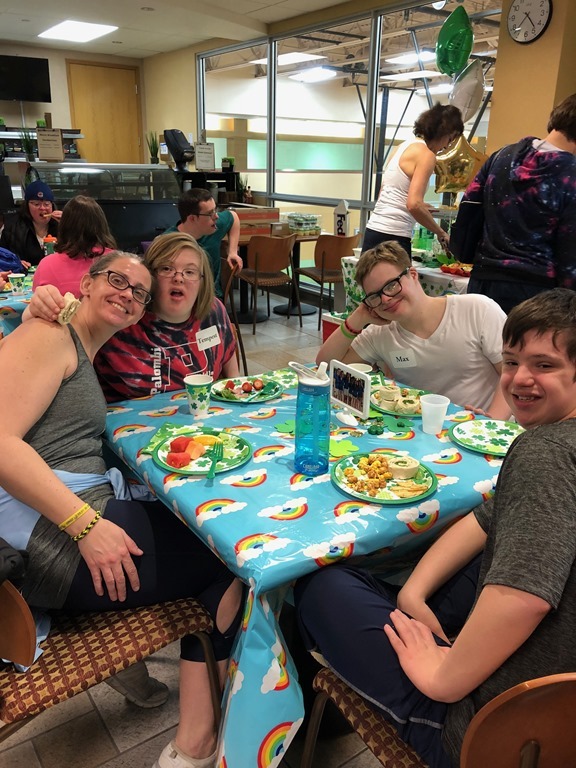 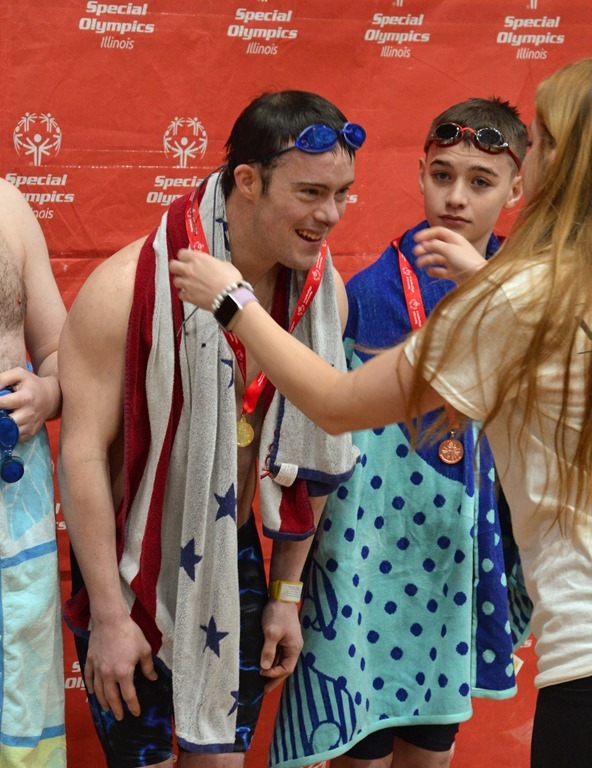 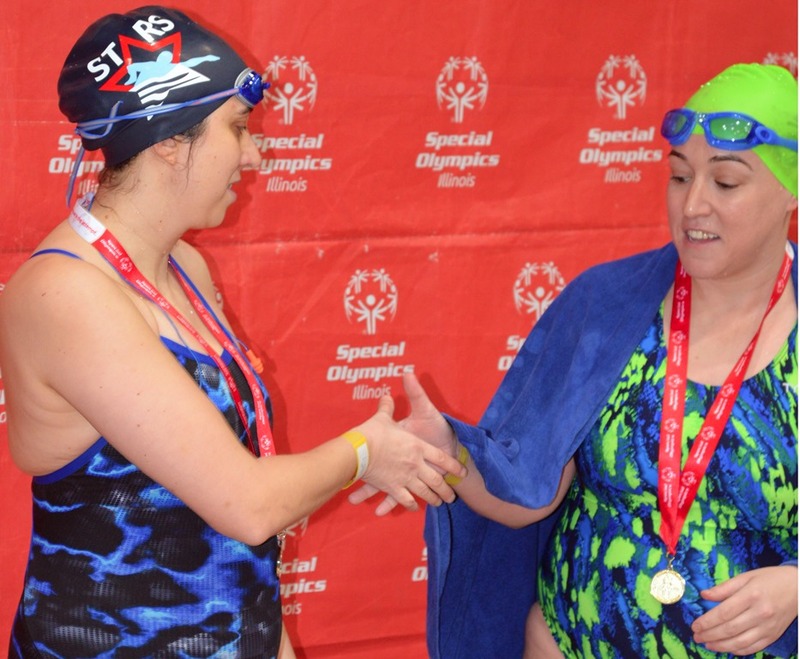 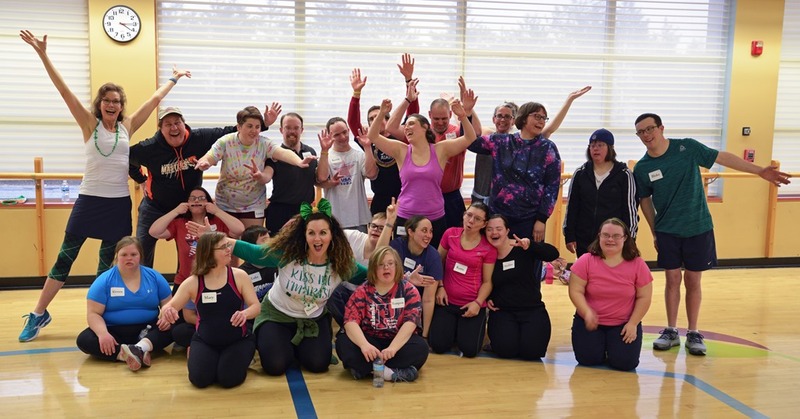 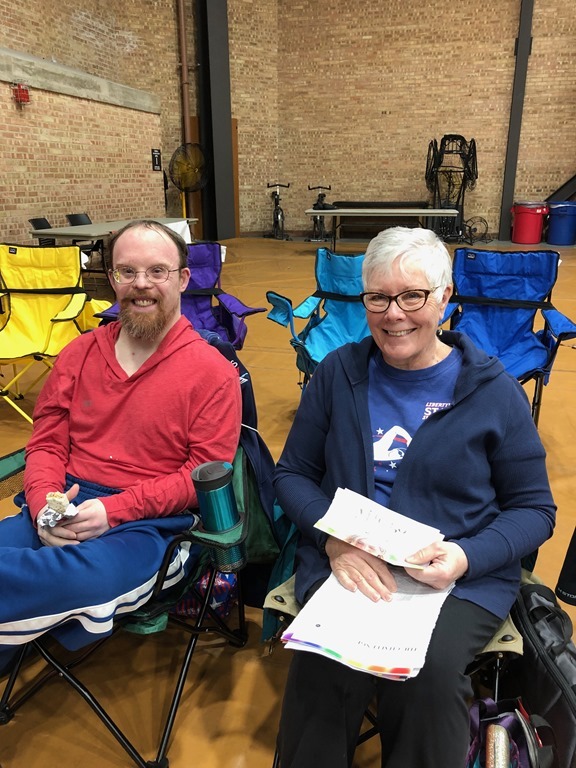 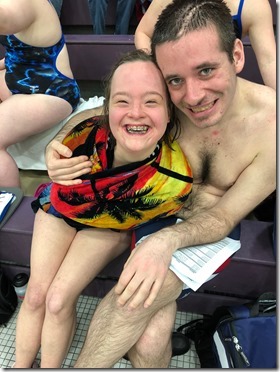 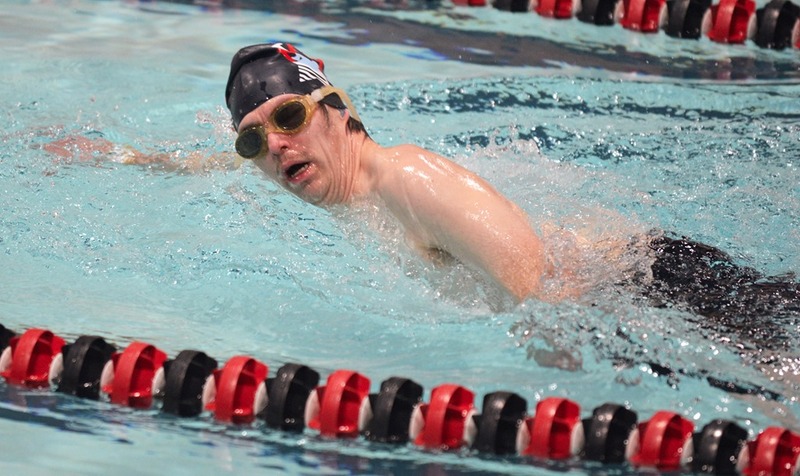 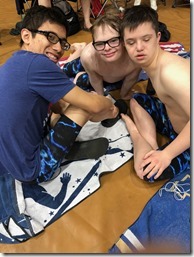 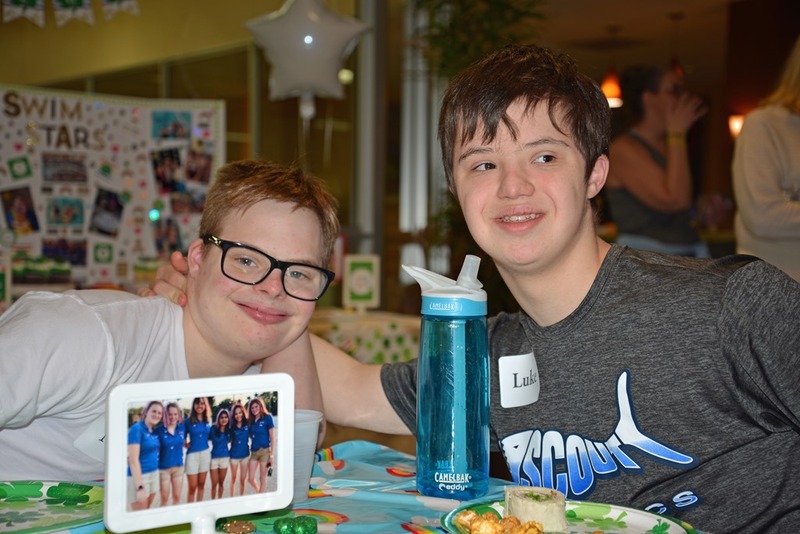 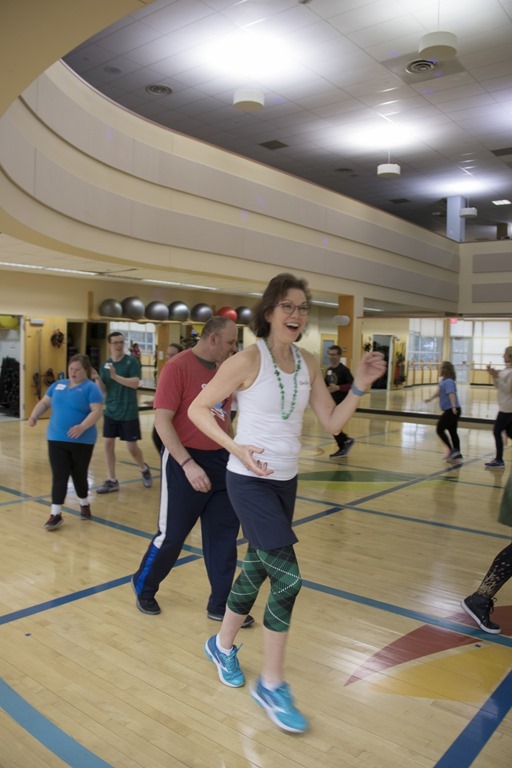 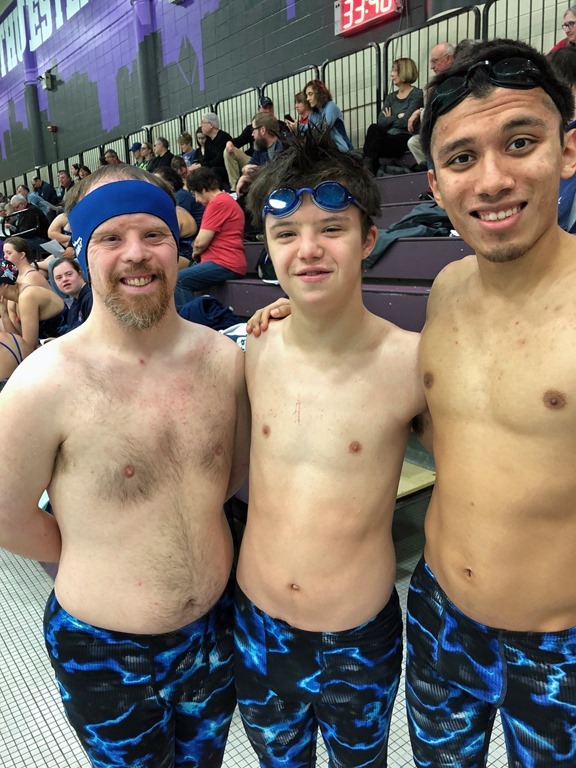 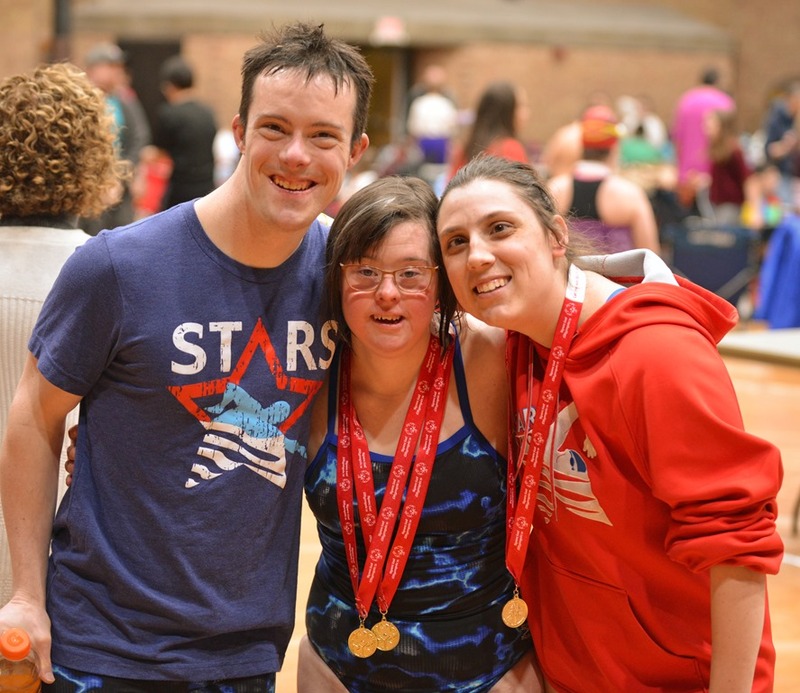 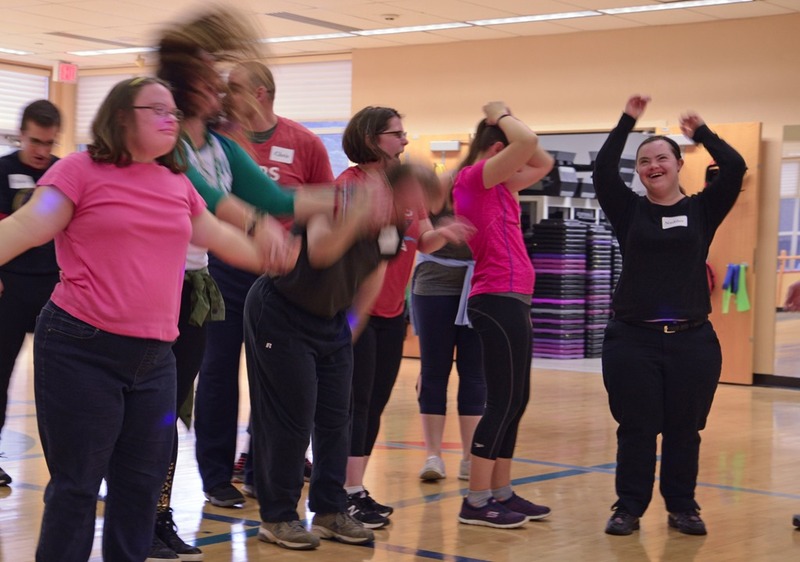 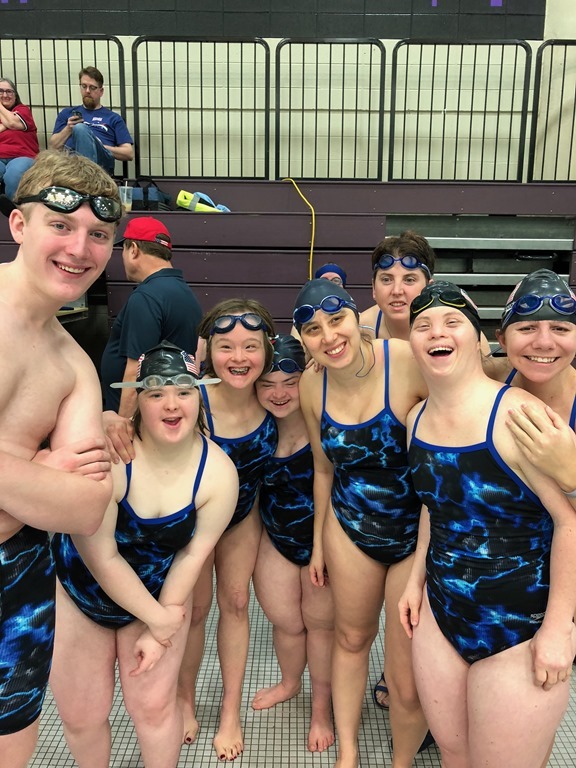 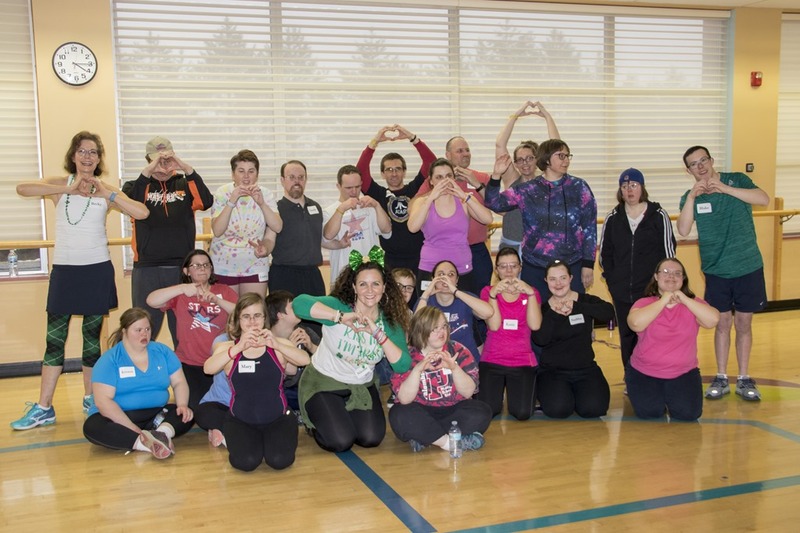 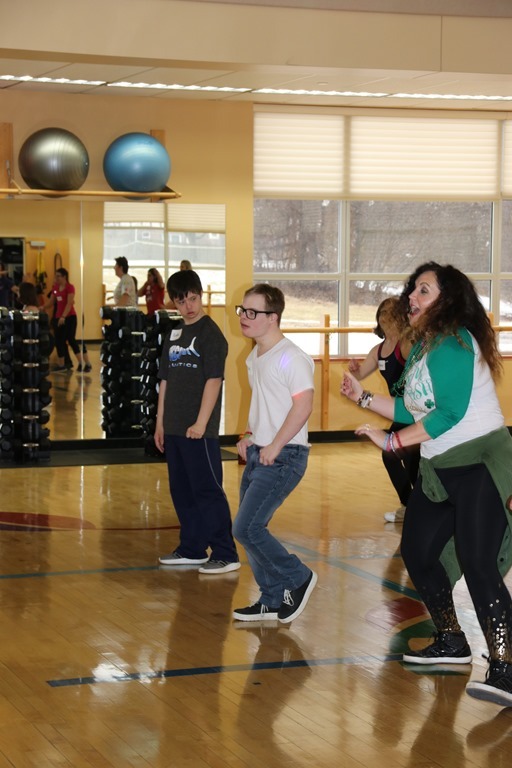 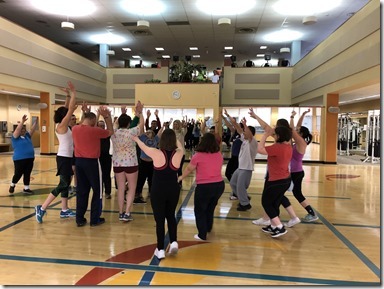 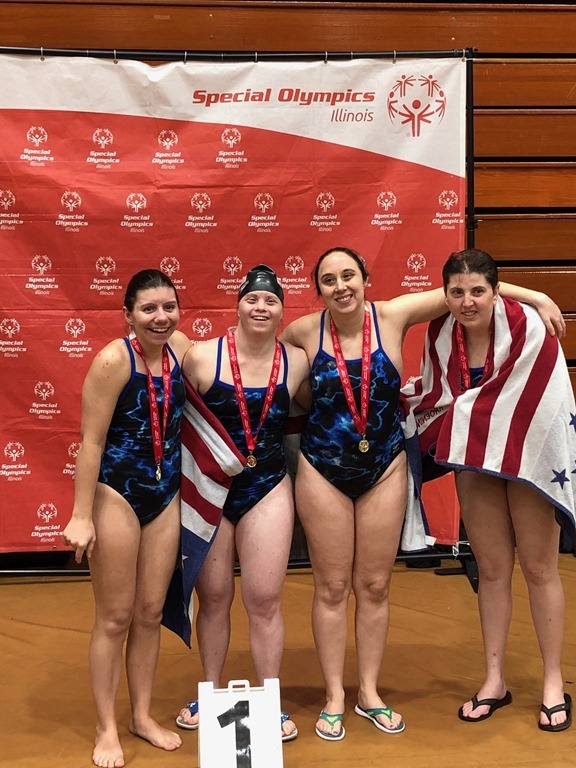 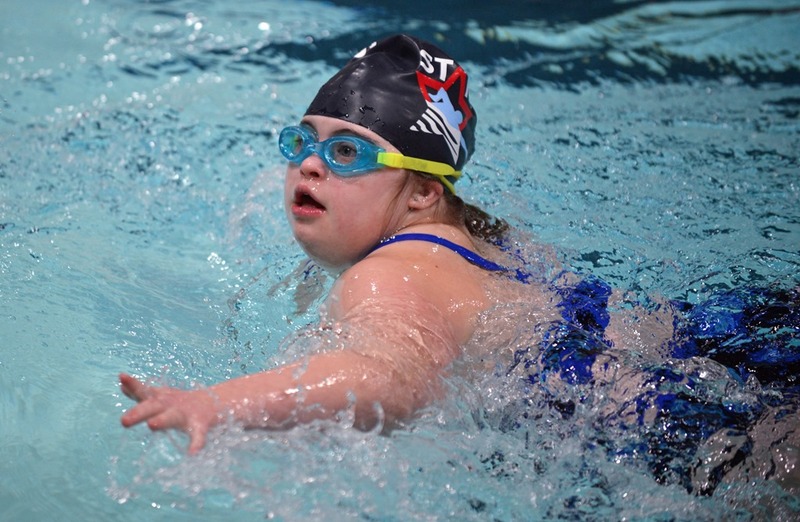 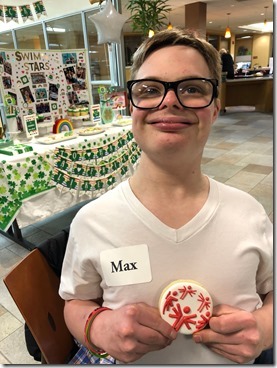 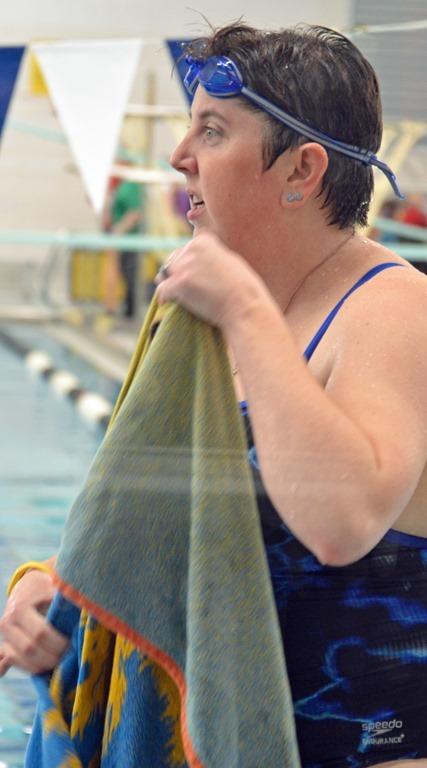 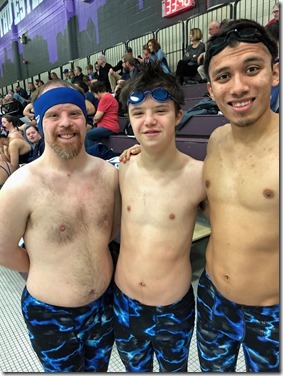 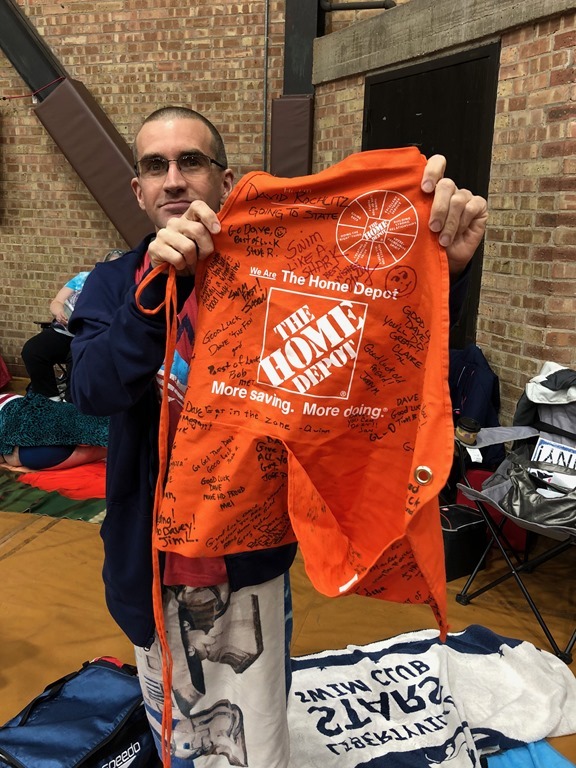 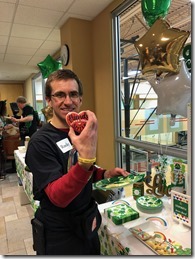 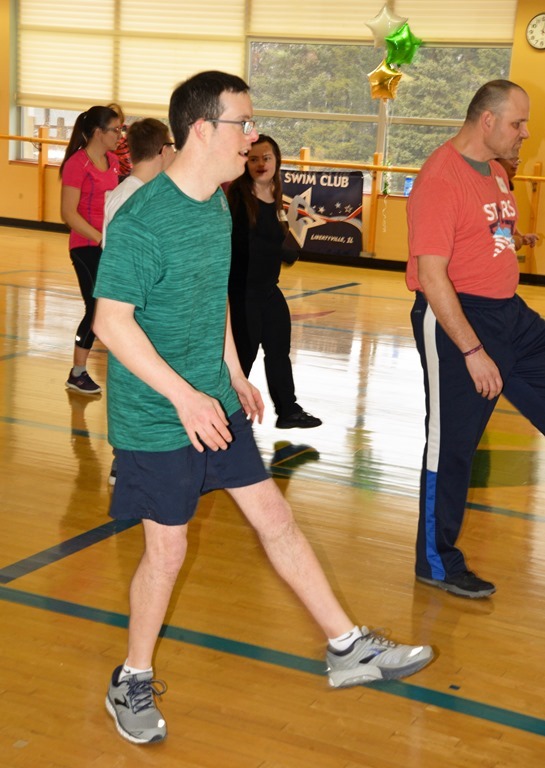 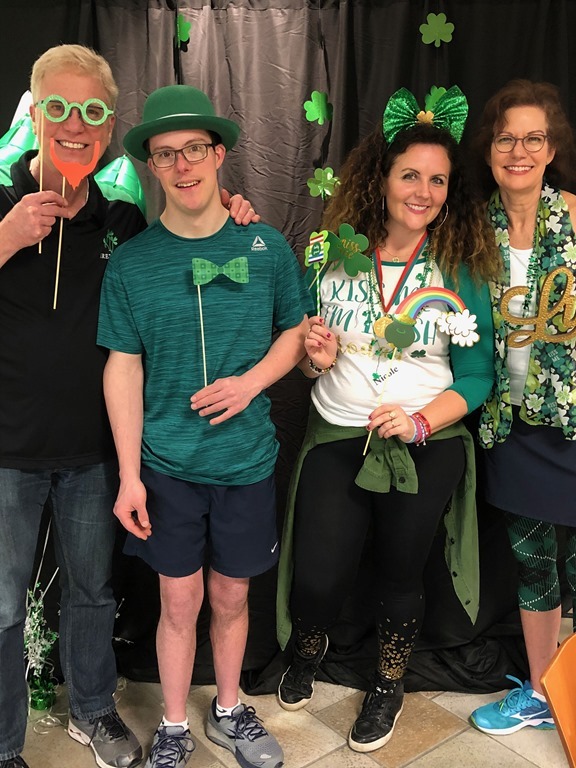 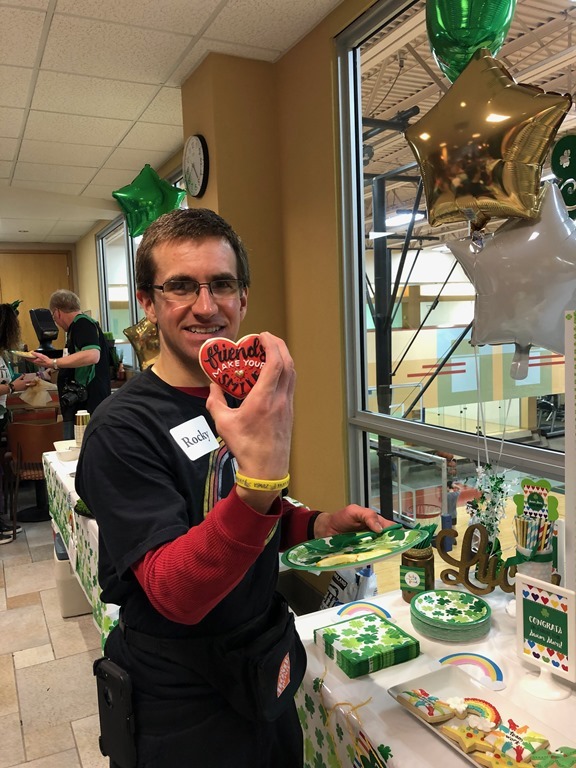 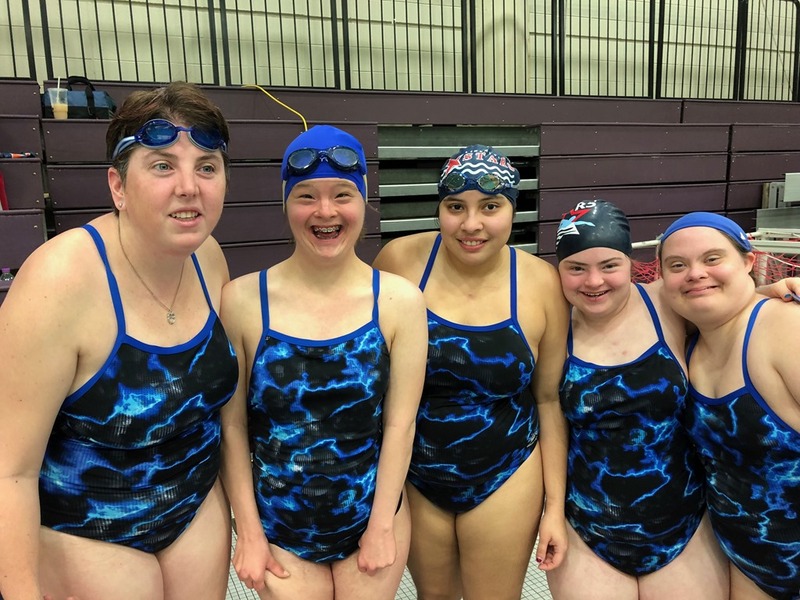 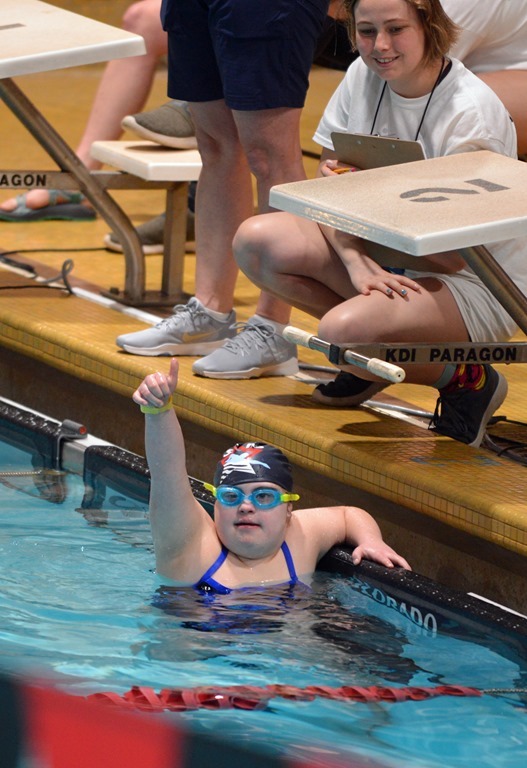 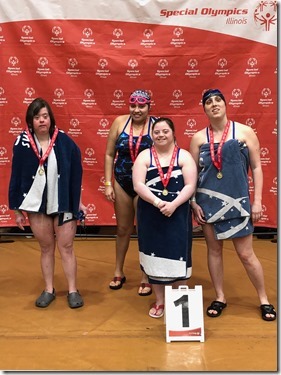 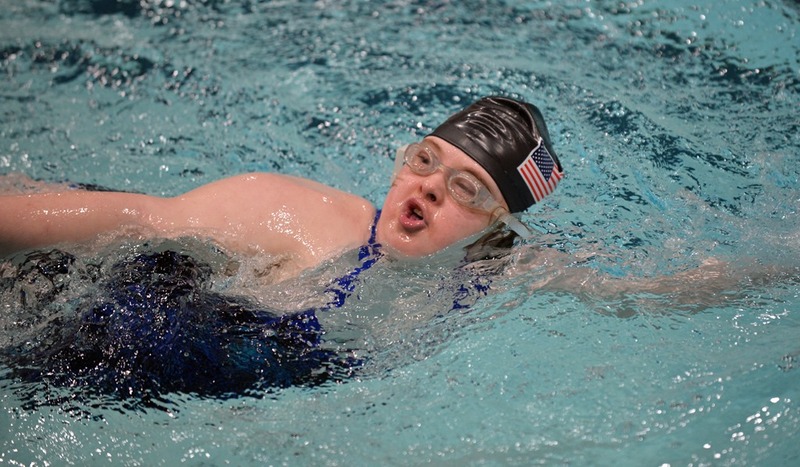 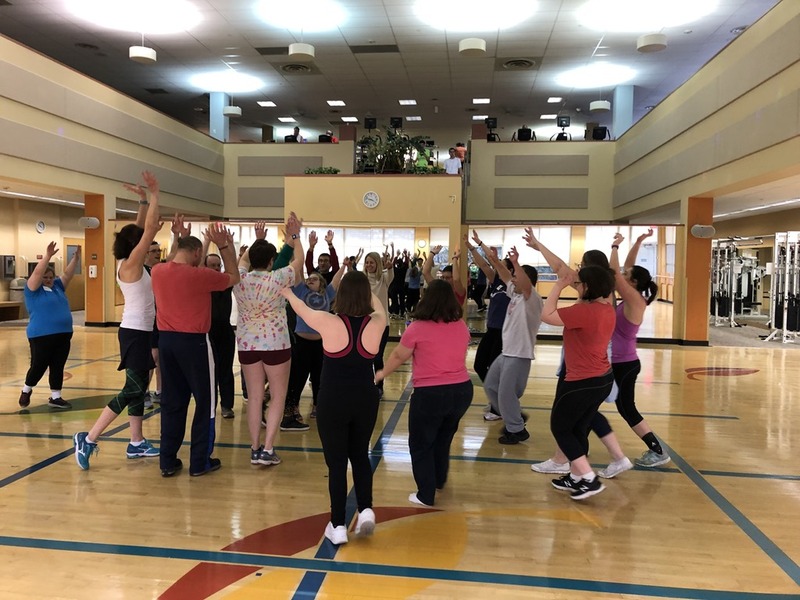 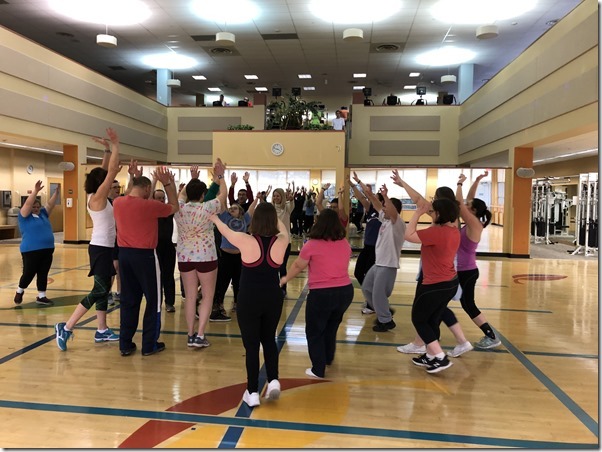 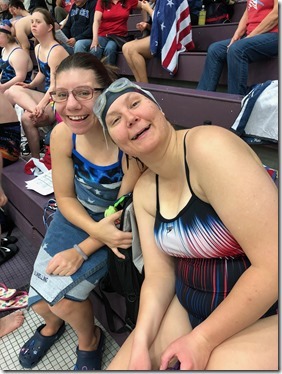 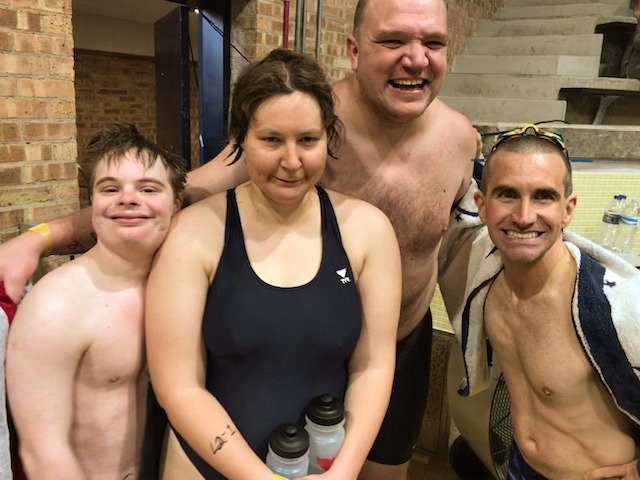 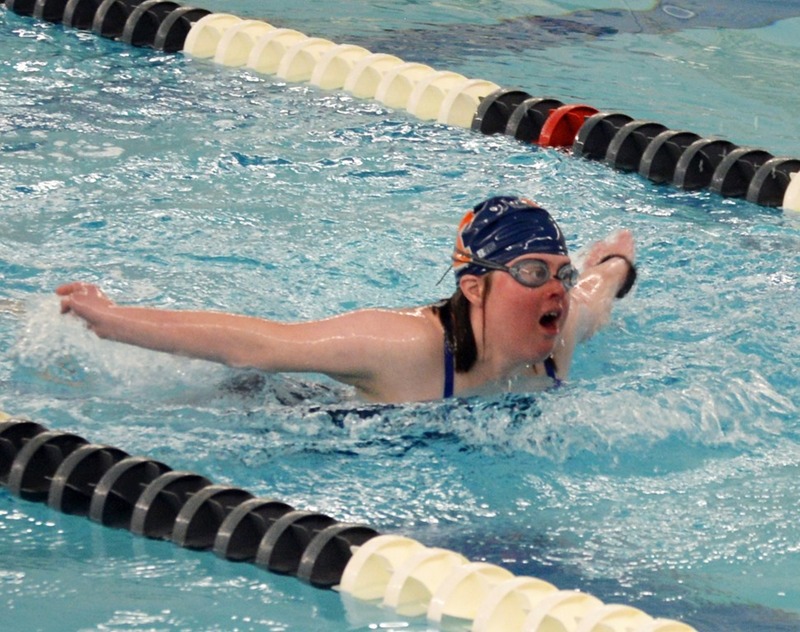 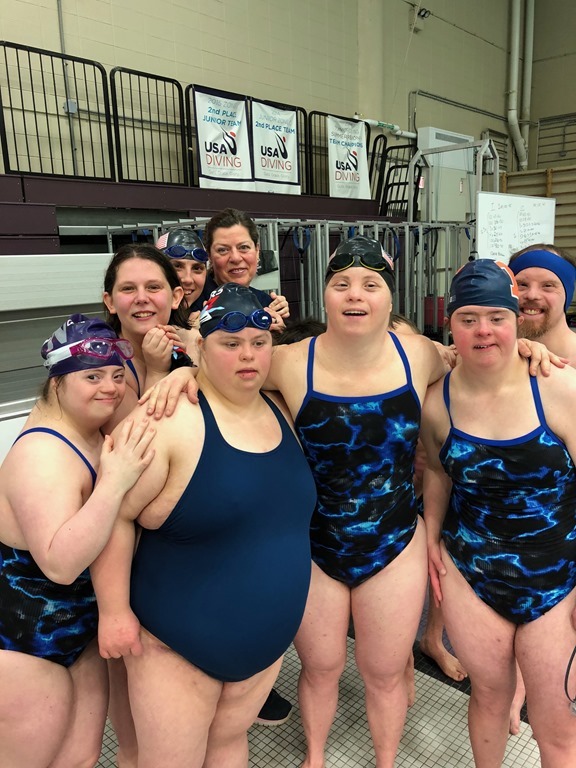 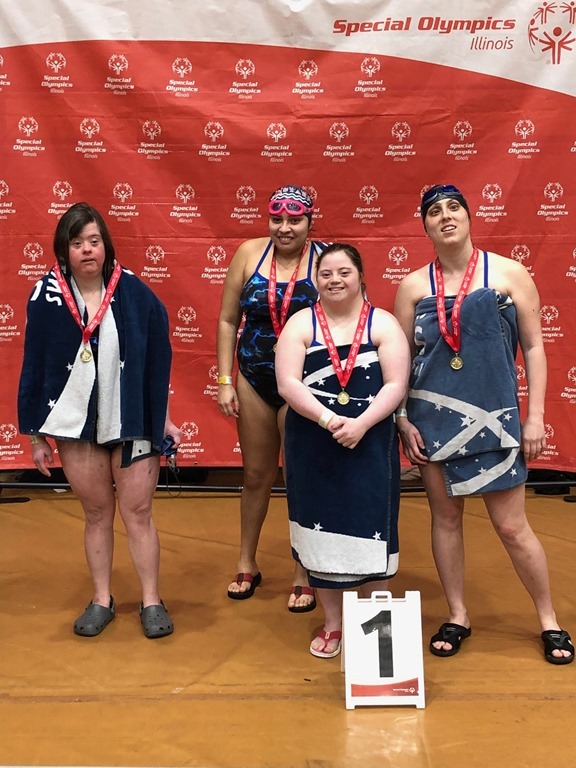 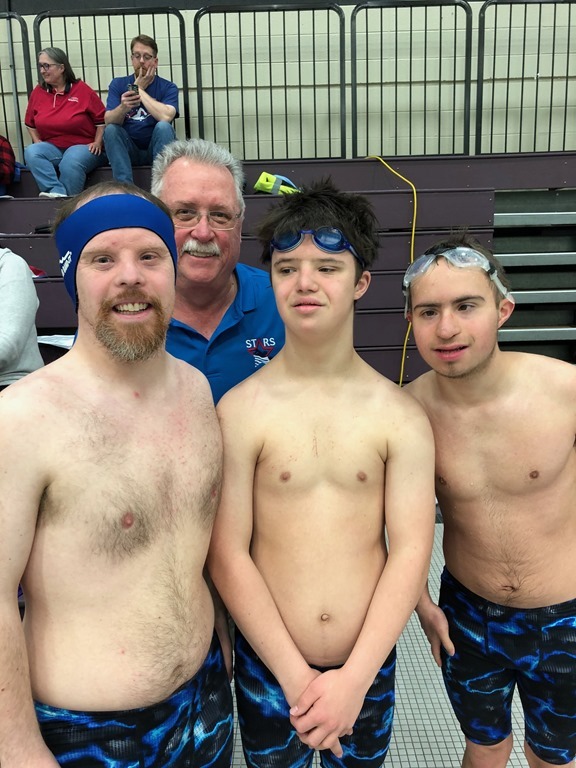 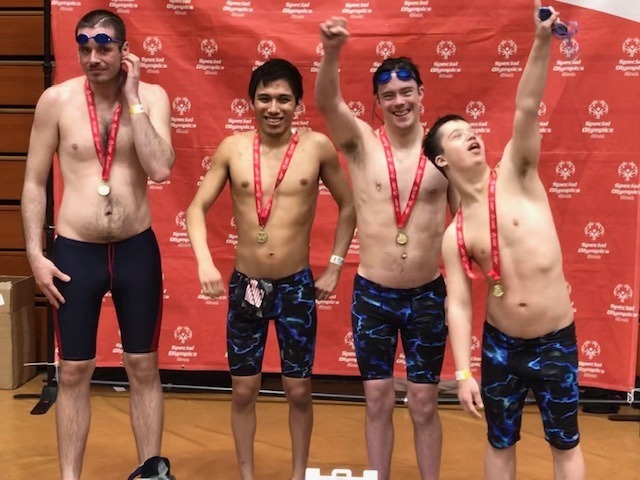 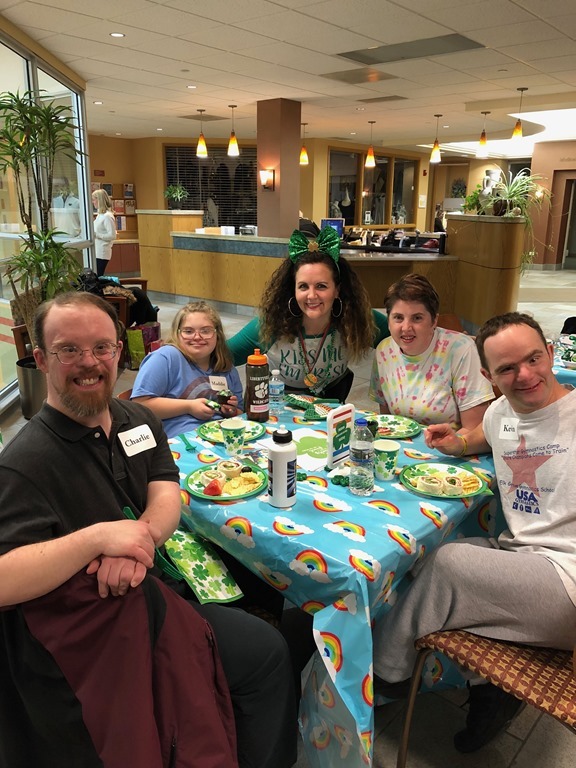 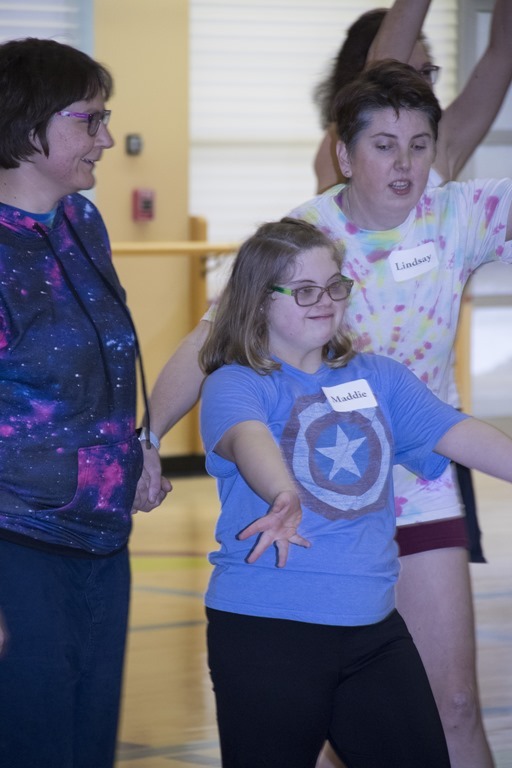 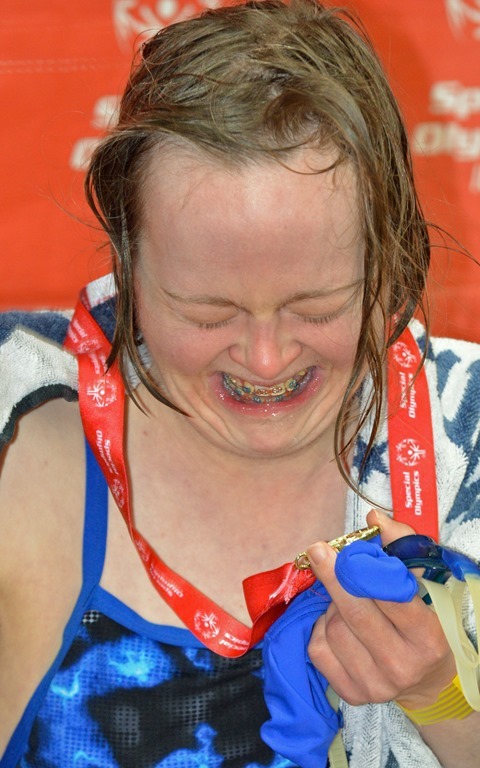 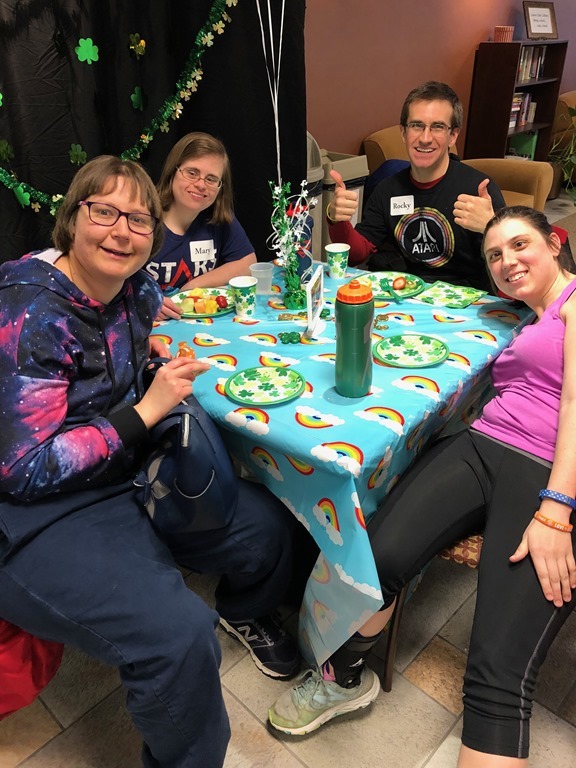 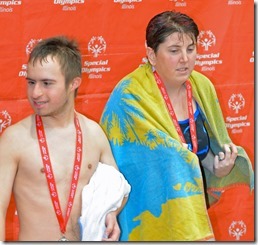 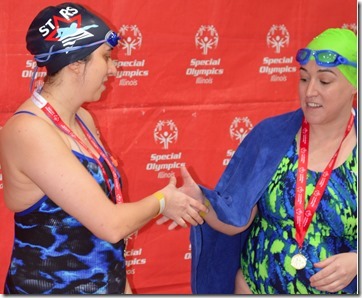 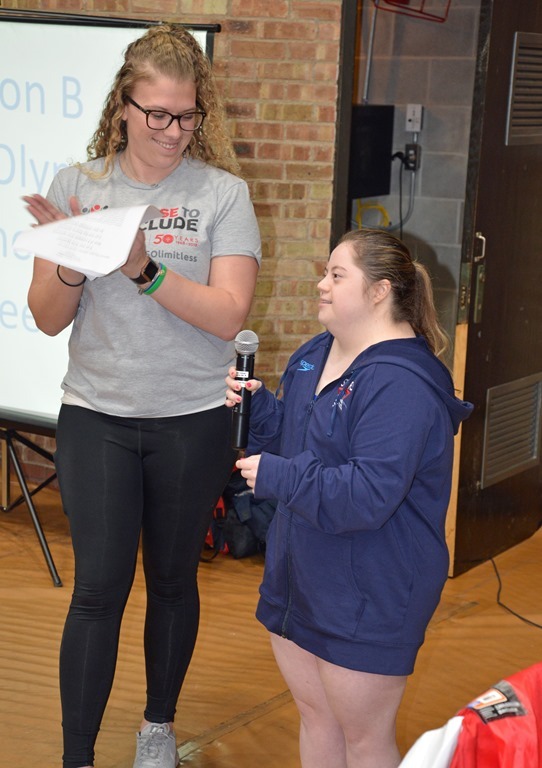 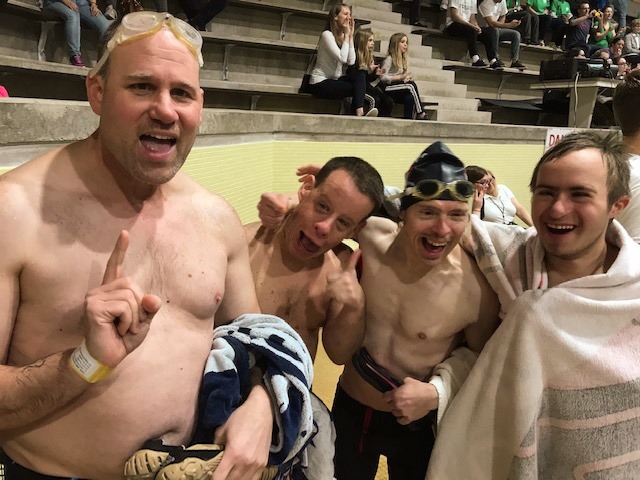 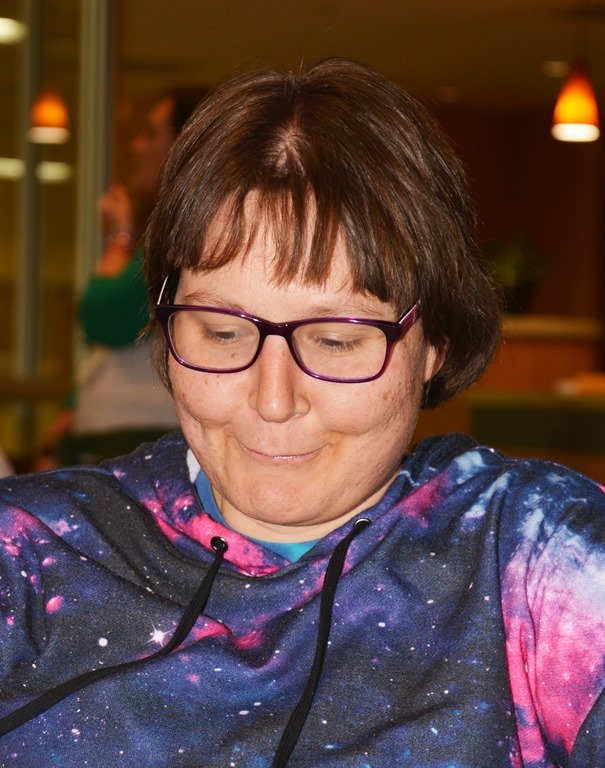 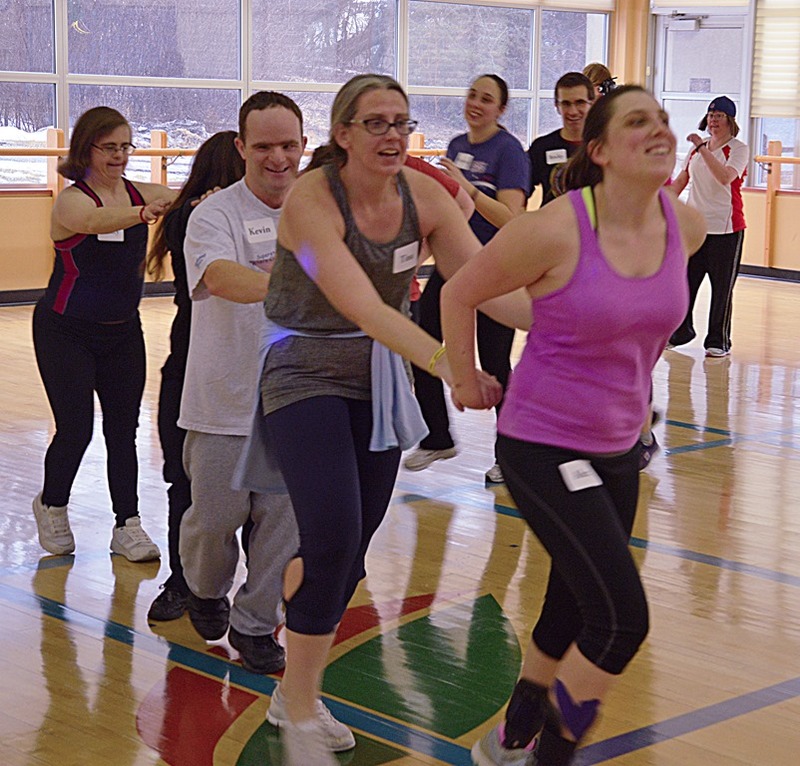 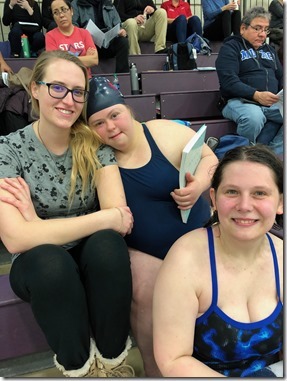 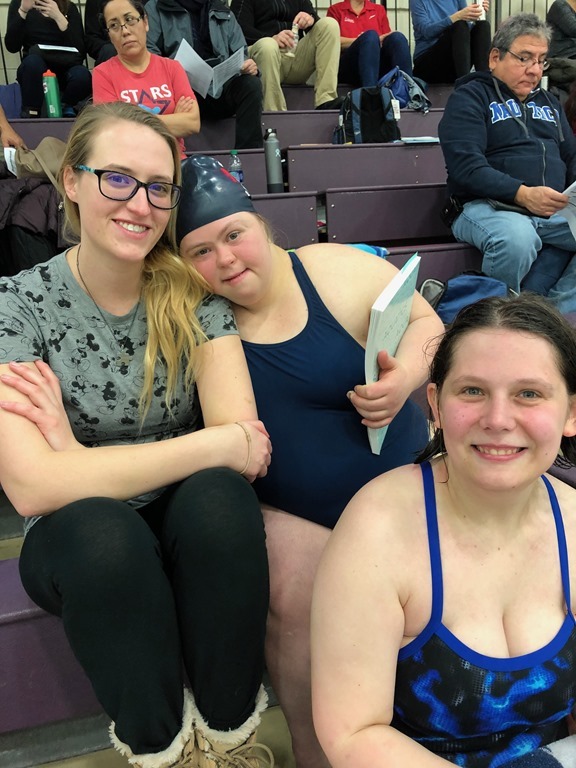 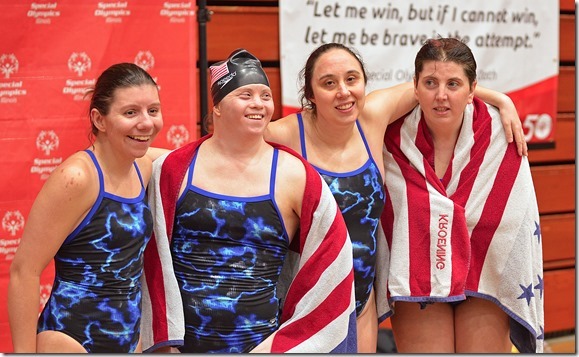 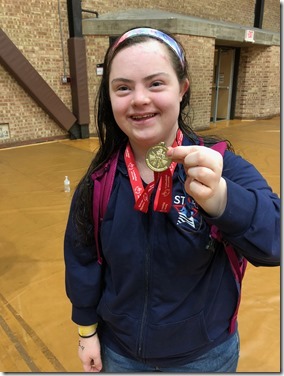 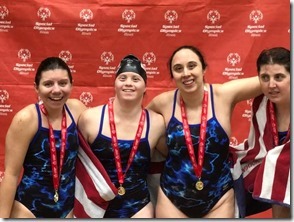 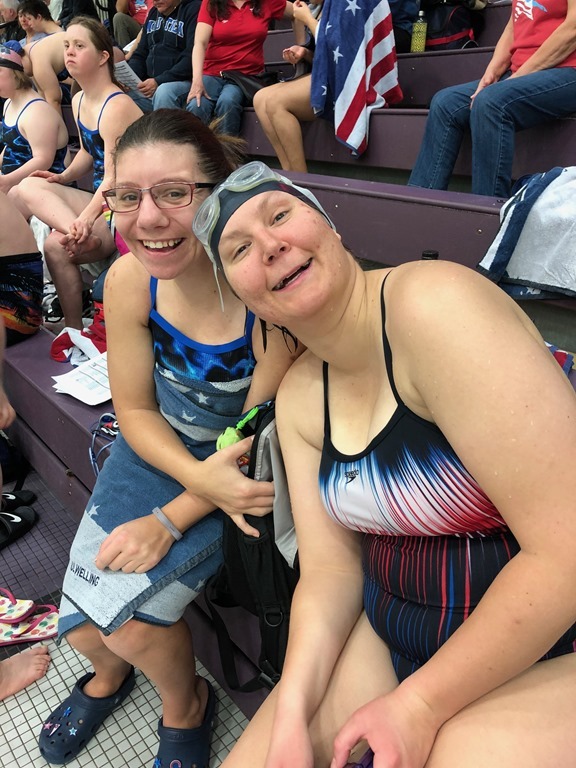 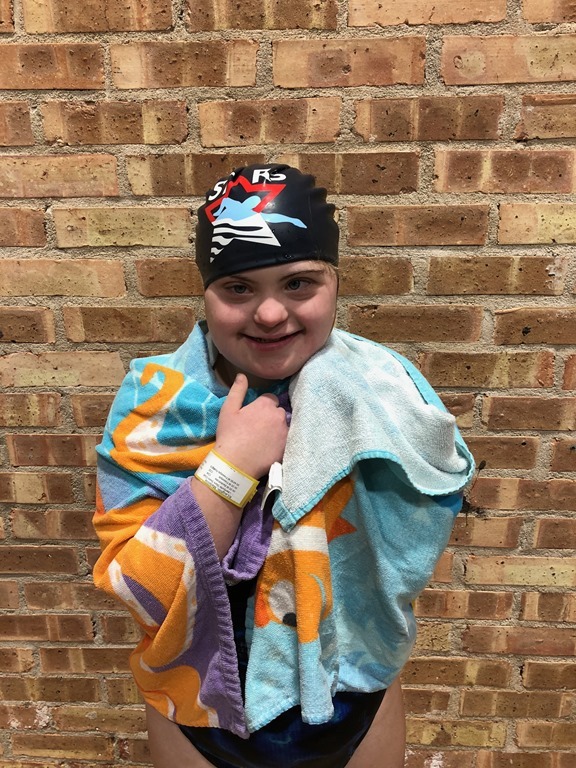 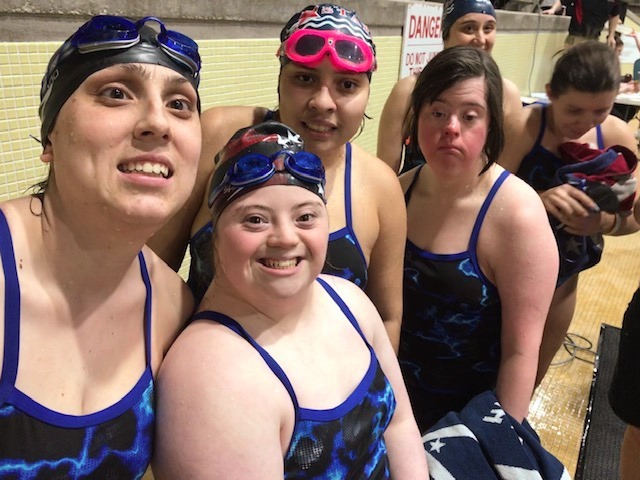 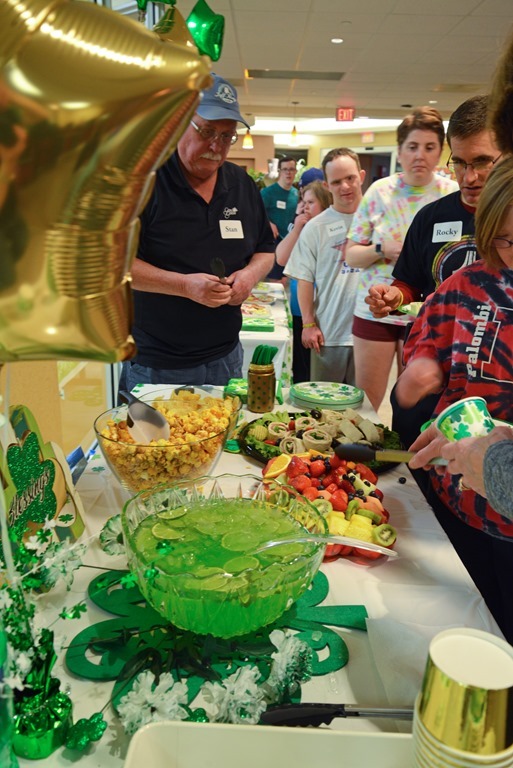 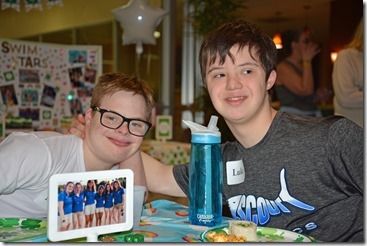 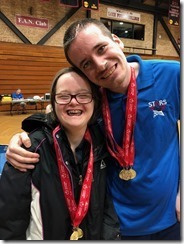 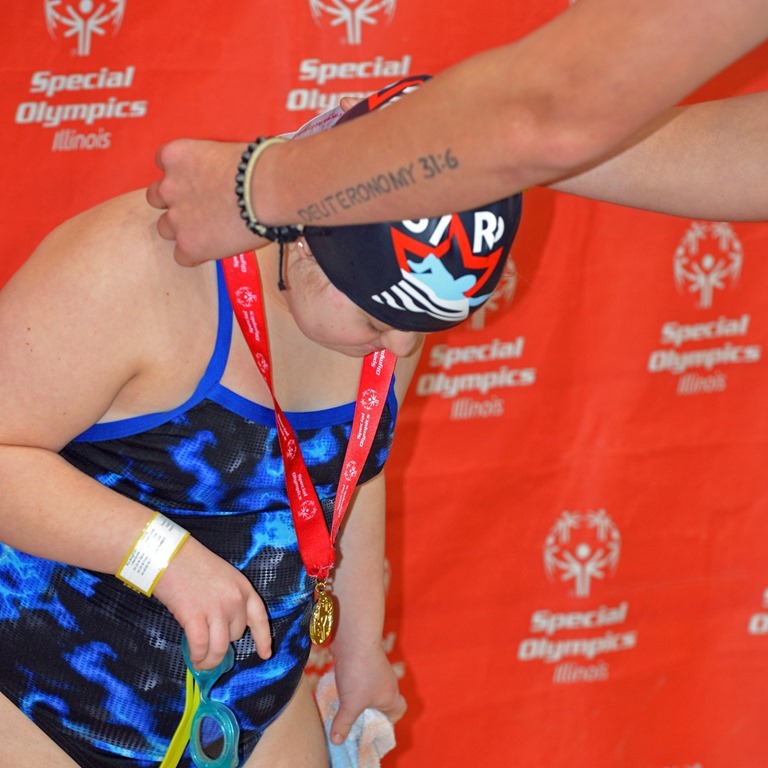 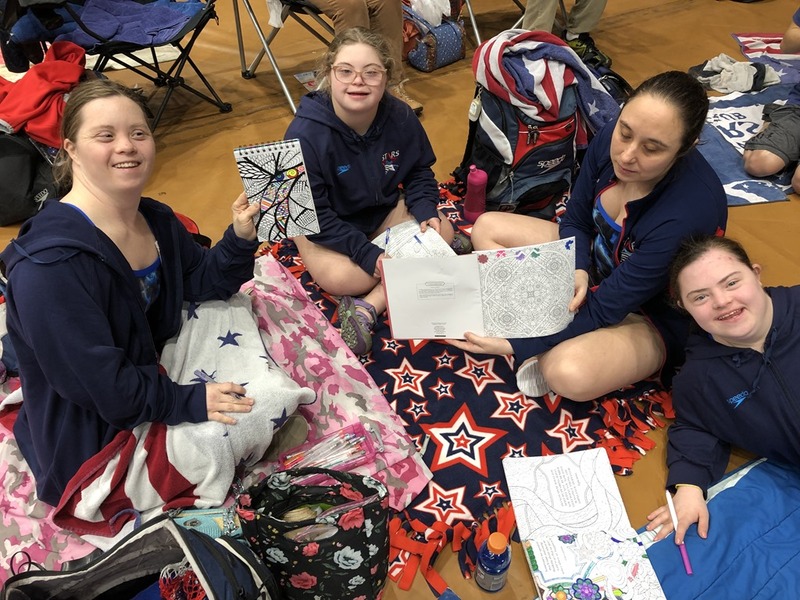 March 23 - For the second time in the history of our team, everyone who competed at the Special Olympics District Swim Meet won at least one gold medal - earning them a golden ticket to the Special Olympics Illinois Summer Games, which will be held in Normal, IL., June 7 - 9. Congratulations to all our swimmers who not only displayed great swimming skills, but also great sportsmanship. 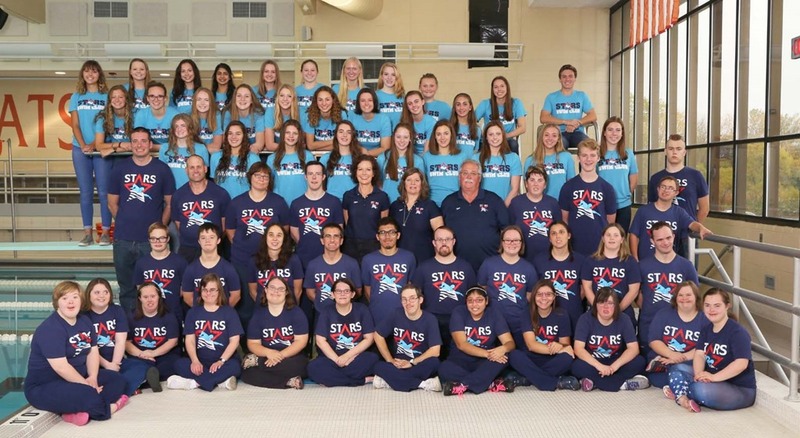 Thank you to all our peer coaches who have worked so hard with our athletes this year. 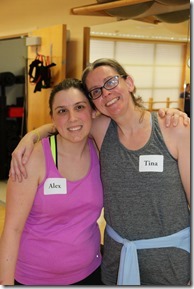 Your dedication paid off! And thanks to all the parents and helpers who got their swimmers to every practice. 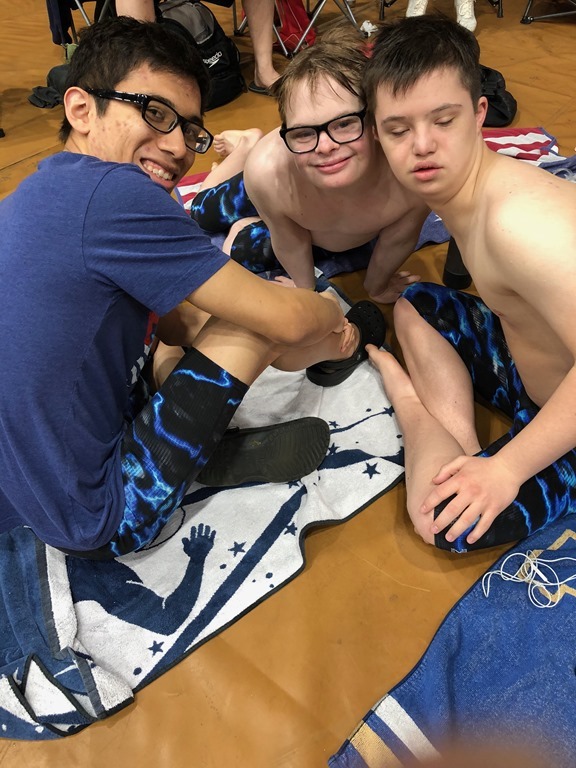 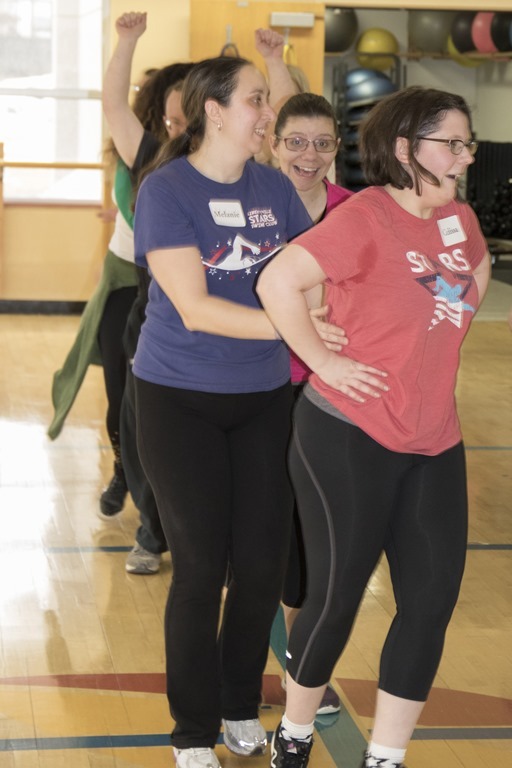 If you ever start to wonder if it's worth it, just look at the smiles during the award ceremonies and the strong friendships among of our teammates. 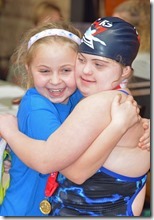 It truly matters! We are so proud of every one of you. 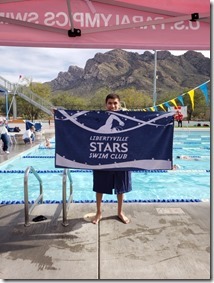 Well done, Libertyville Stars! 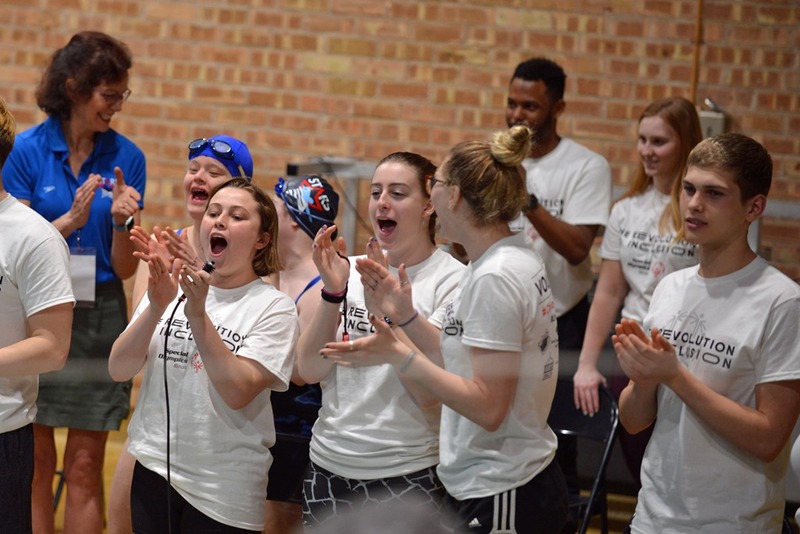 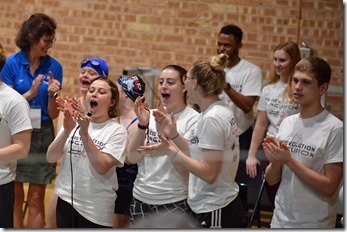 Our thanks to Lake Forest College and their many student volunteers who gave up their day to make it such a special event for the athletes. 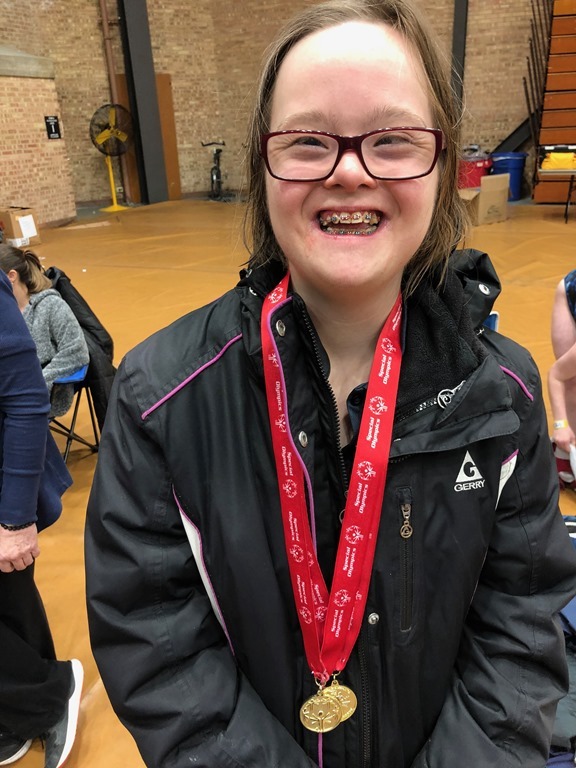 And a special shout out to Maddie - who won her VERY FIRST GOLD MEDAL with our team - the first of many, many more to come in the future! 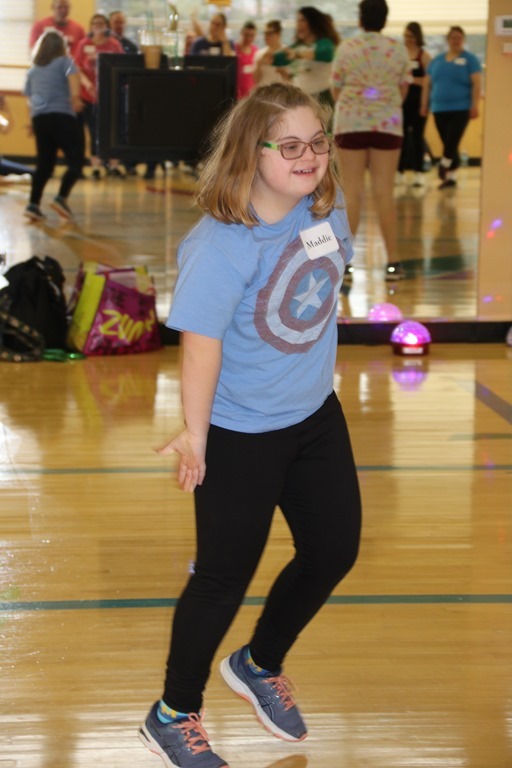 Way to shine, Maddie! 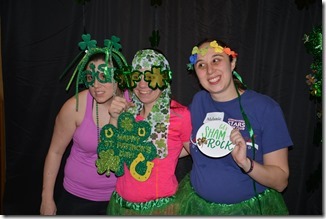 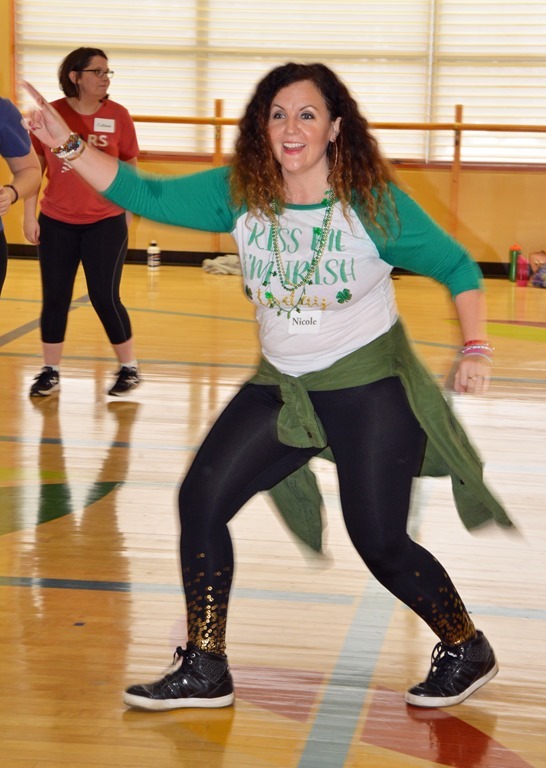 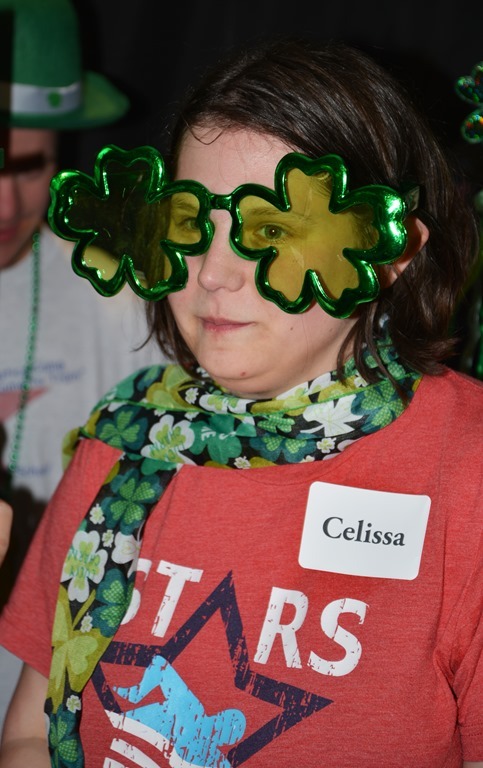 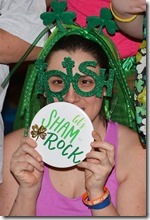 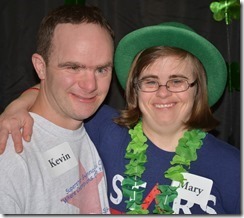 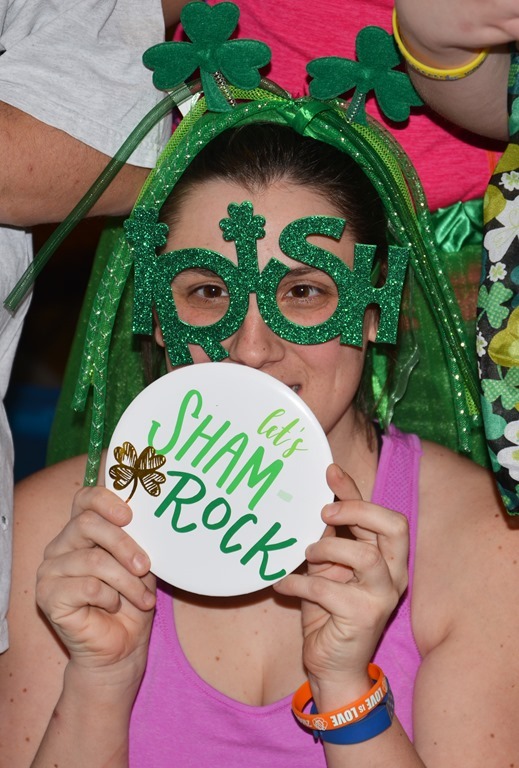 STARs Party St. Paddy’s Style! 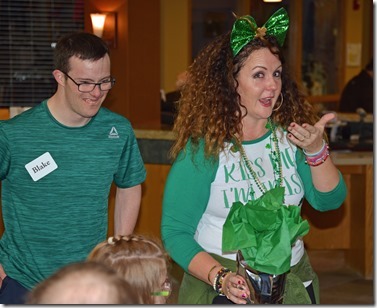 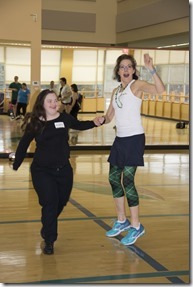 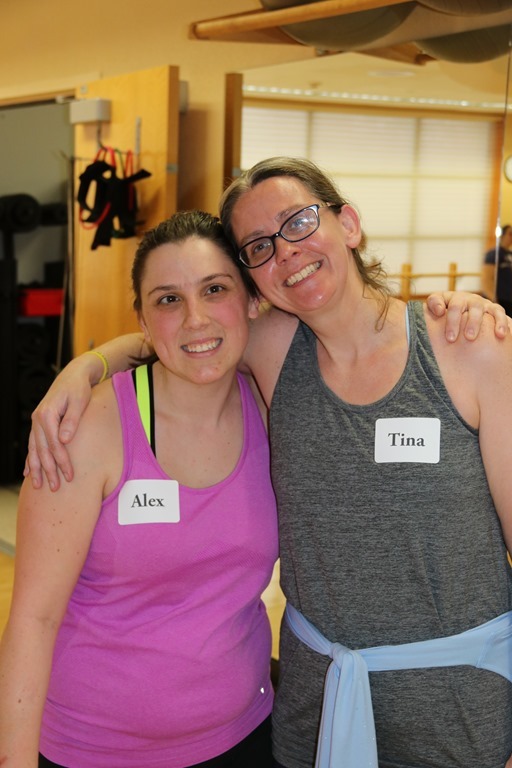 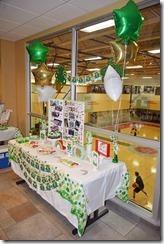 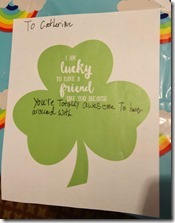 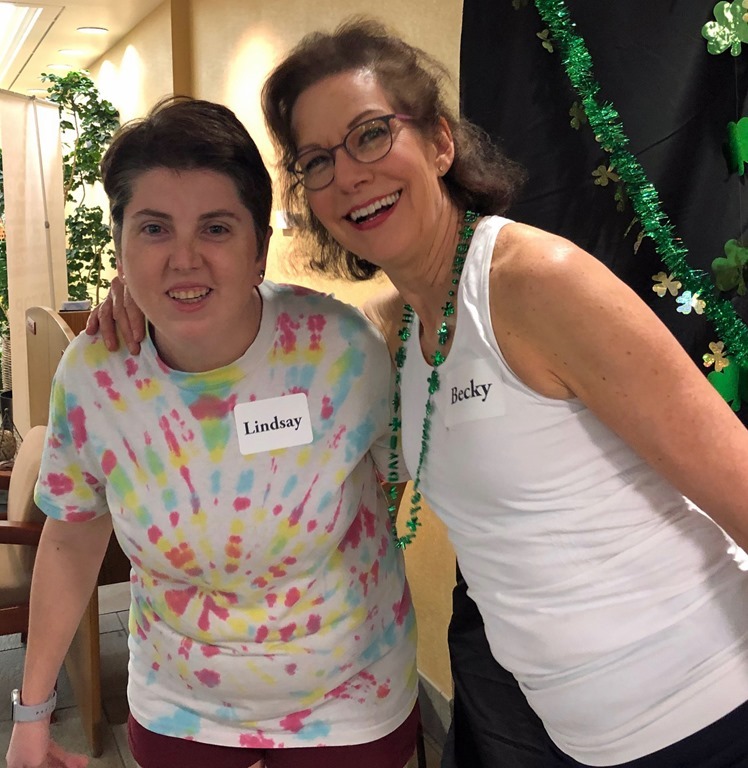 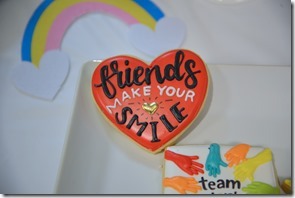 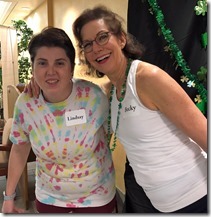 The theme of the party was "Lucky to Have a Friend Like You." 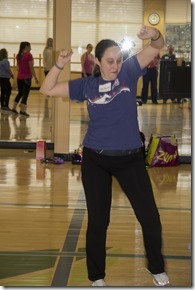 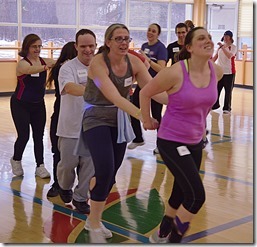 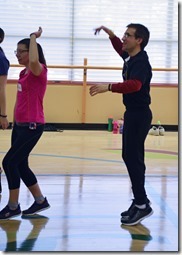 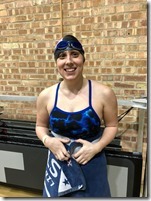 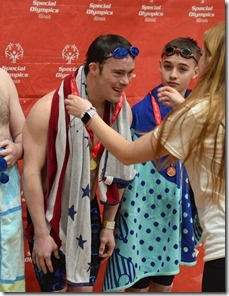 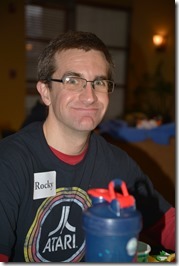 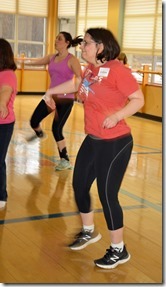 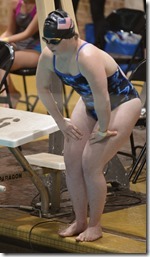 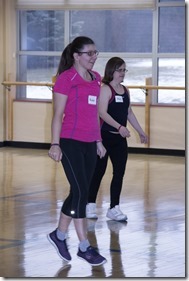 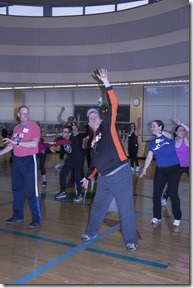 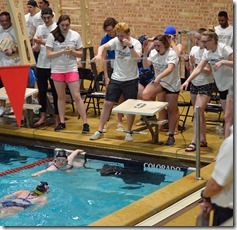 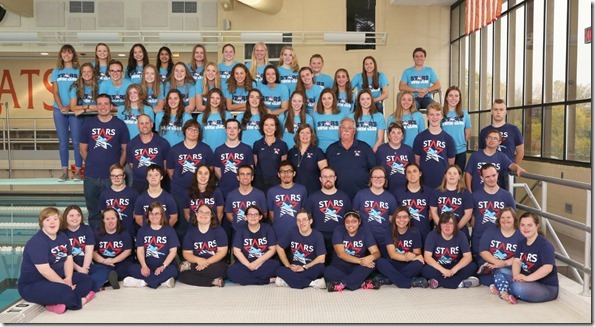 Sunday, February 24 - The STARS love participating in the swim meet at Northwestern University in Evanston. 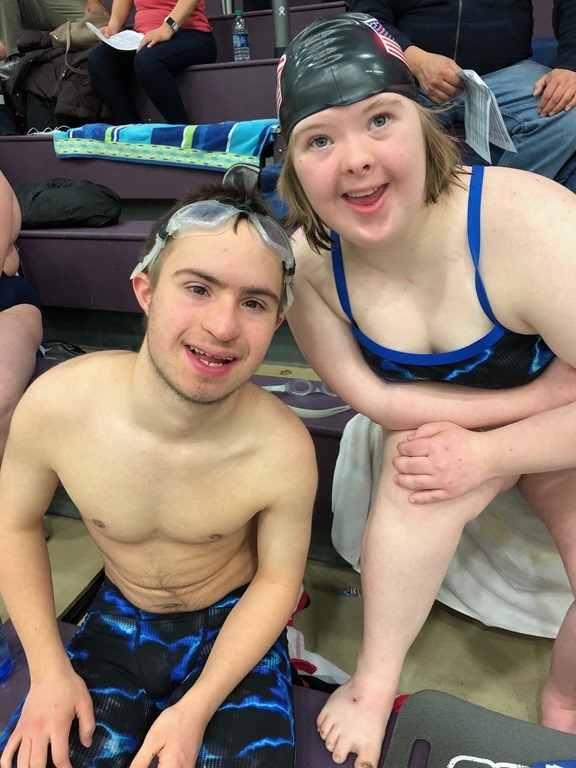 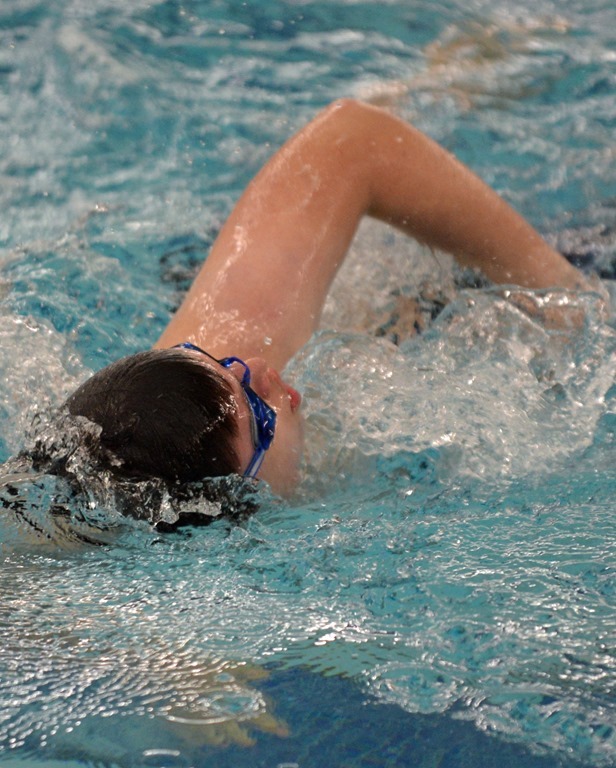 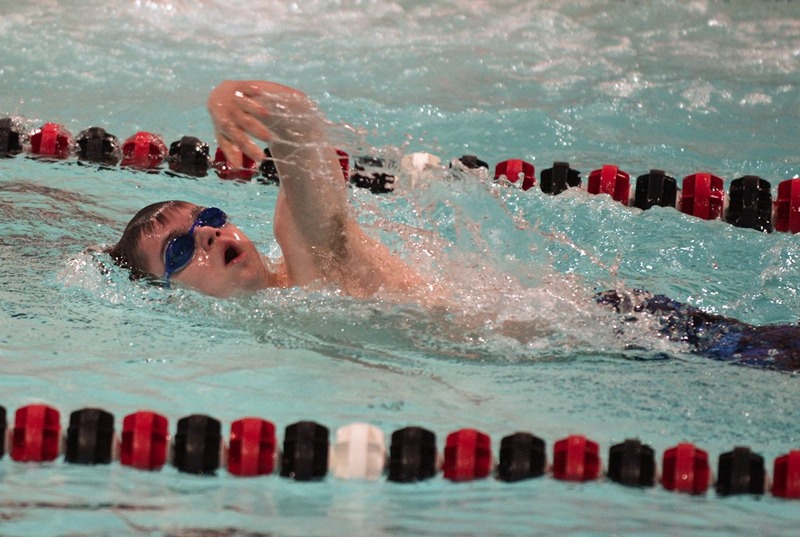 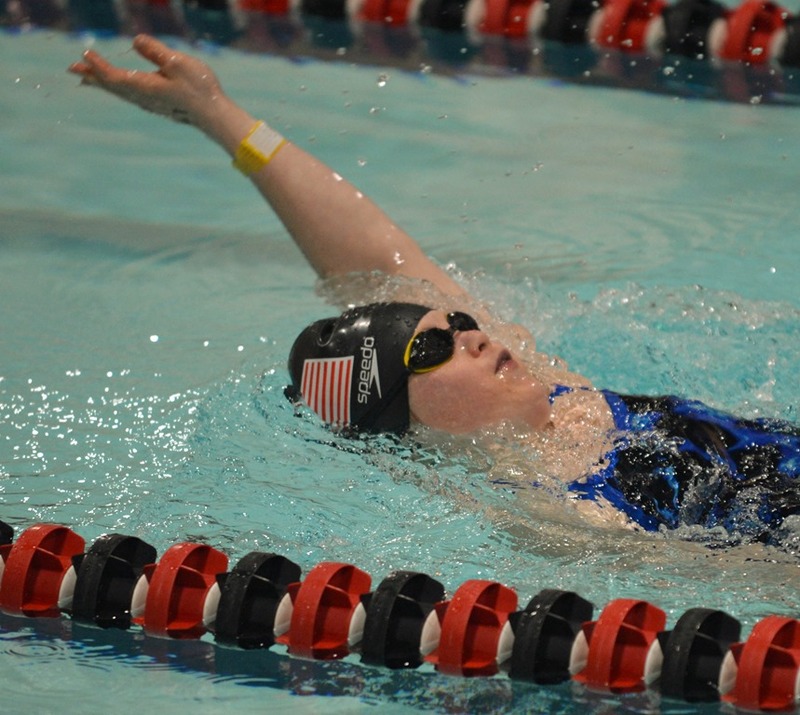 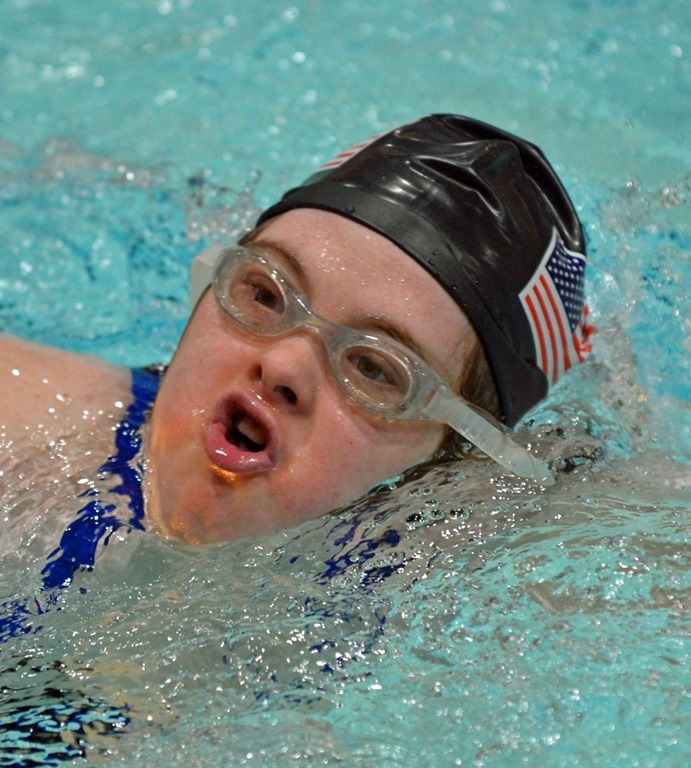 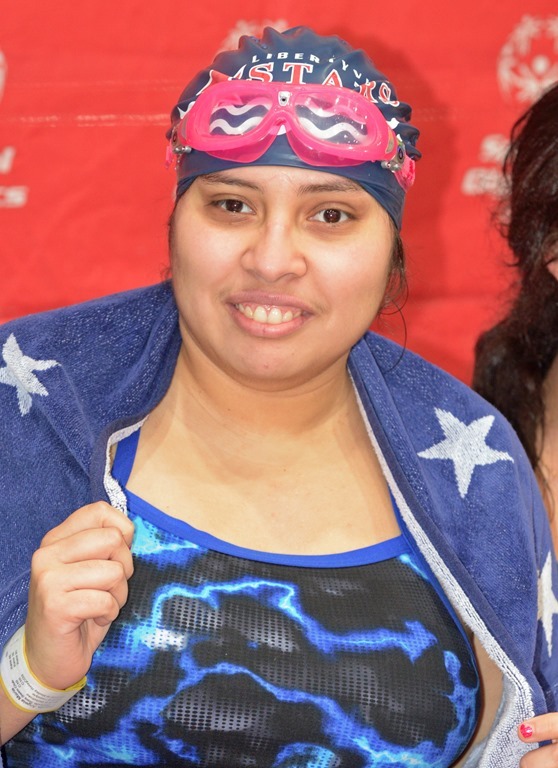 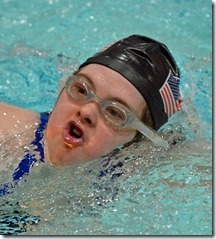 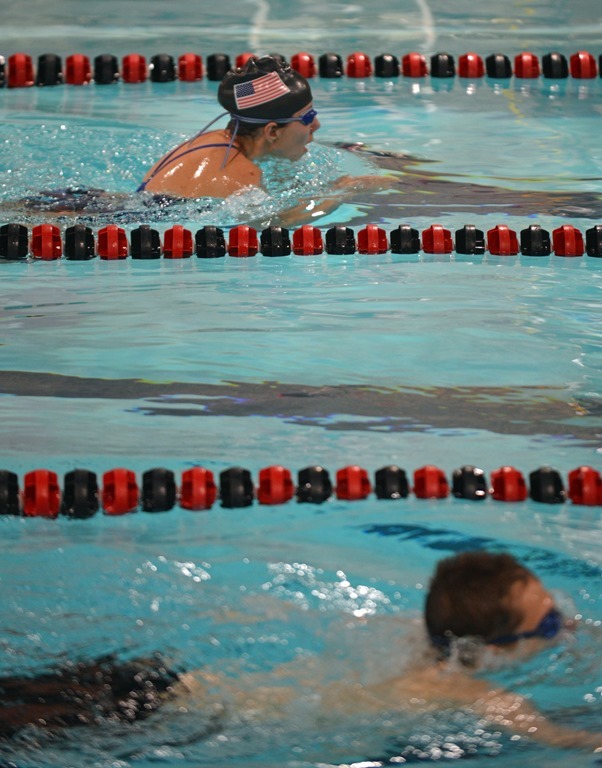 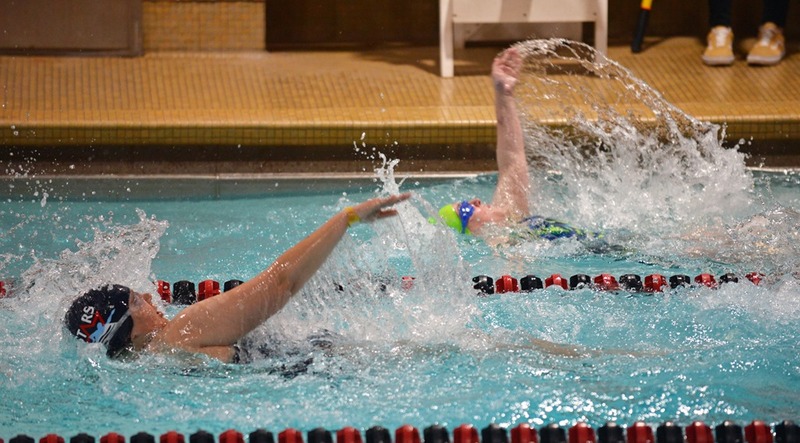 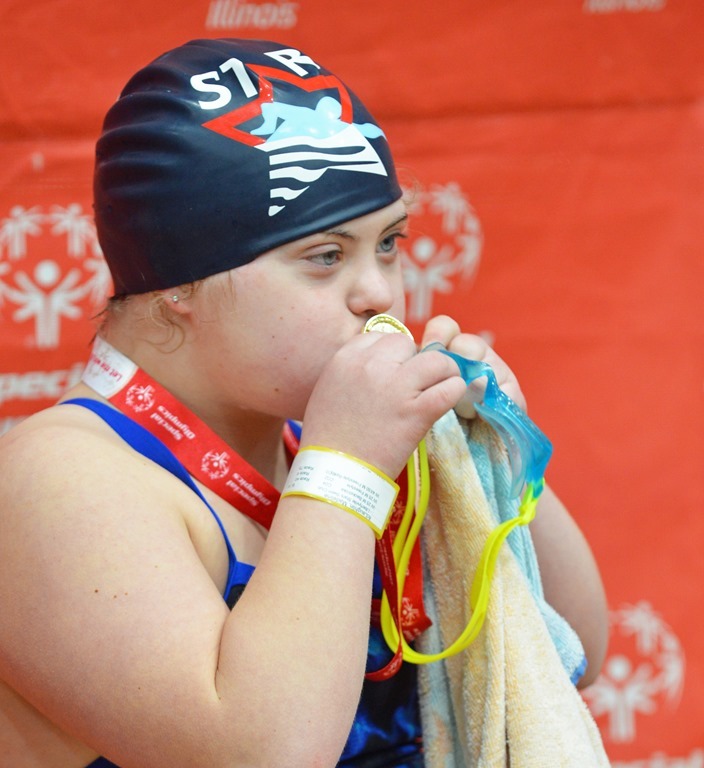 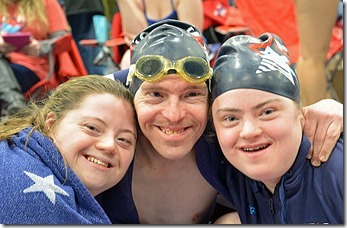 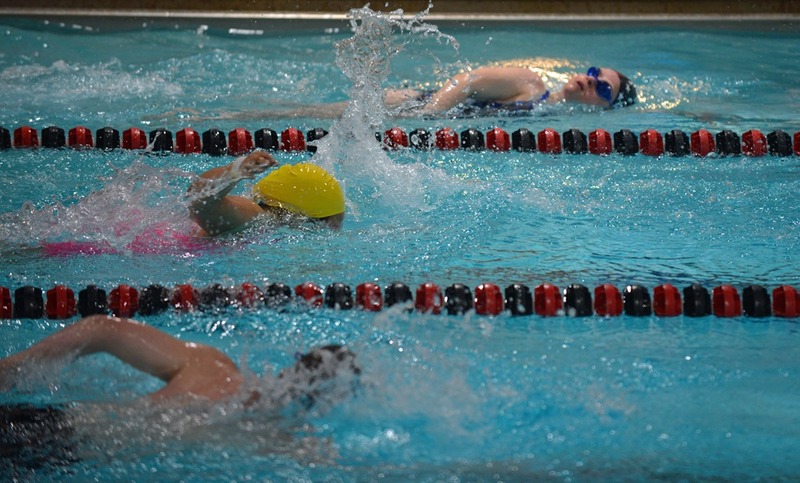 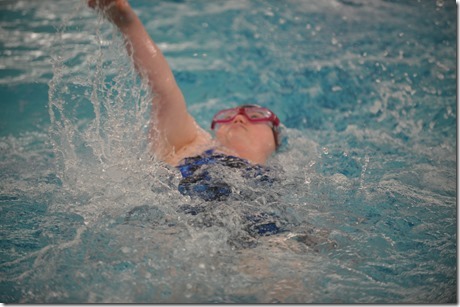 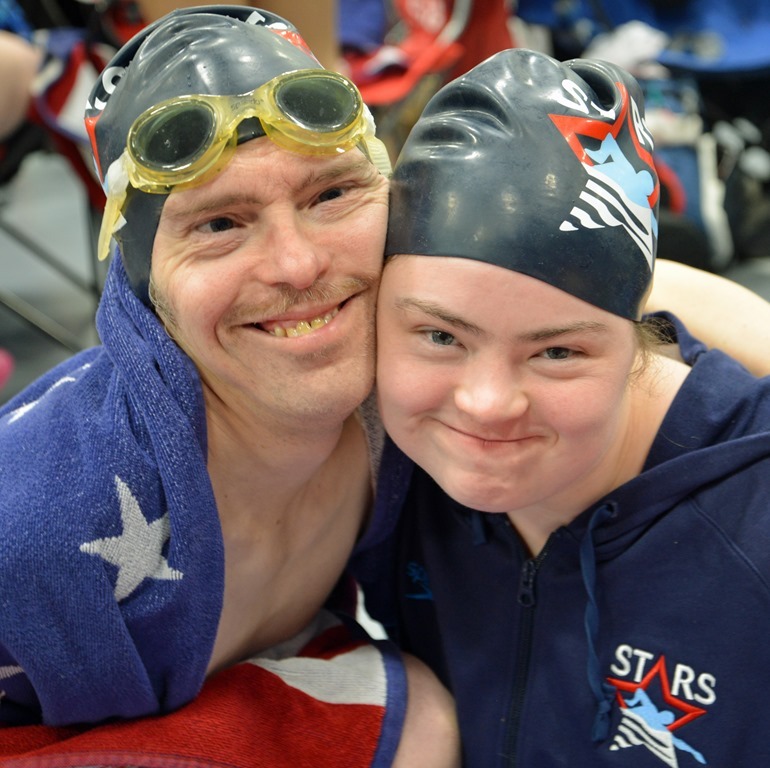 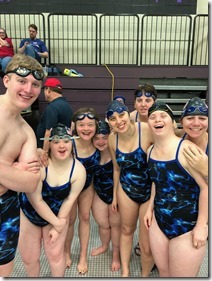 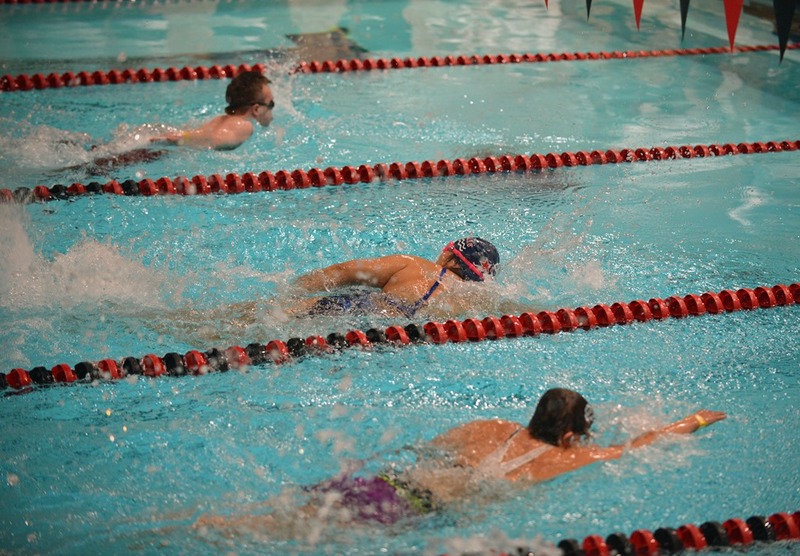 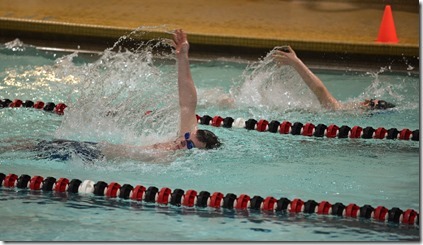 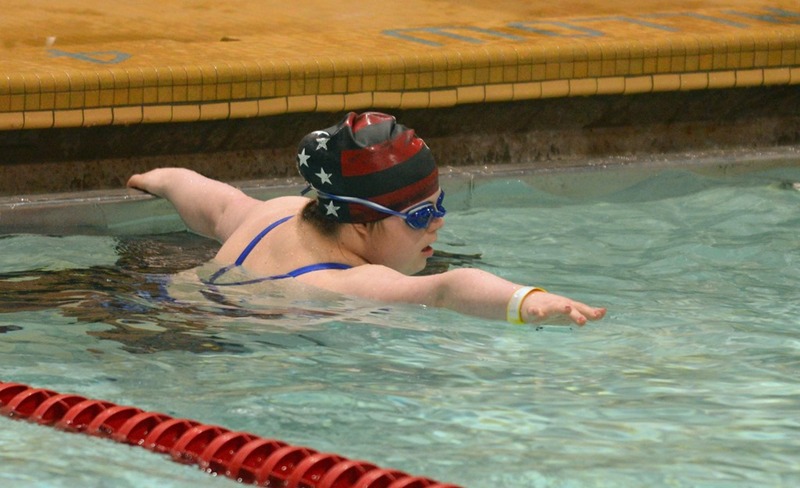 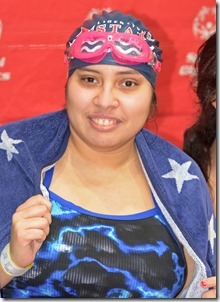 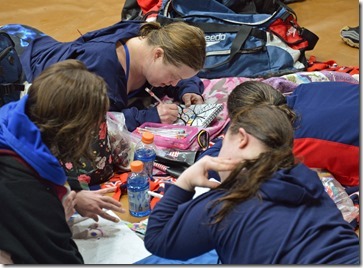 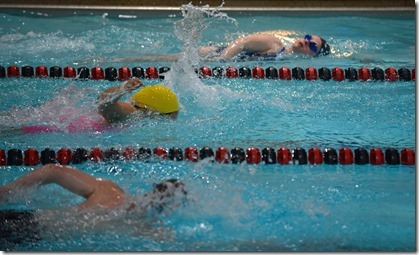 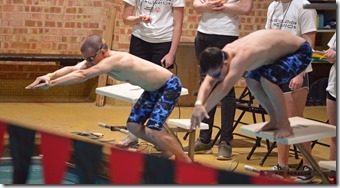 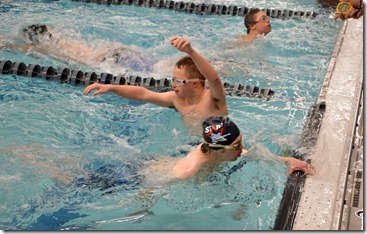 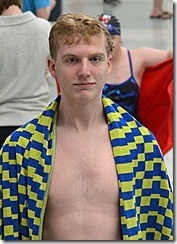 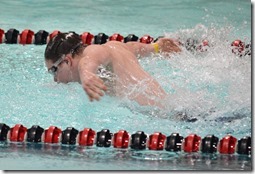 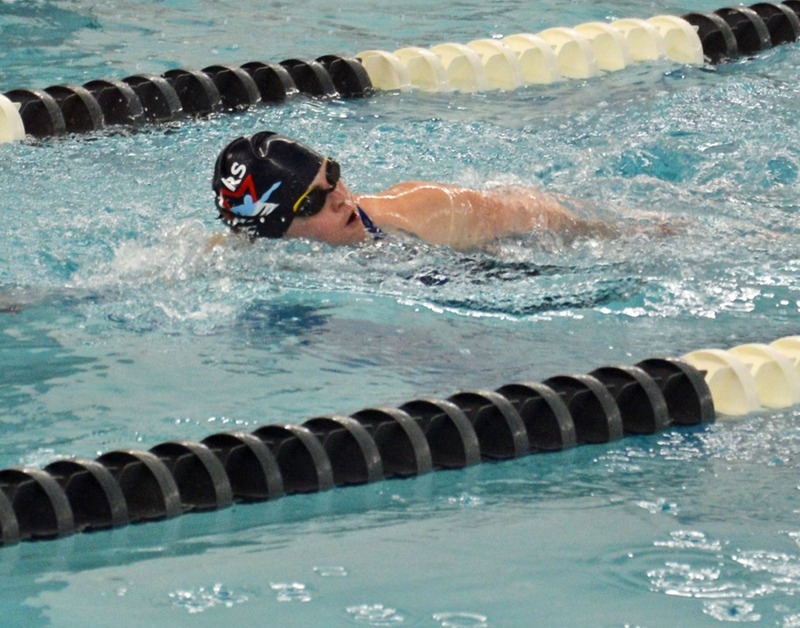 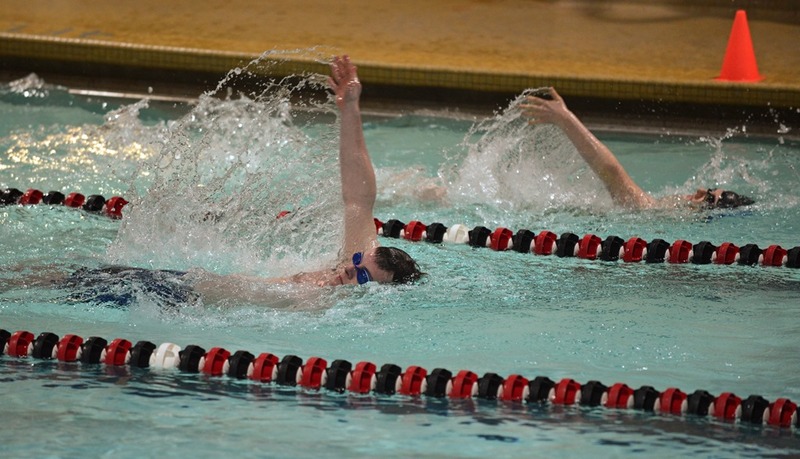 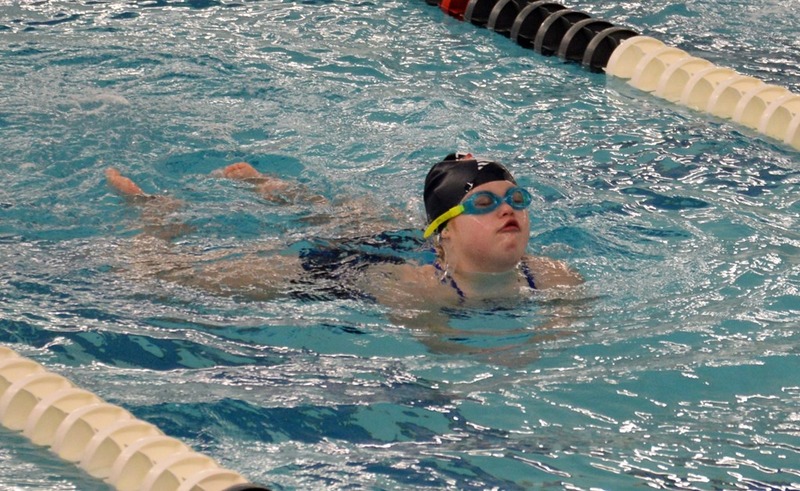 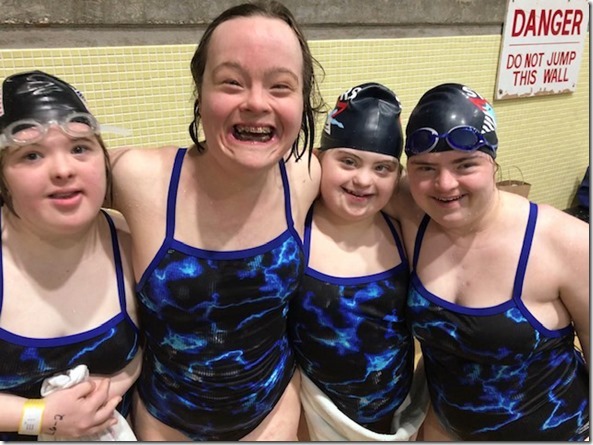 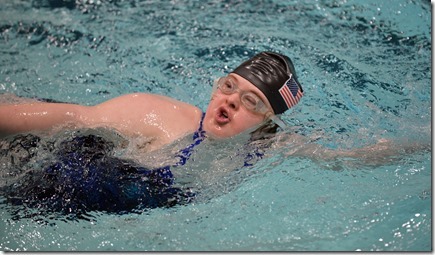 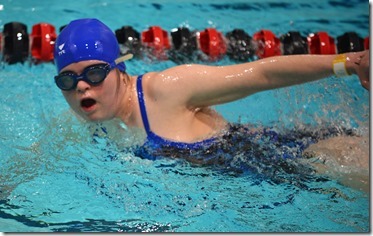 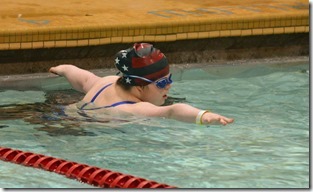 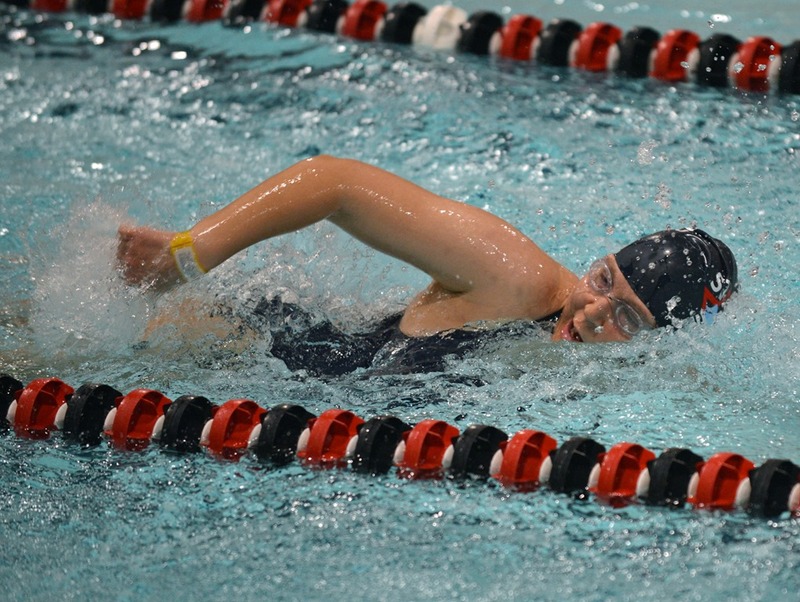 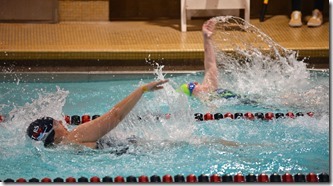 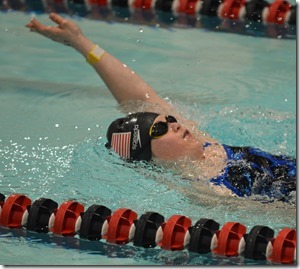 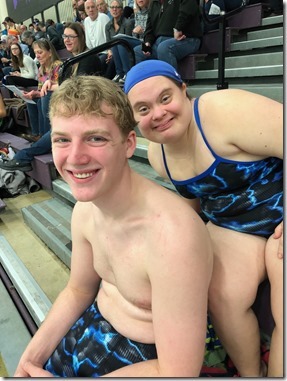 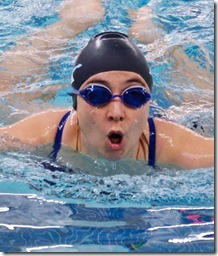 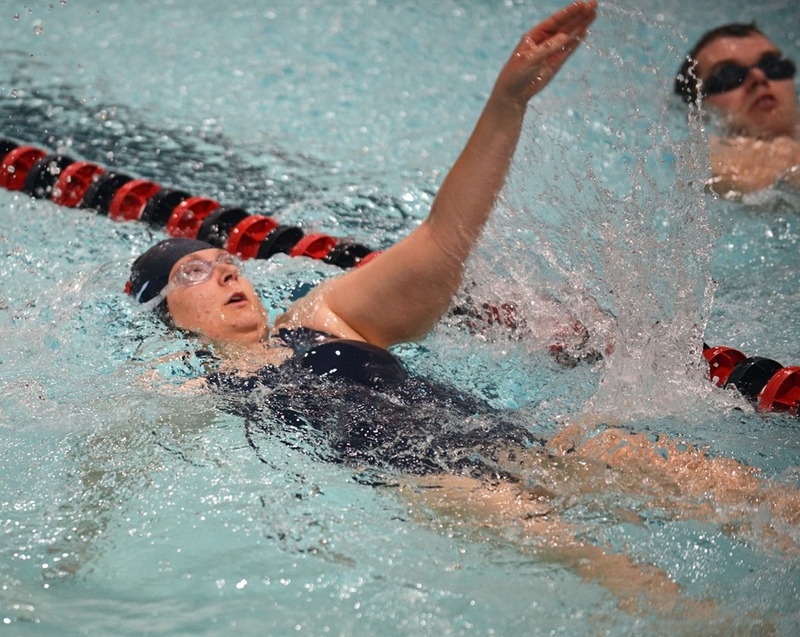 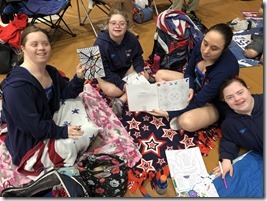 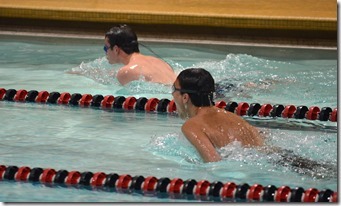 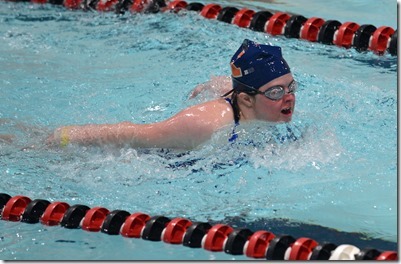 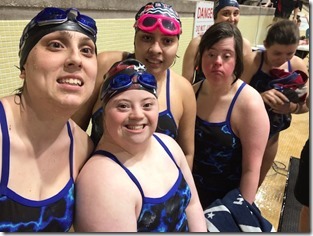 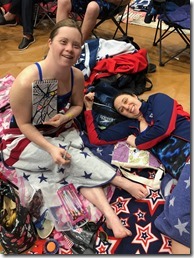 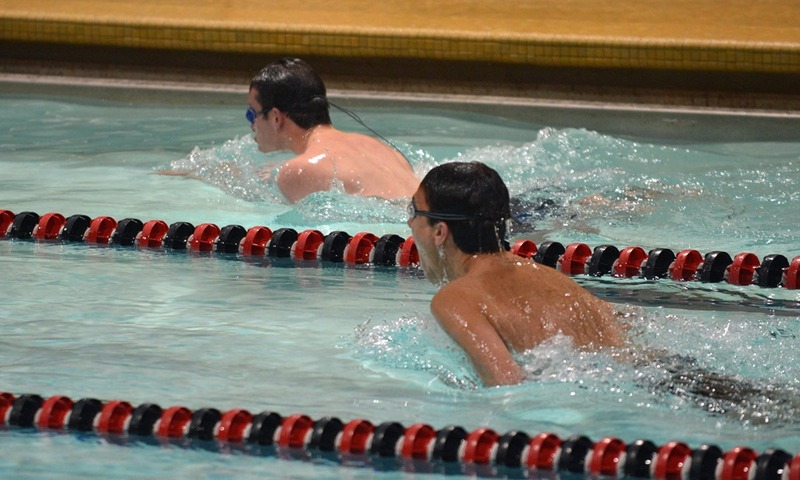 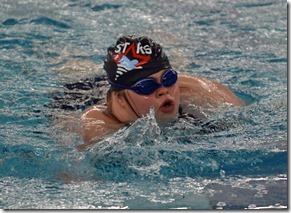 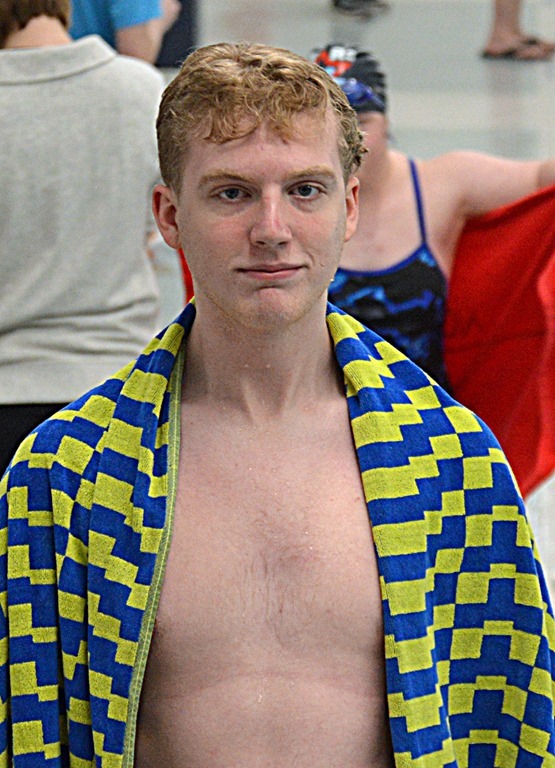 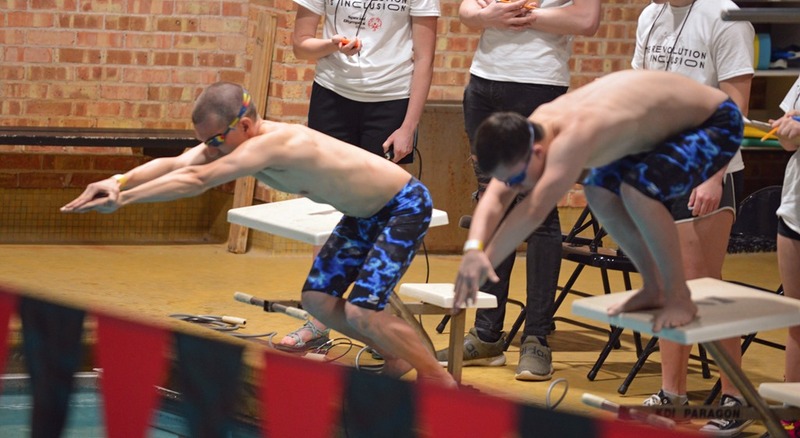 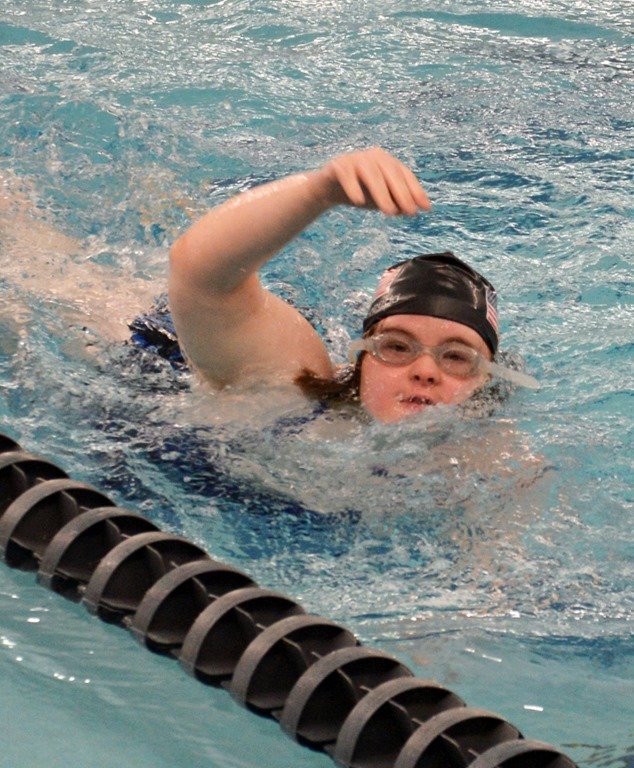 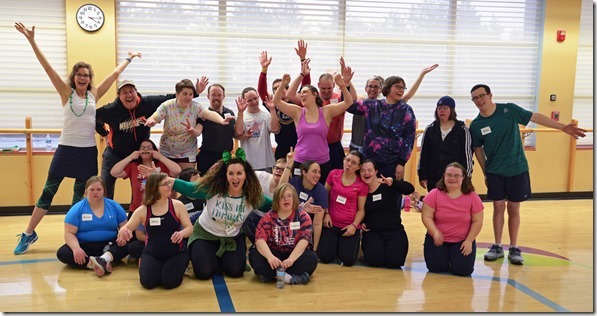 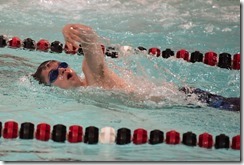 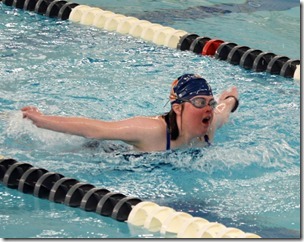 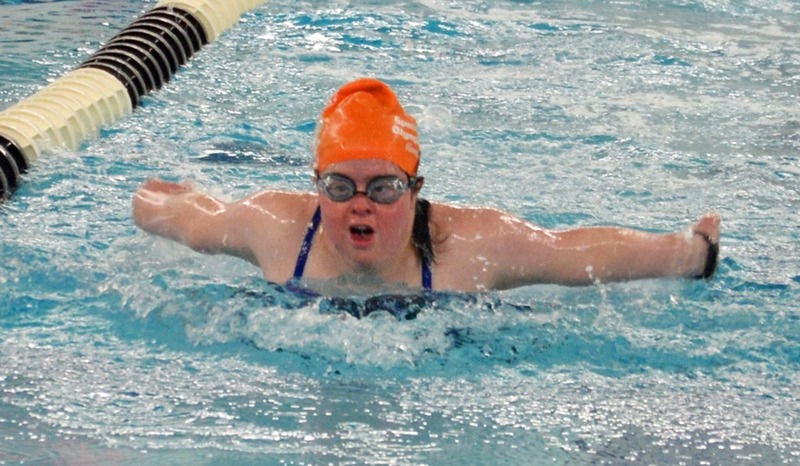 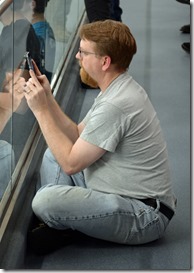 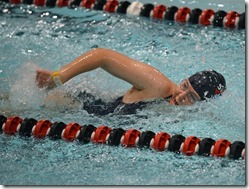 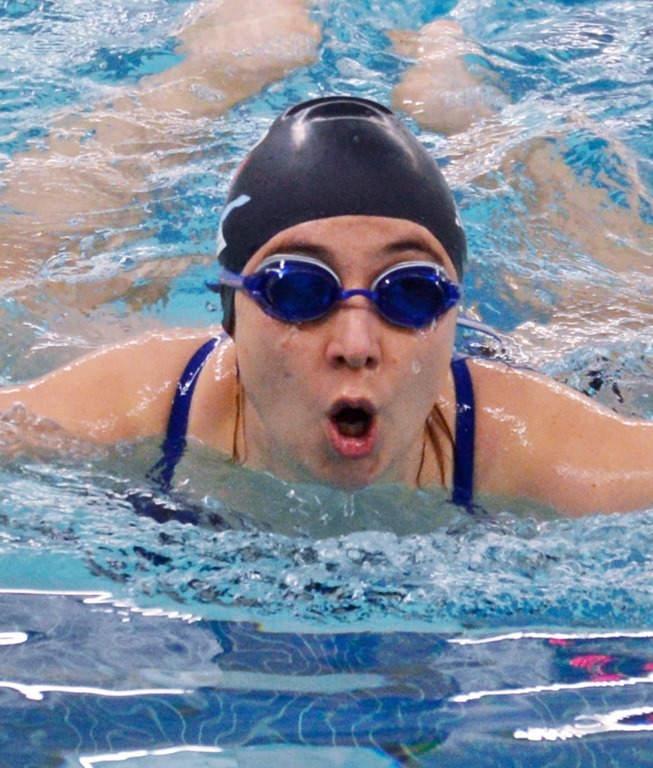 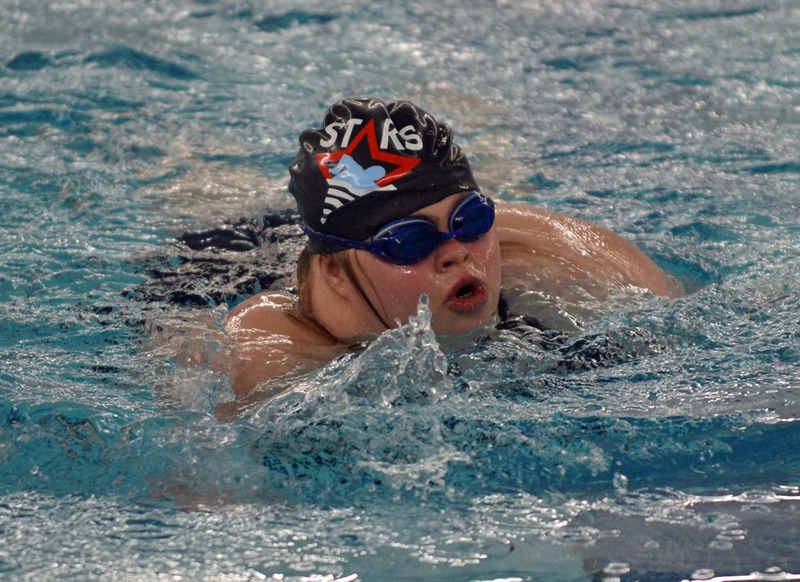 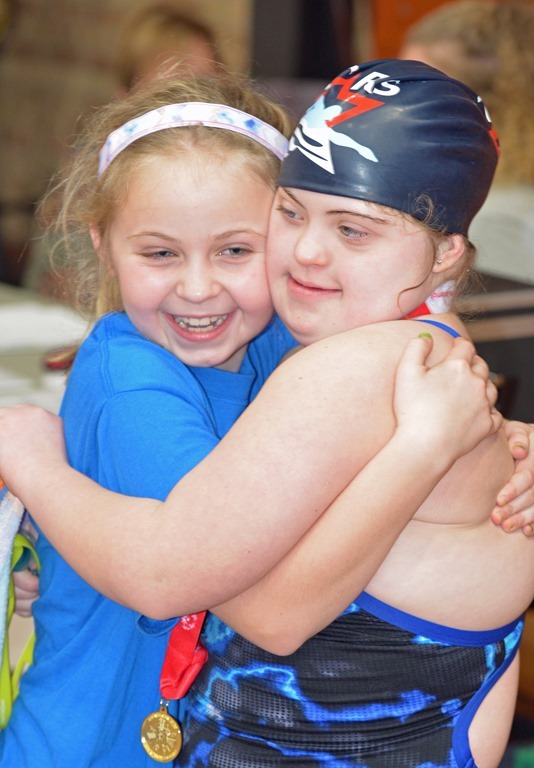 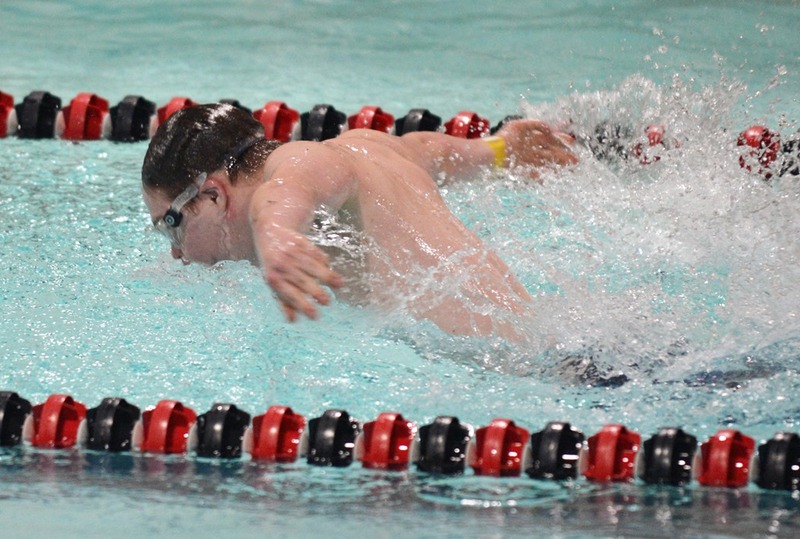 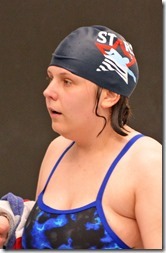 February 16 - The Stars shined bright at the WDSRA Swim Meet at West Chicago High School. 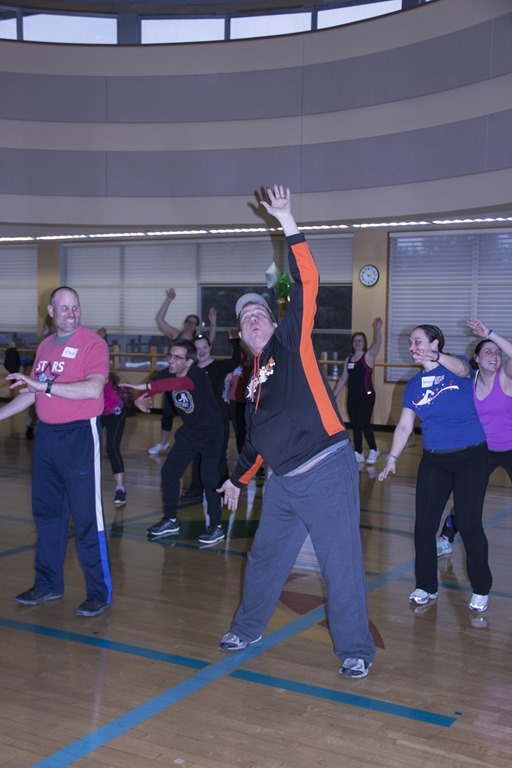 A big thanks to everyone who came out to the event, our hosts, and all the great volunteers who made it another big success! 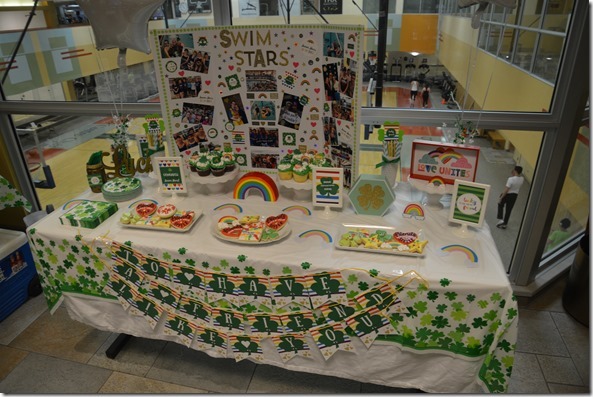 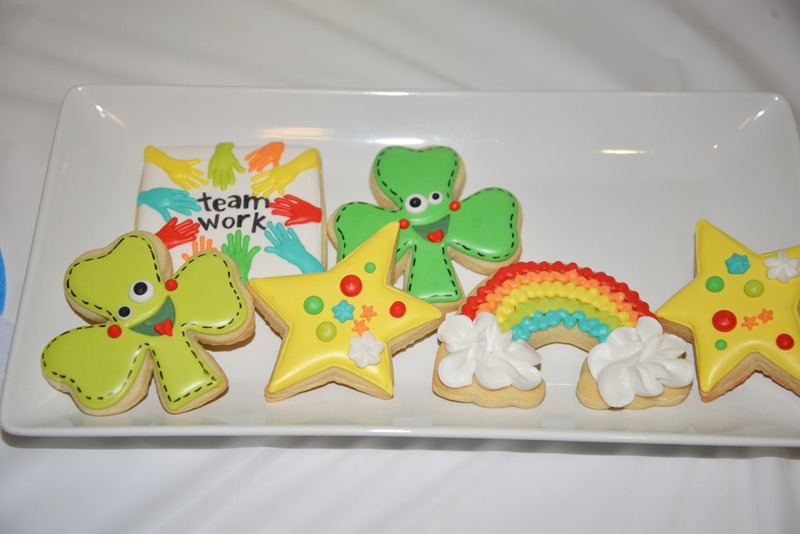 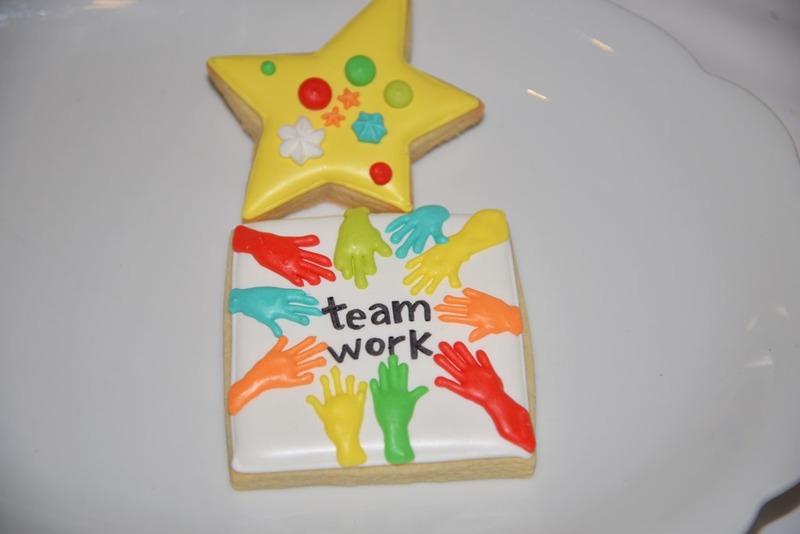 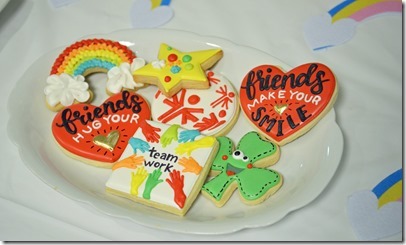 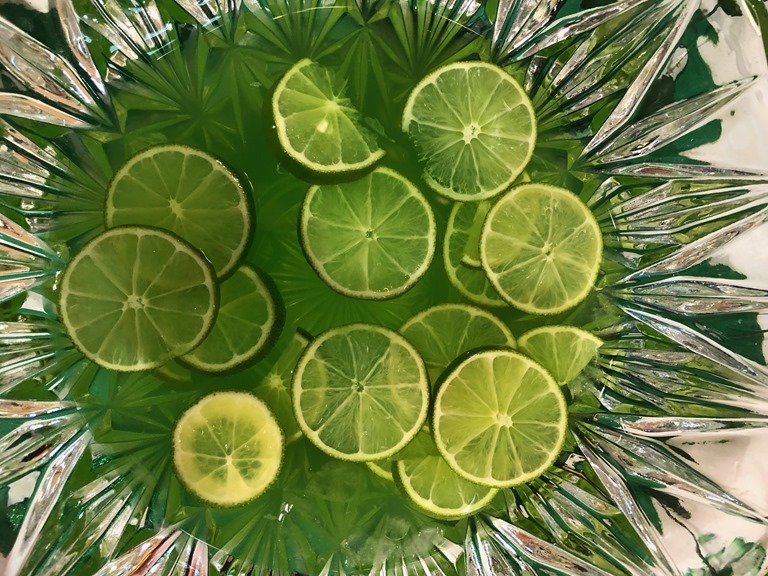 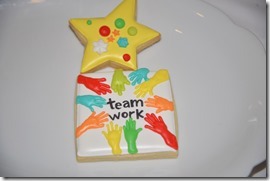 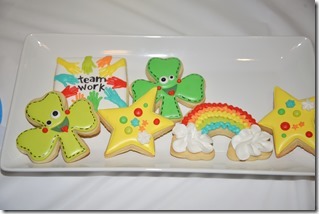 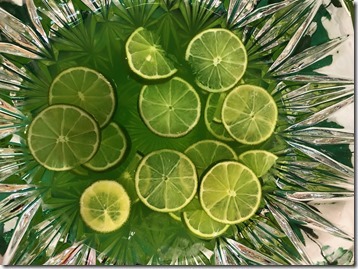 STARS Coach Ellie’s Tasty Fund-Raising Project! 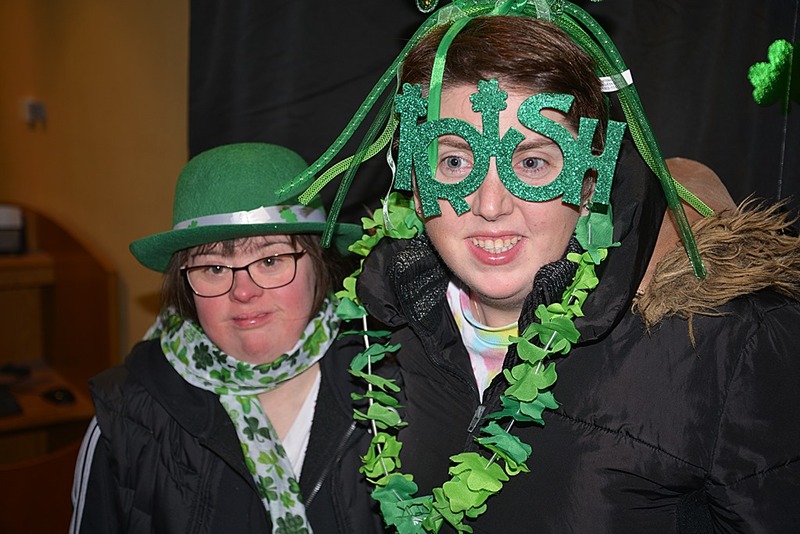 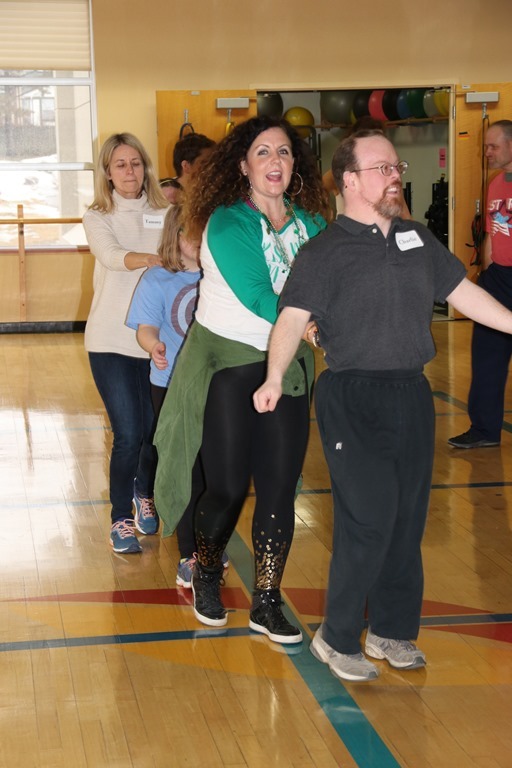 Ellie Nerheim, one of our incredible peer coach volunteers, has a family member who lives in Kenosha, Wisconsin on a street that has become known as "Christmas Tree Lane" during the holidays. 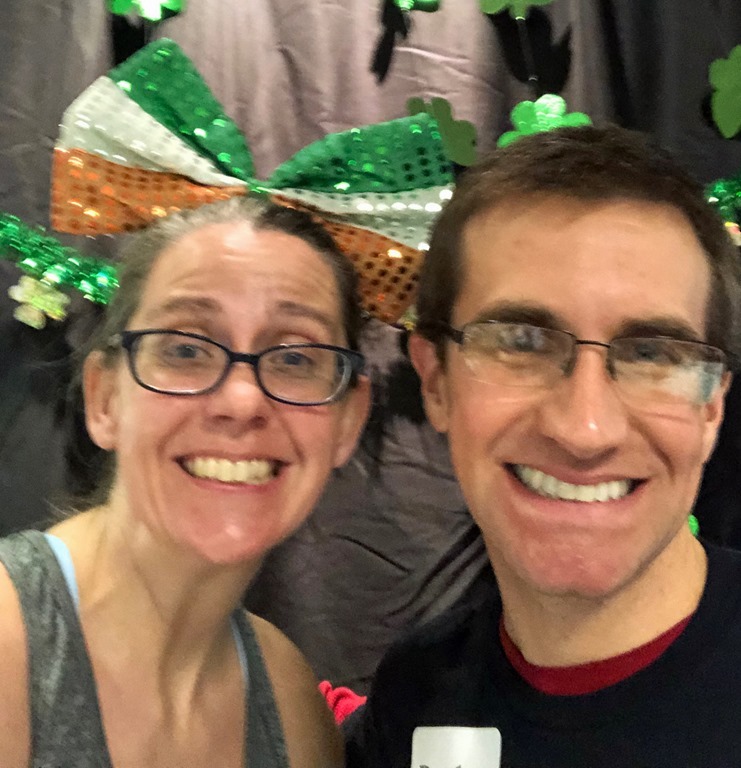 As you'd expect, everyone "decks the halls" of their homes, putting up huge holiday displays and countless twinkling lights. 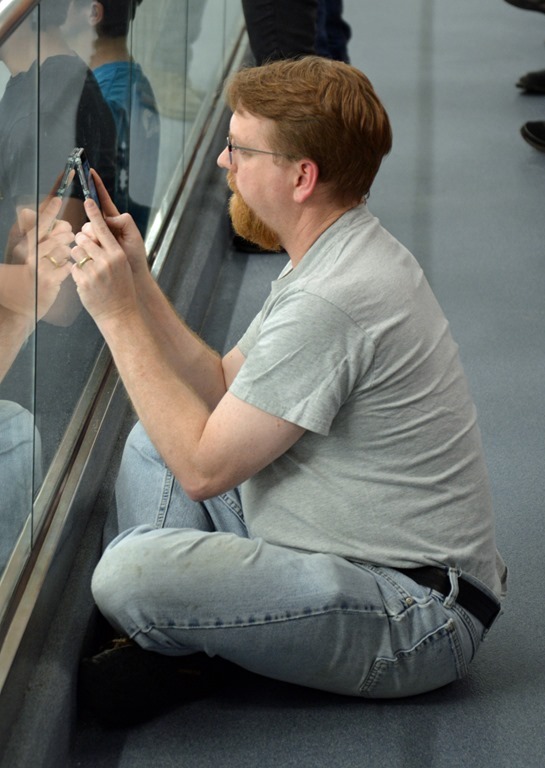 Visitors come from far and wide - as part of their holiday traditions. 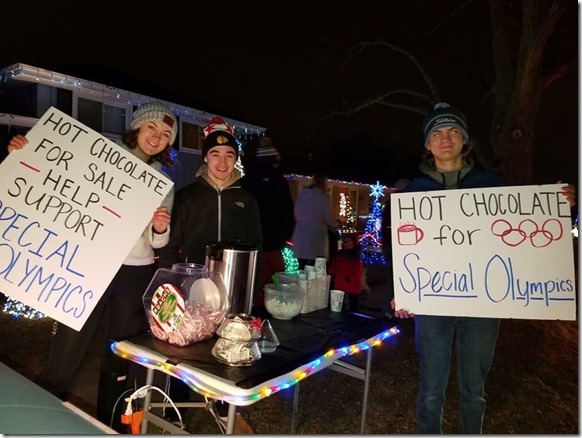 With so many people in the holiday spirit driving past her uncle's home, Ellie thought it would be a great idea to sell hot chocolate - and donate the proceeds to worthy charities. 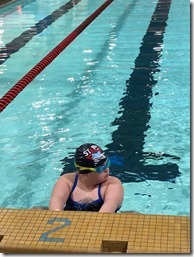 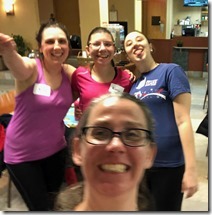 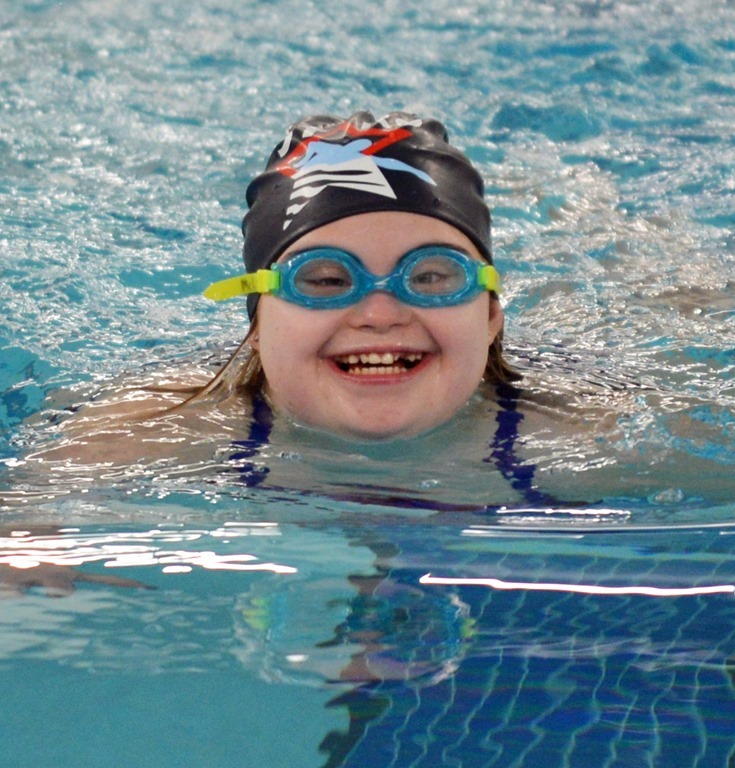 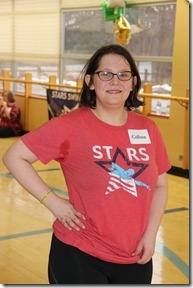 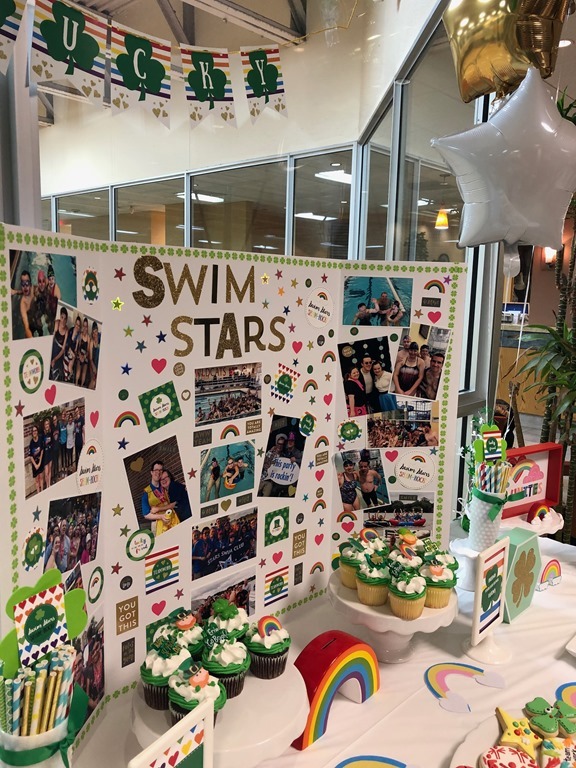 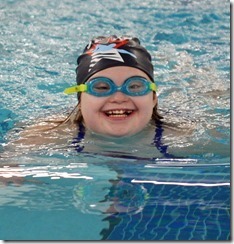 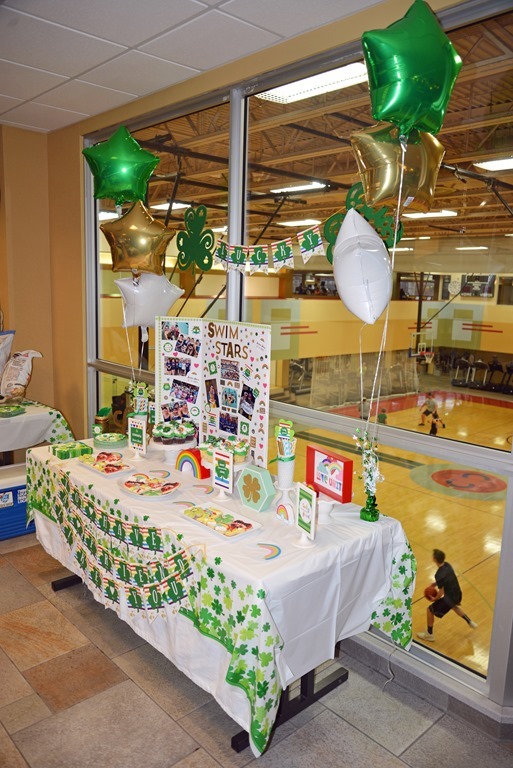 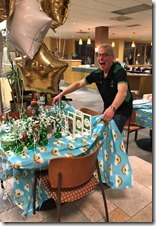 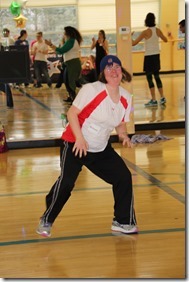 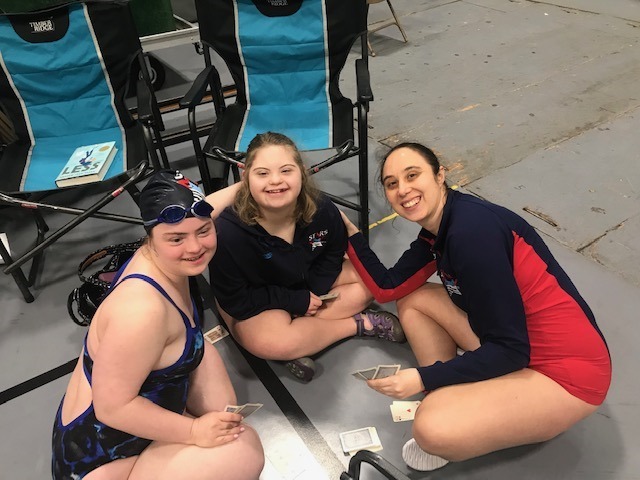 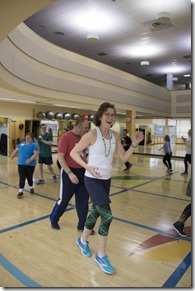 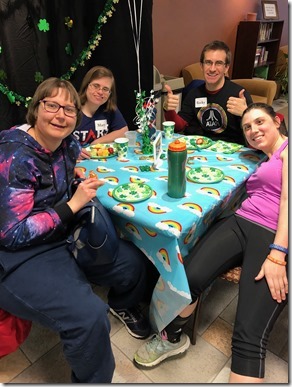 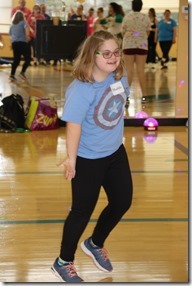 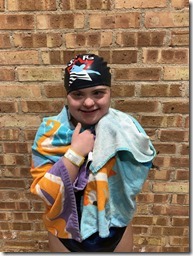 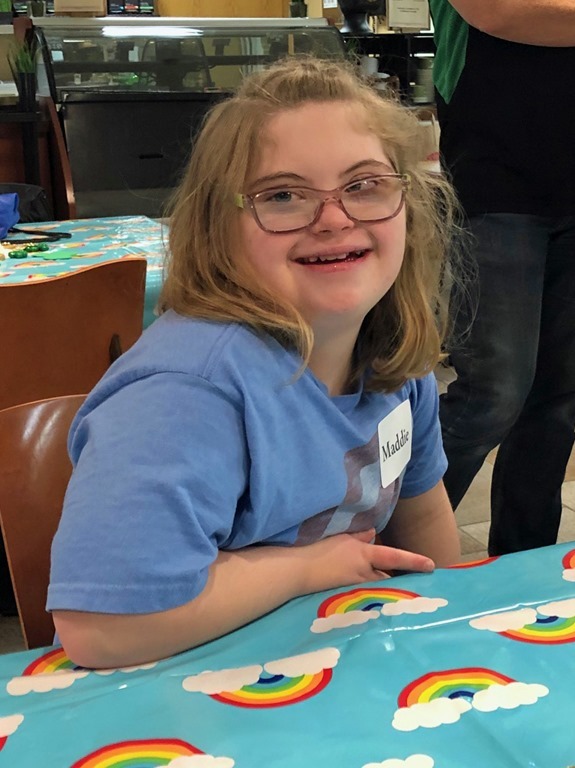 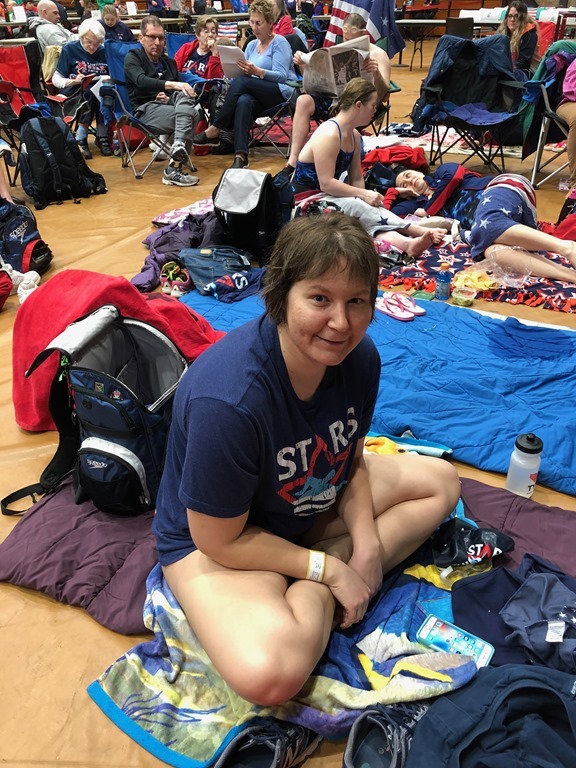 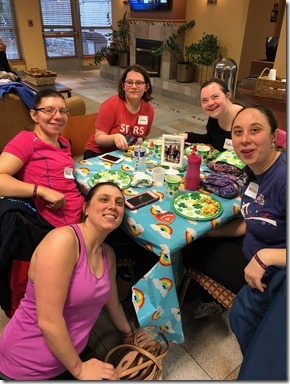 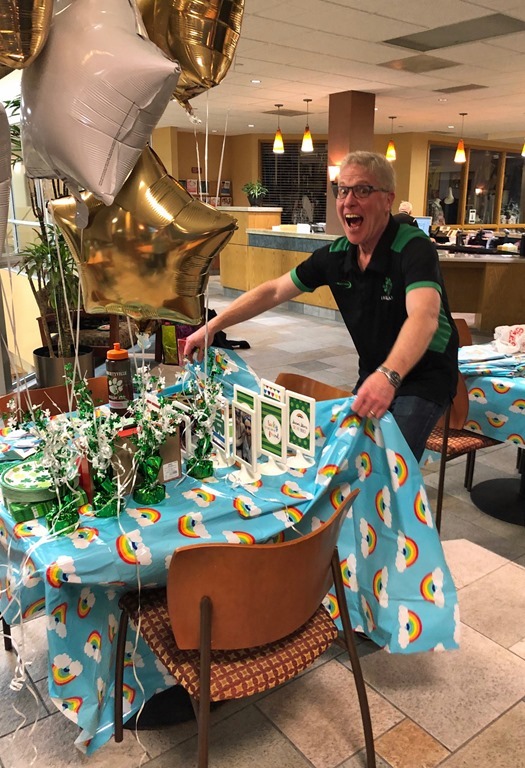 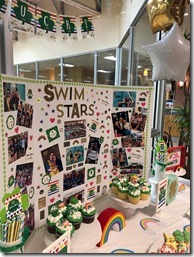 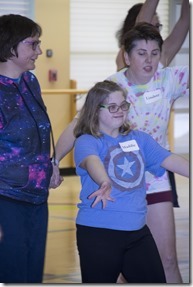 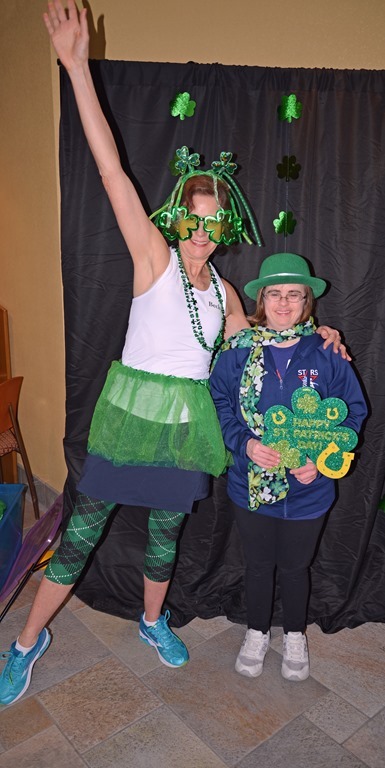 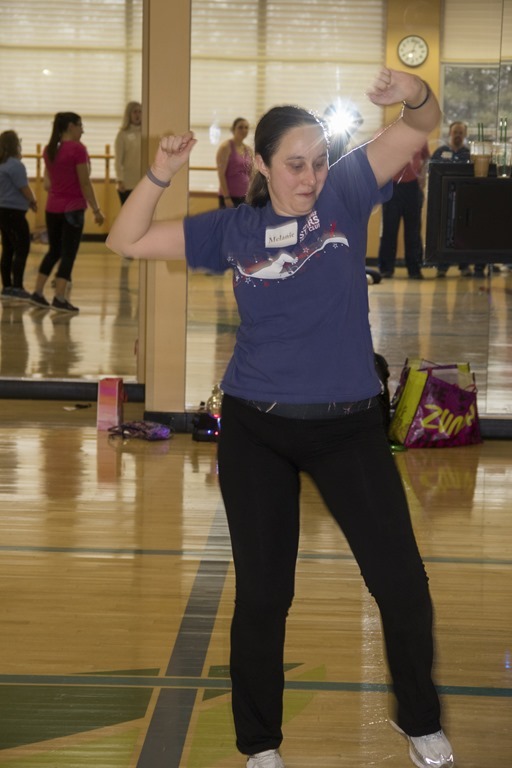 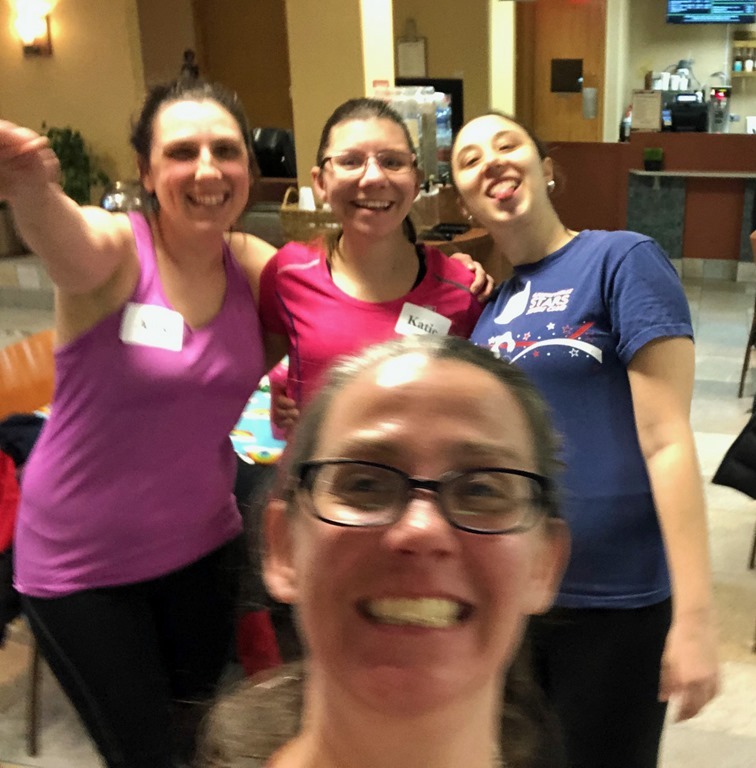 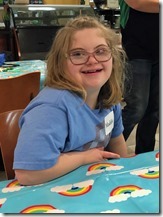 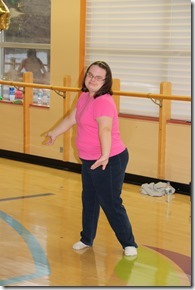 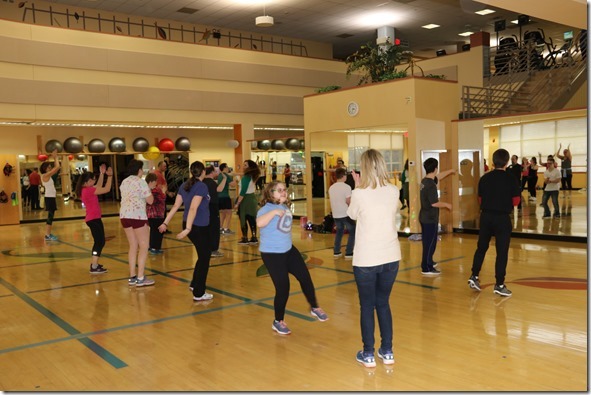 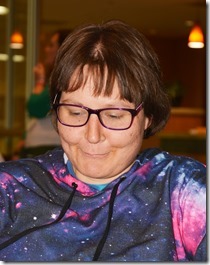 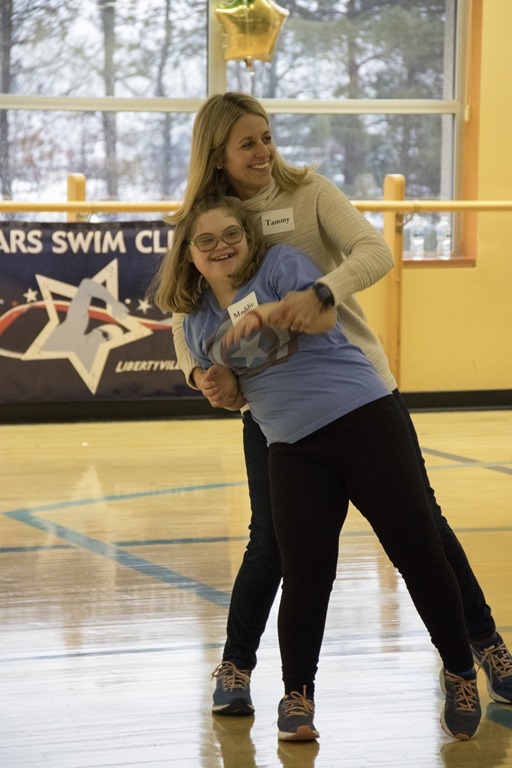 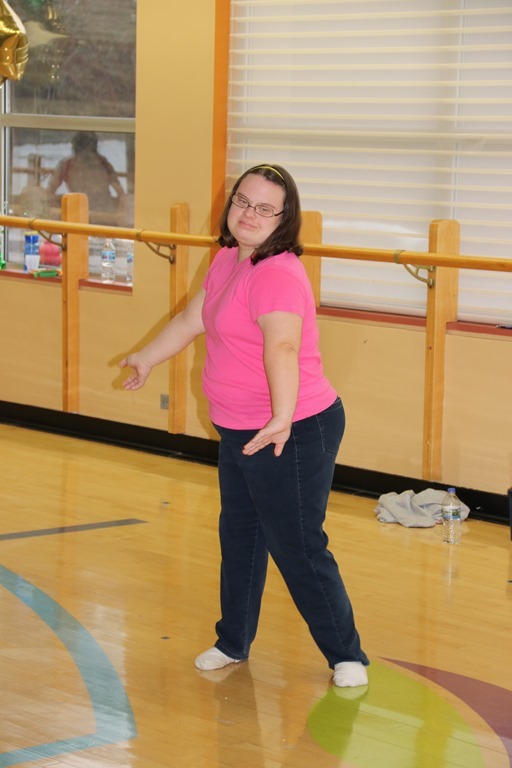 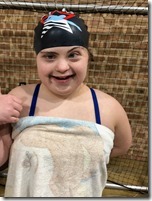 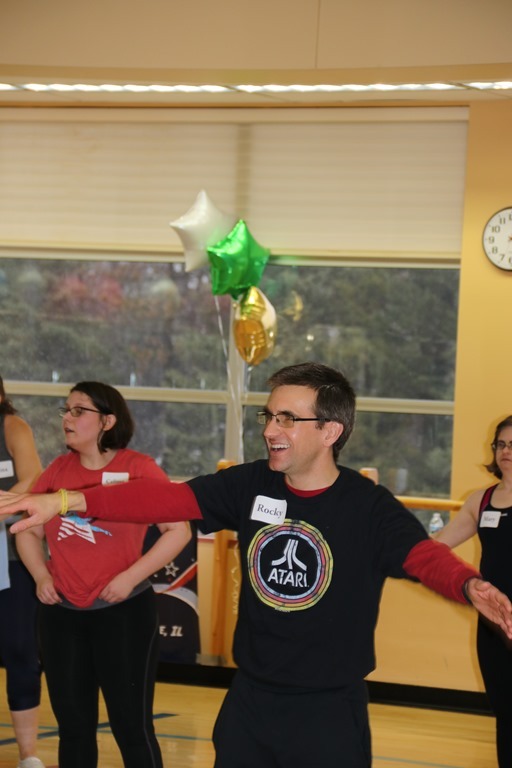 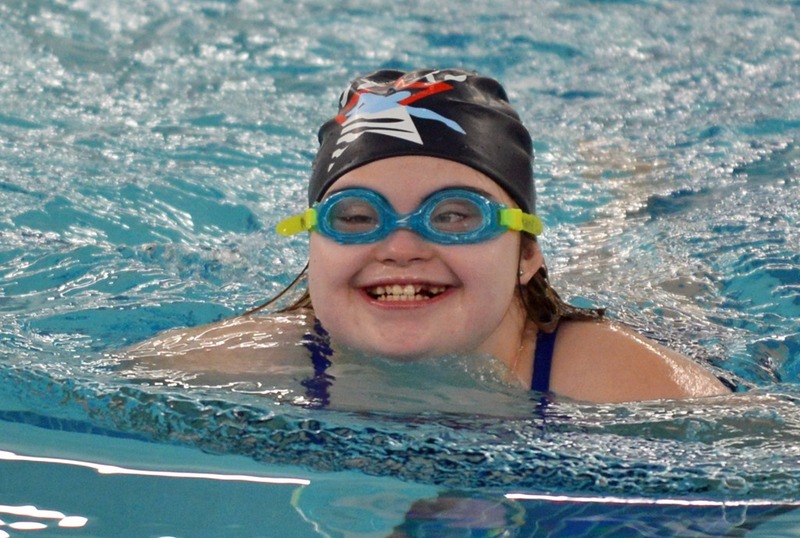 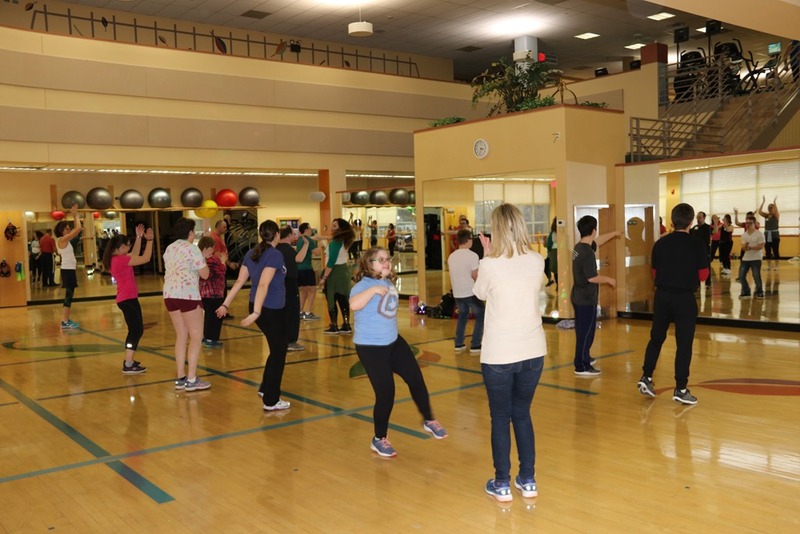 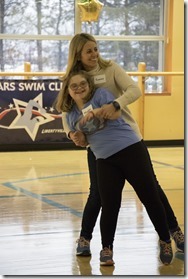 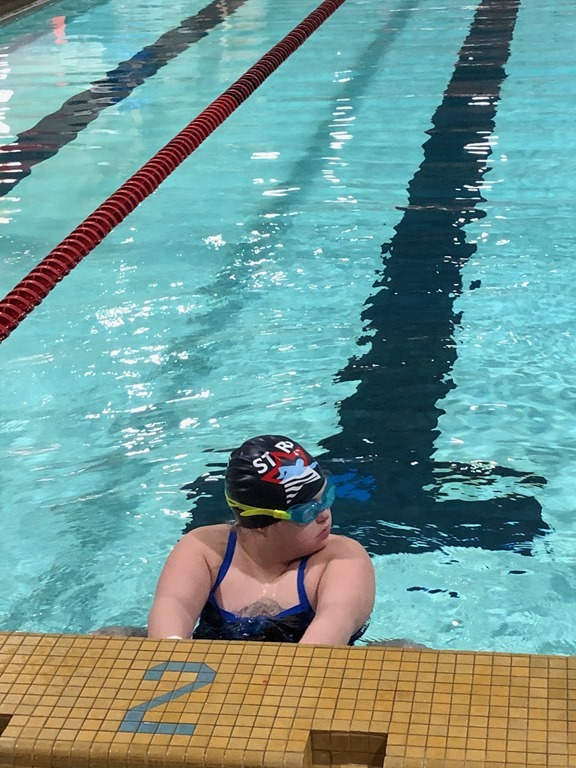 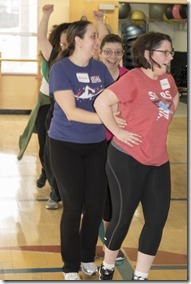 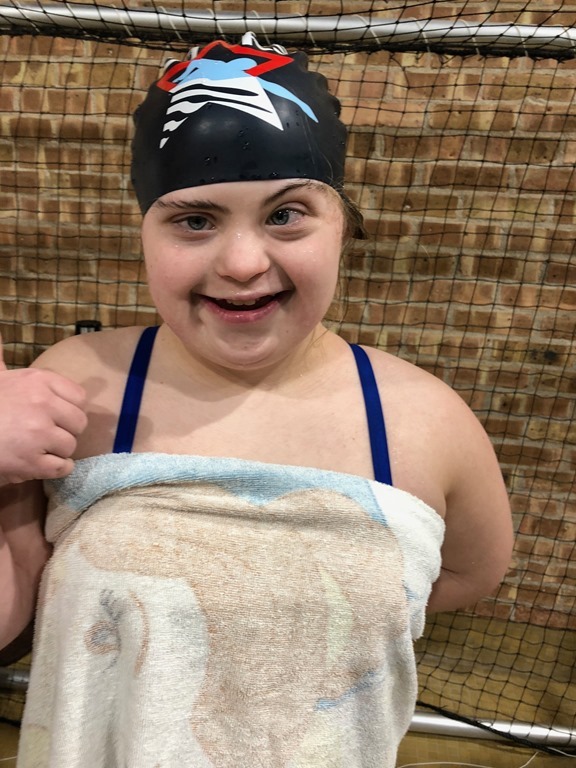 On one weekend night, she and her family decided to raise money for the Stars Swim Club - and they raised over $1,000 for the team! 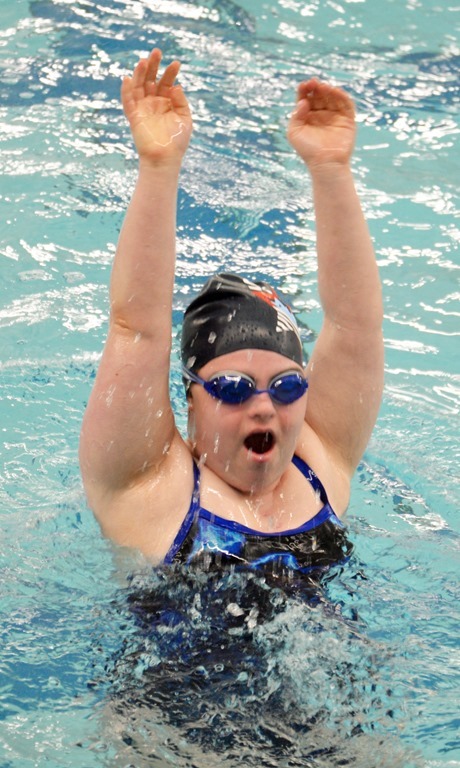 THAT'S A LOT OF HOT CHOCOLATE! 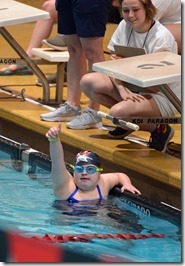 Thanks, Ellie, for representing and supporting our team so well! 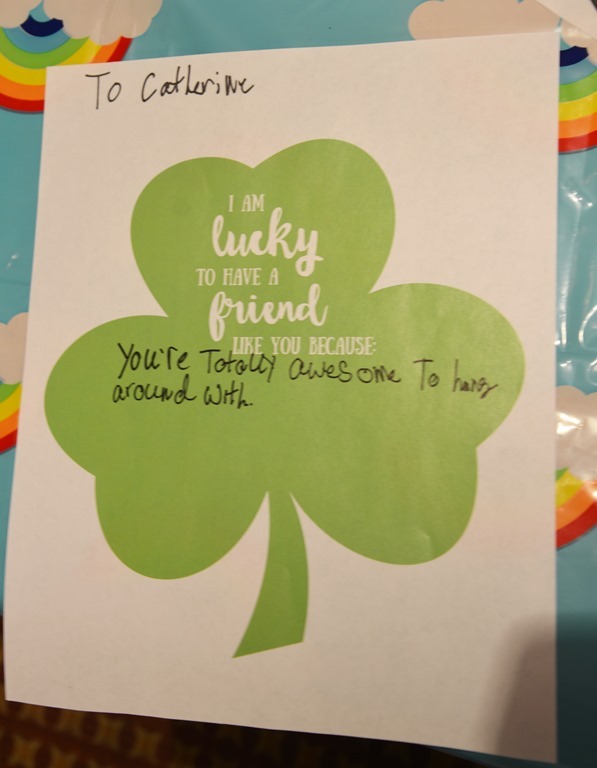 That's what the holidays are all about! 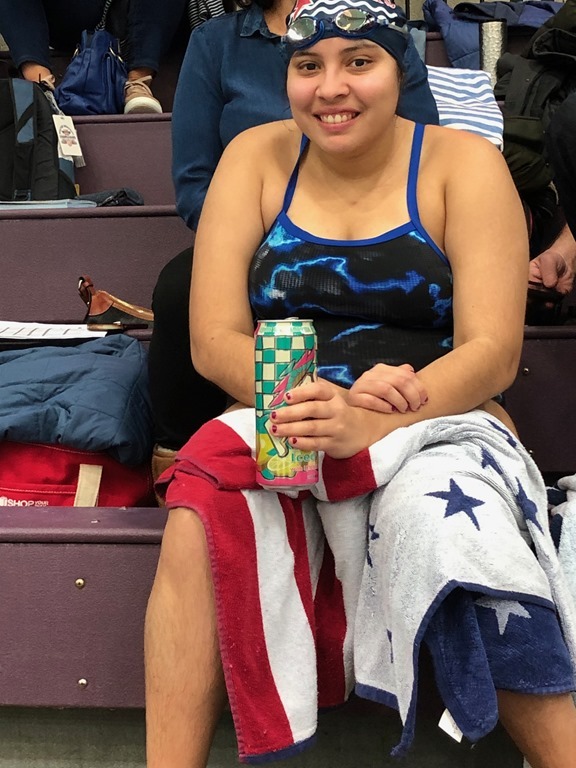 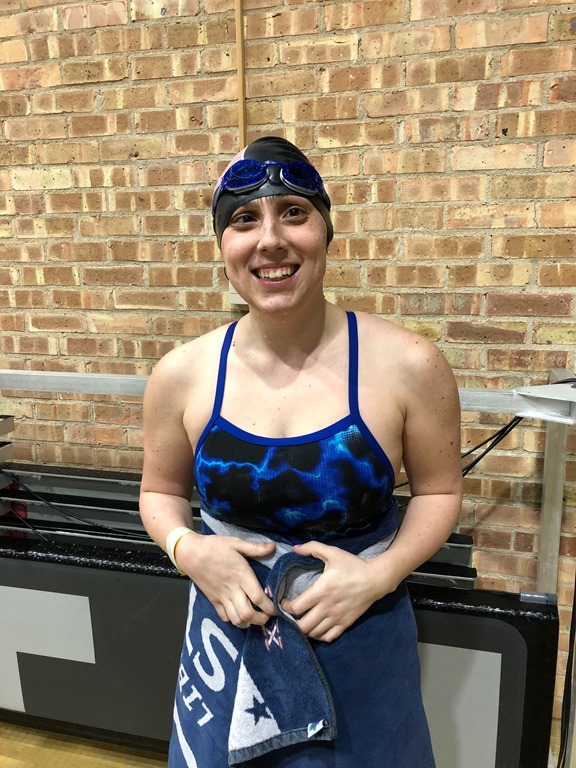 During the Libertyville Stars' 2018 holiday break, swimmer Frankie was hard at work in the pool - swimming against some of the best athletes in North America! 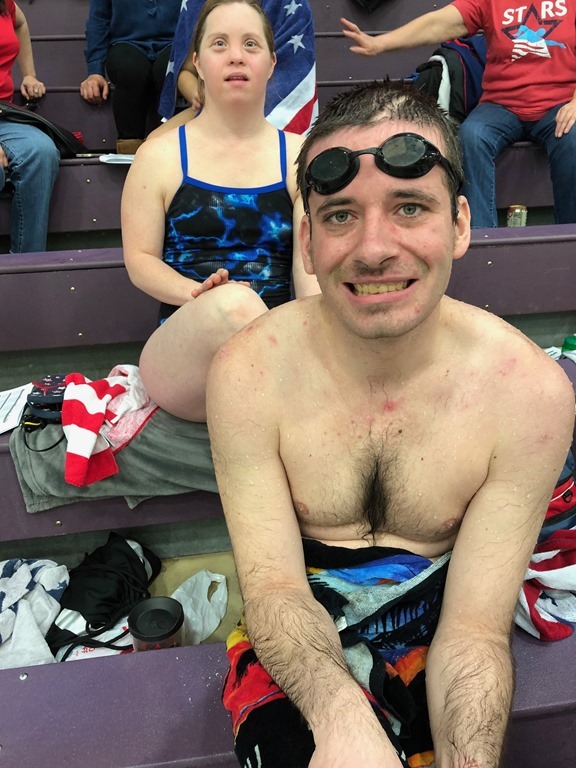 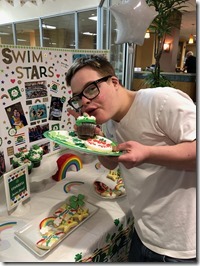 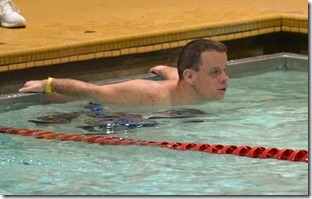 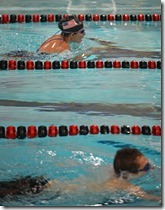 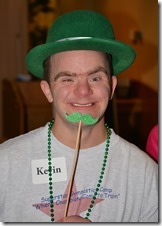 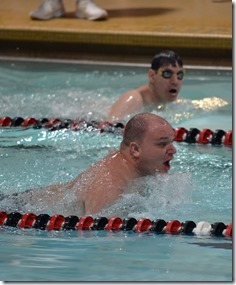 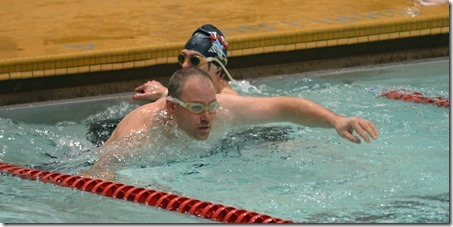 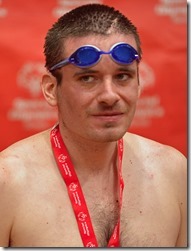 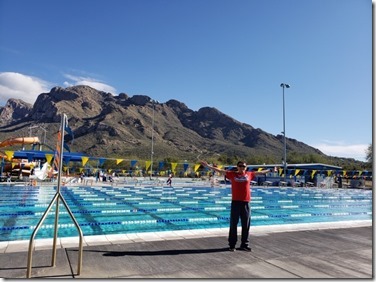 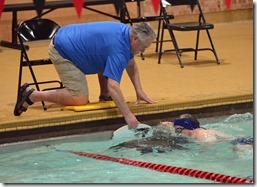 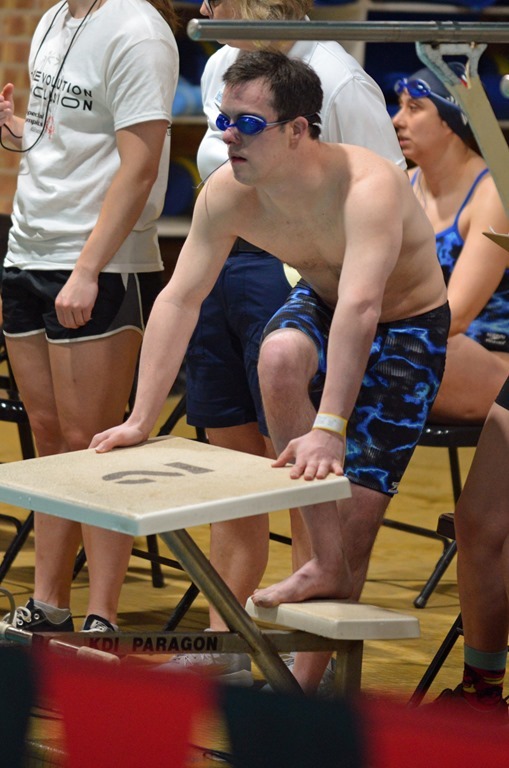 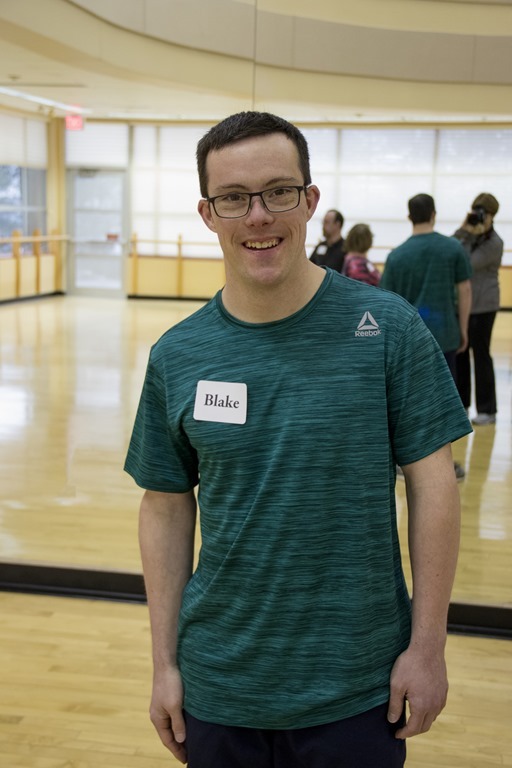 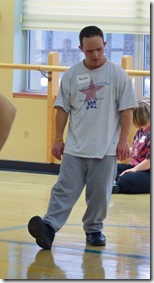 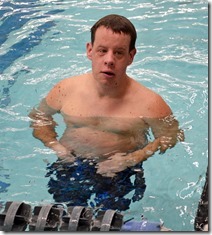 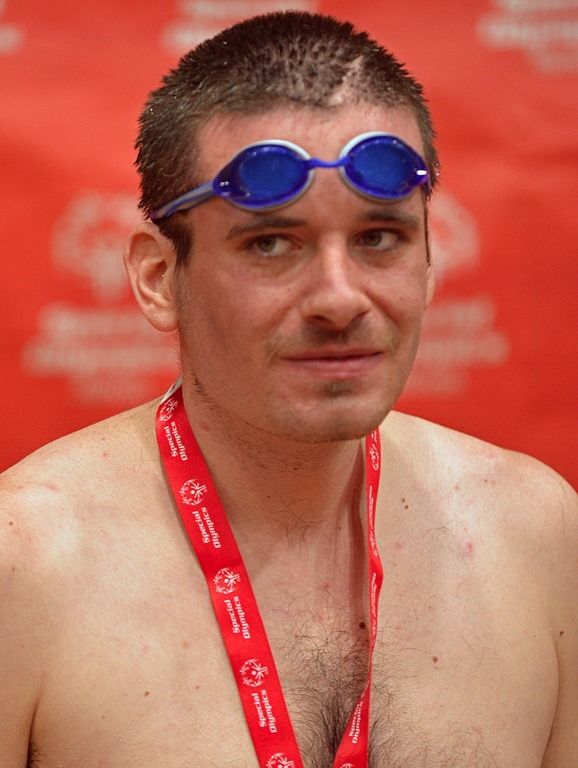 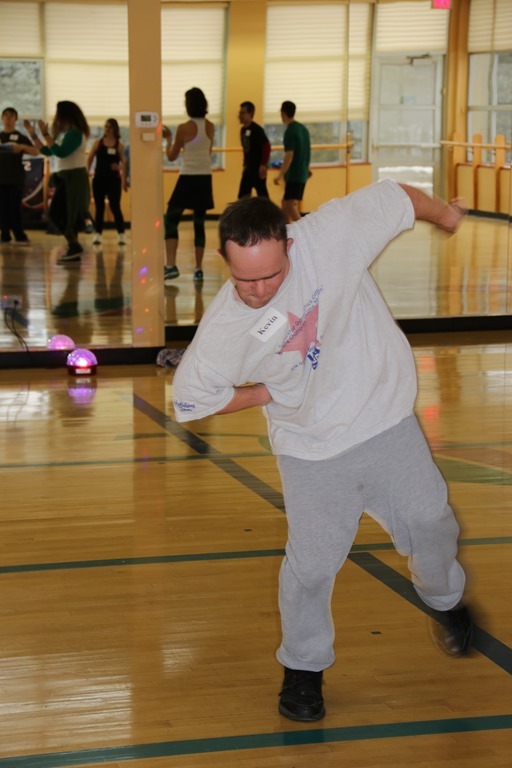 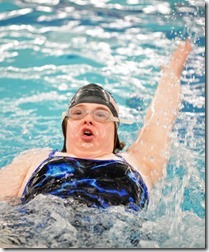 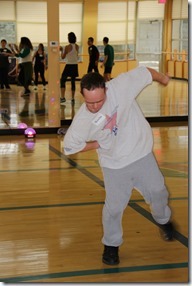 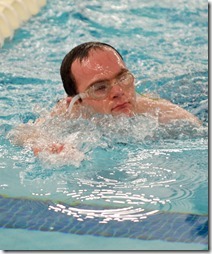 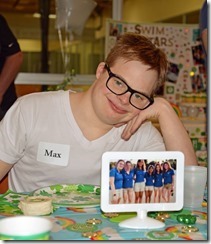 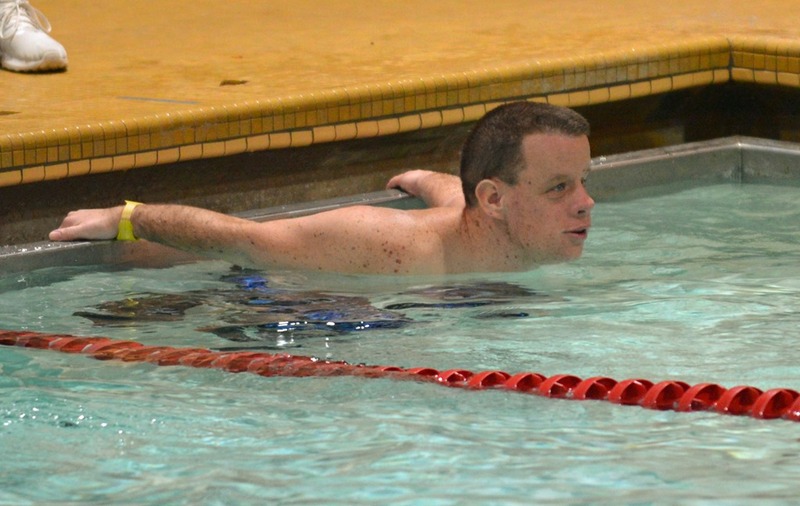 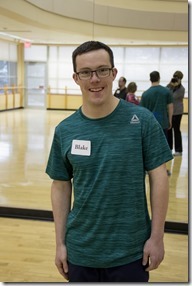 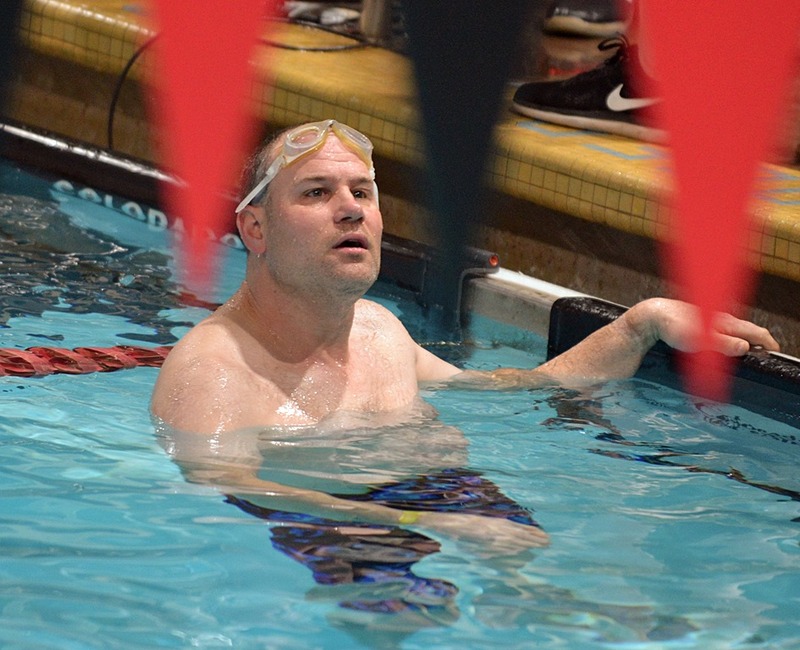 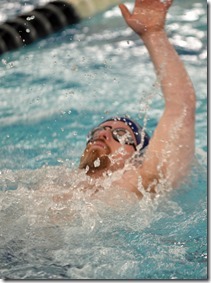 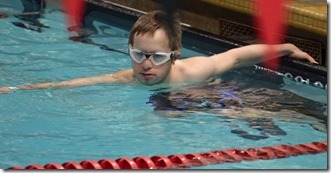 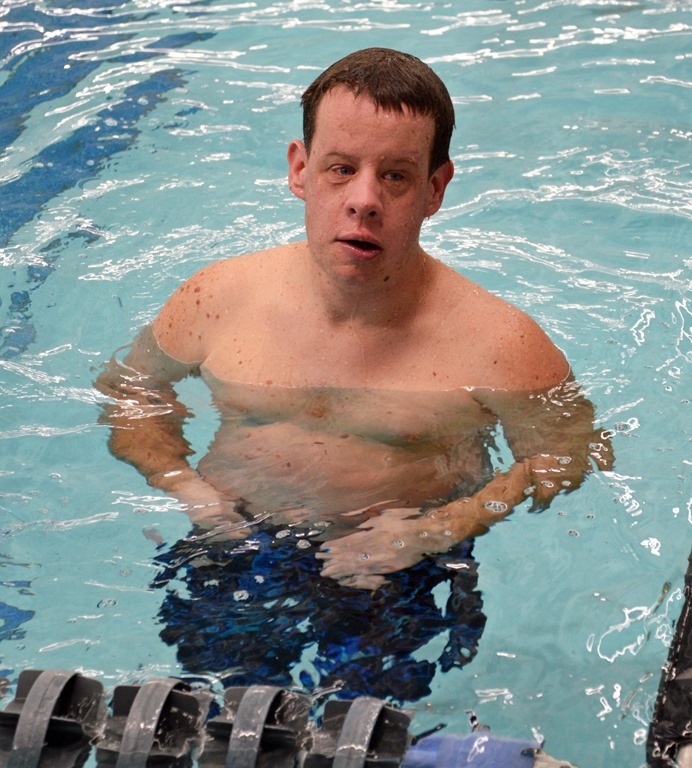 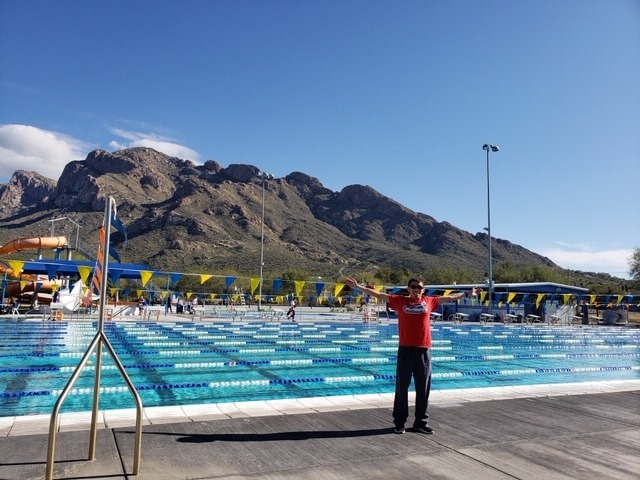 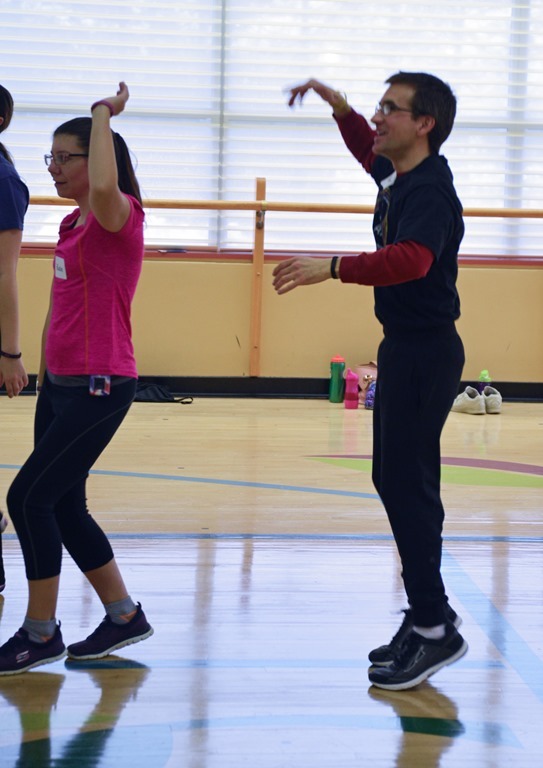 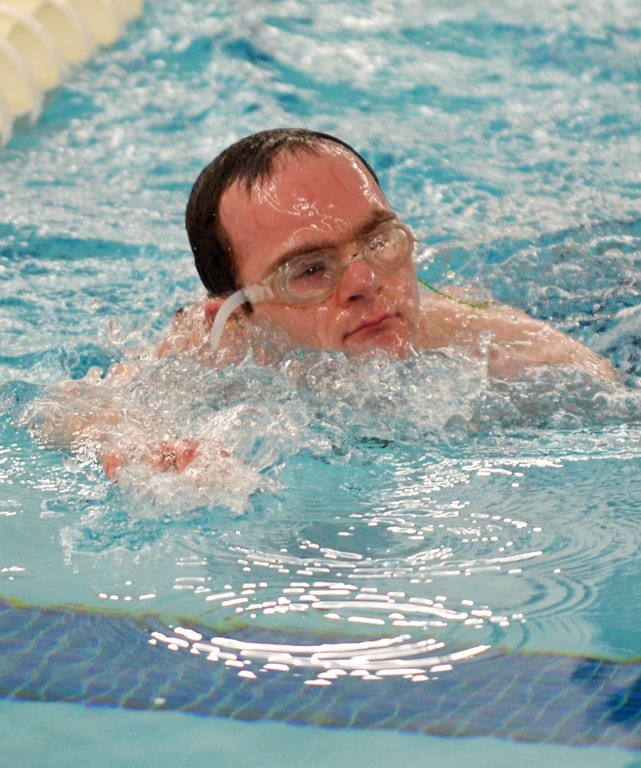 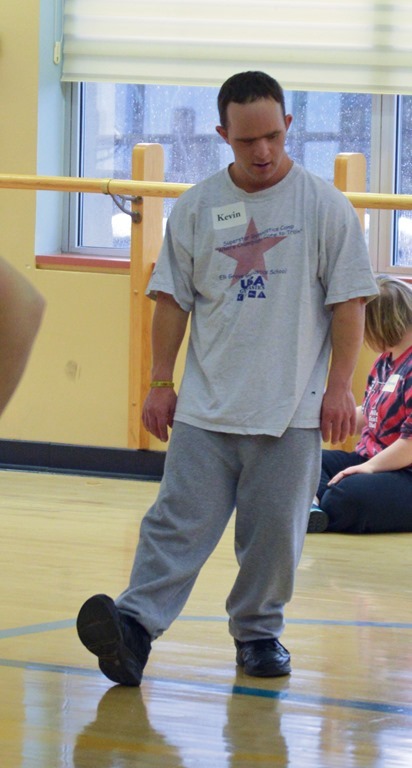 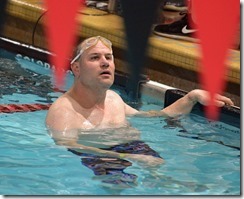 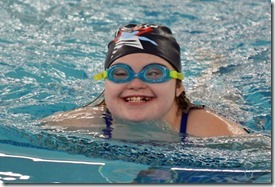 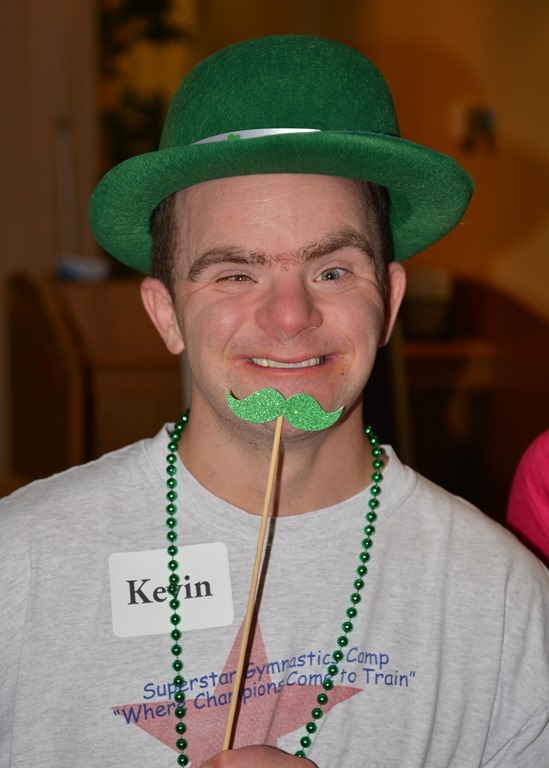 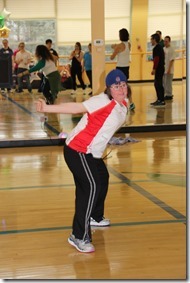 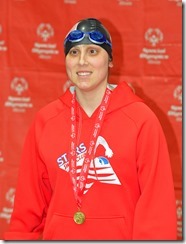 He competed in the U.S. Paralympics Swimming Para National Championships, held in Tucson, Arizona, from December 14 - 16. 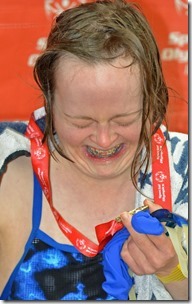 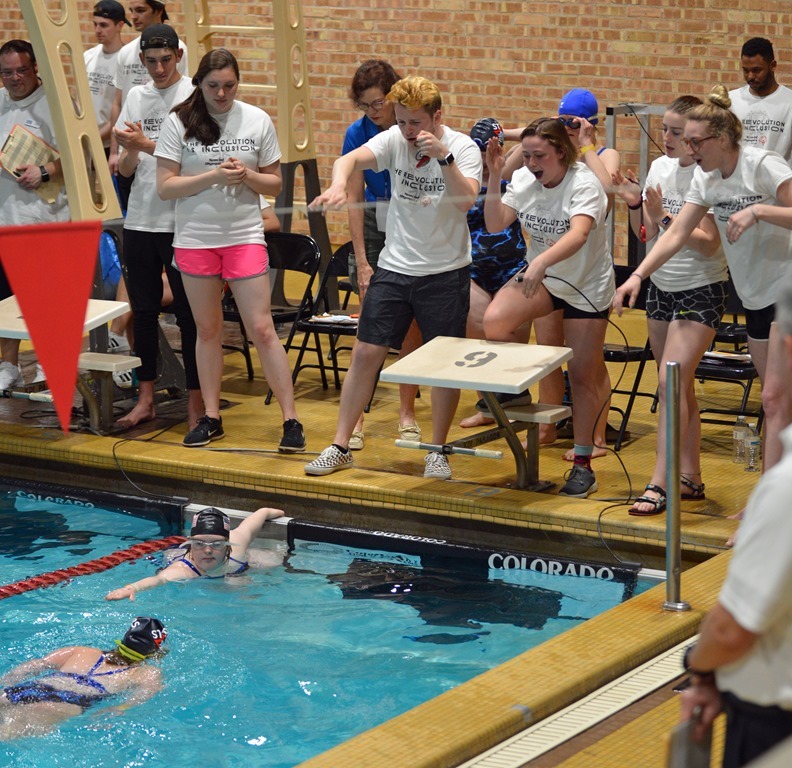 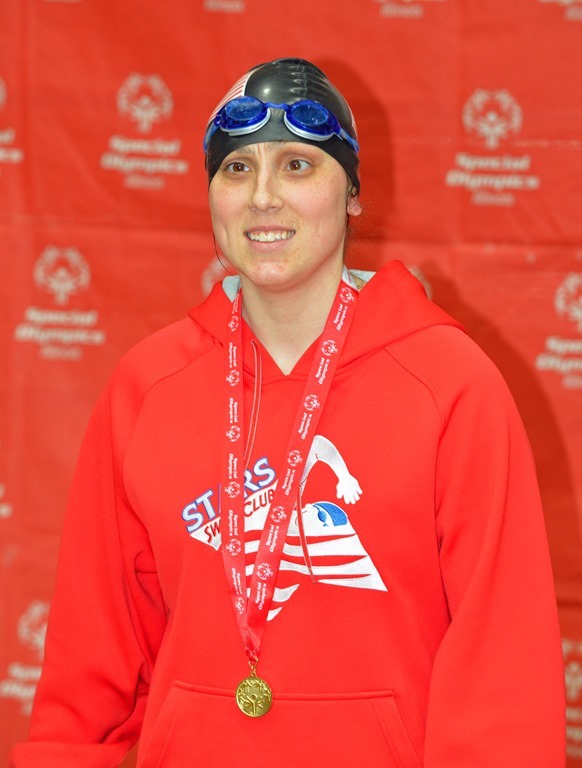 Swimmers from all over the U.S. and Canada competed in the prestigious event. 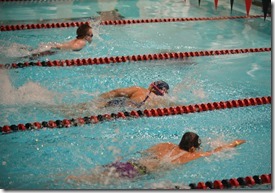 200 meter freestyle, 100 meter butterfly, 50 meter free style and the 100 meter backstroke. 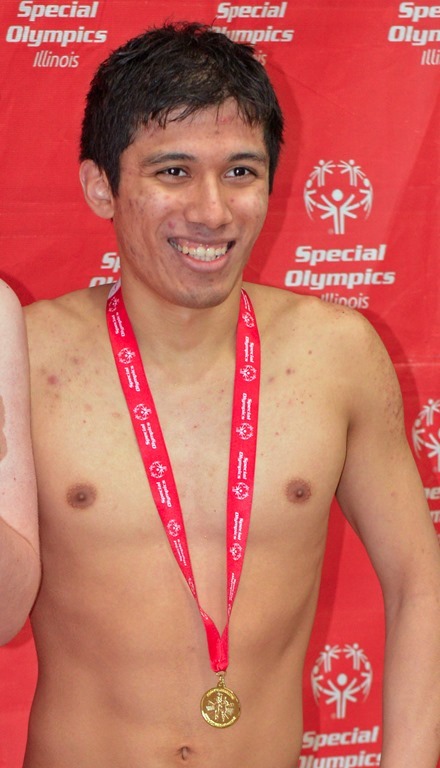 Way to shine, Frankie! We're so proud of you!